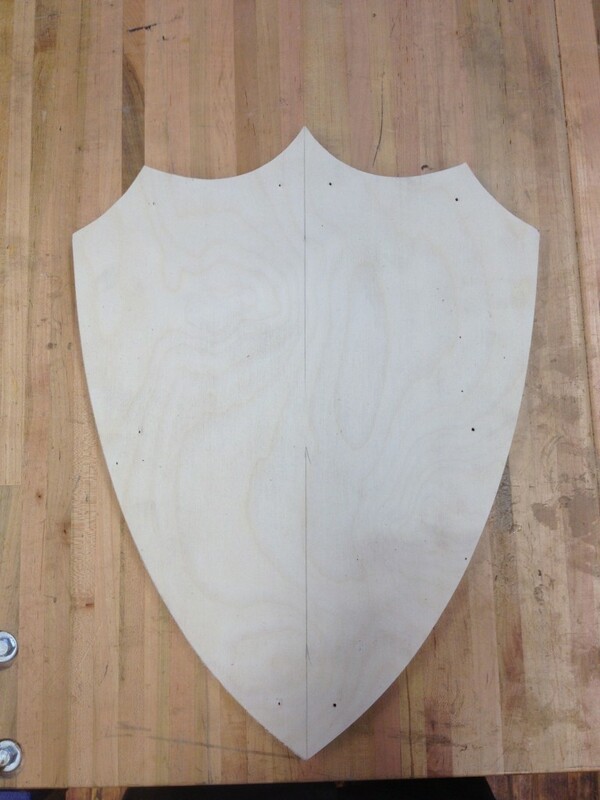 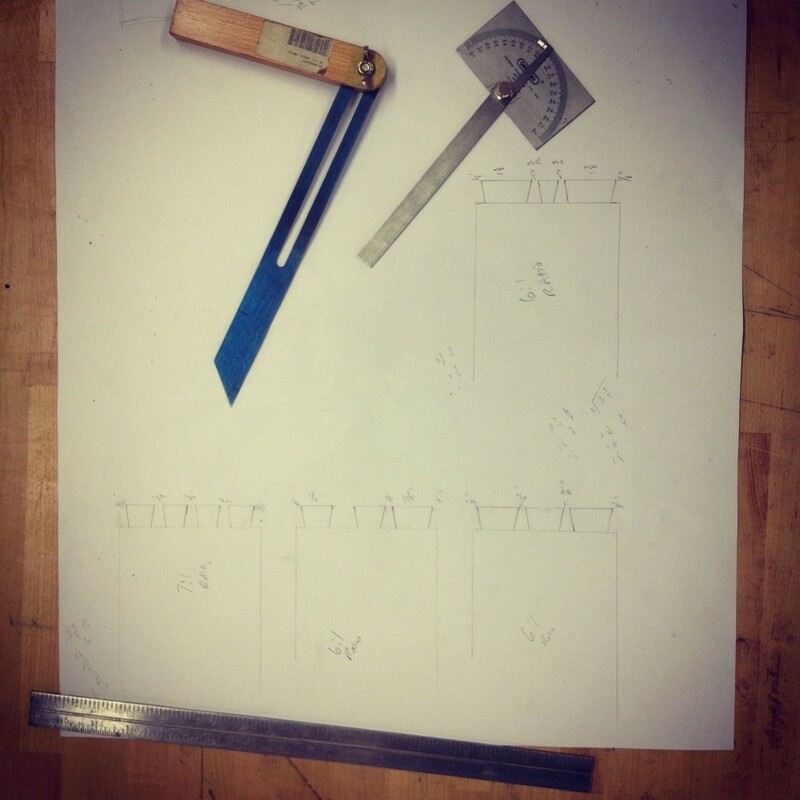 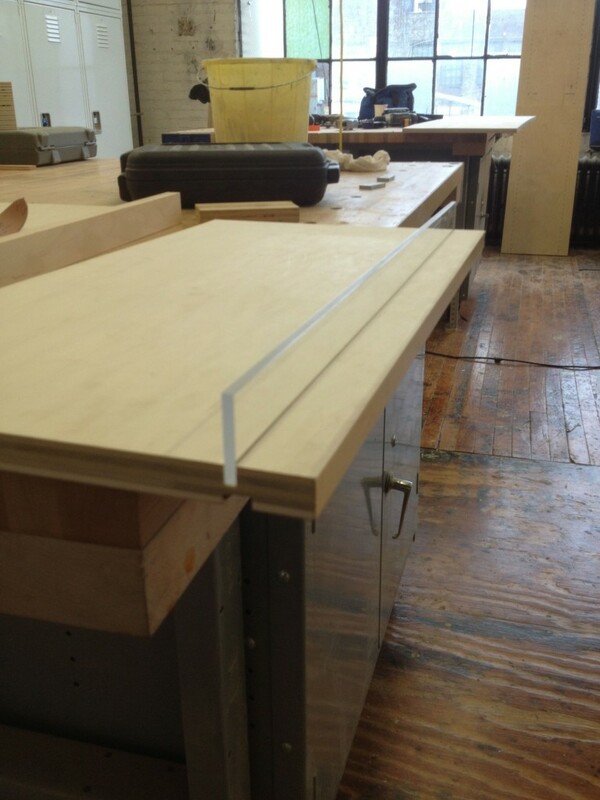 Being able to have templates made already ensures that when it comes time to cut into your material, you don’t have to be wasteful. 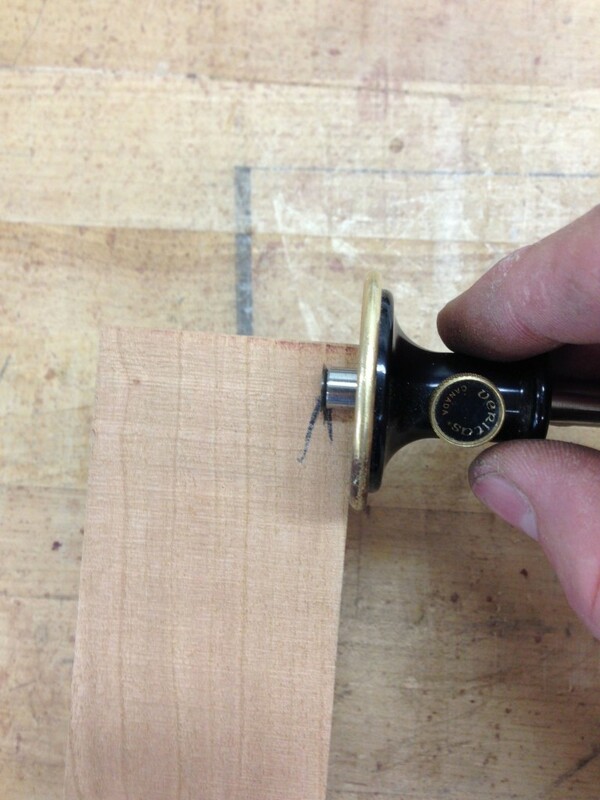 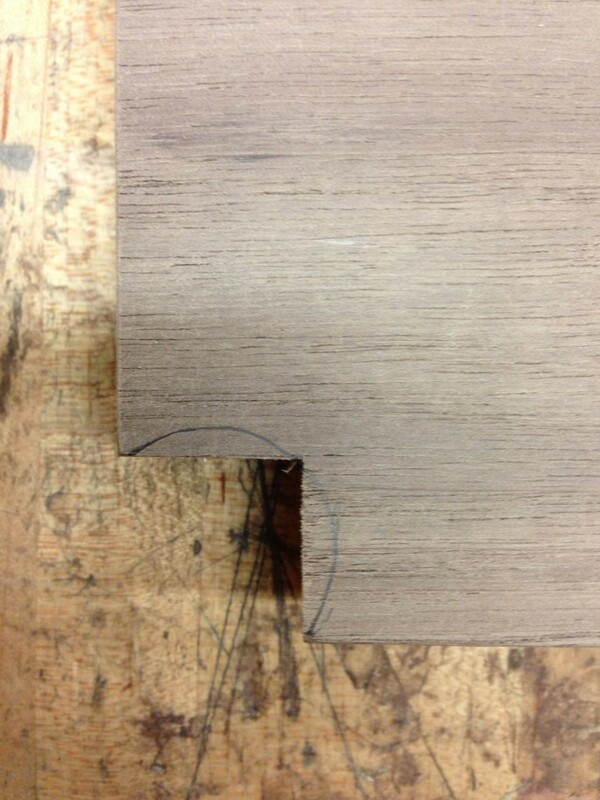 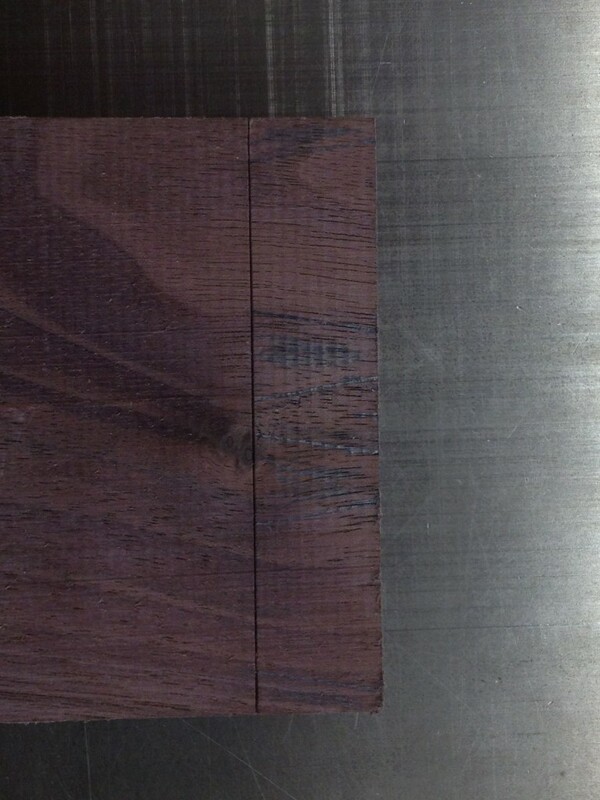 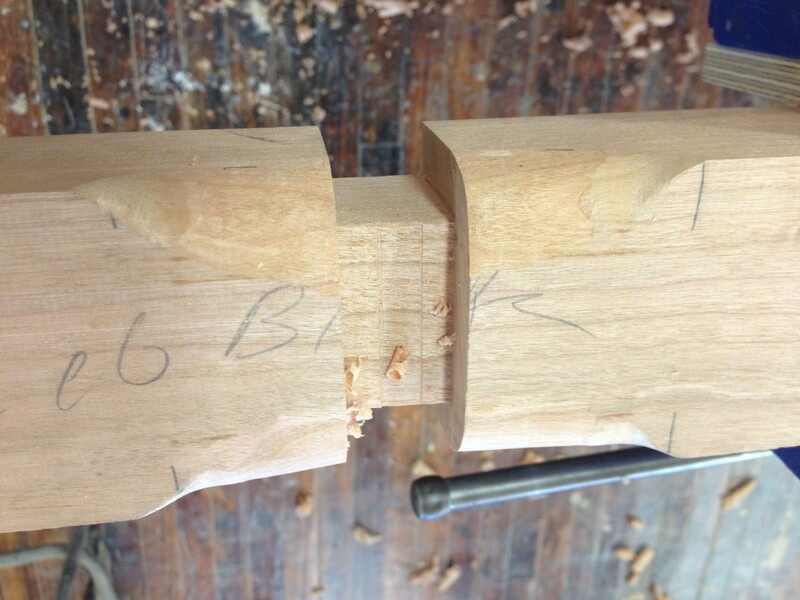 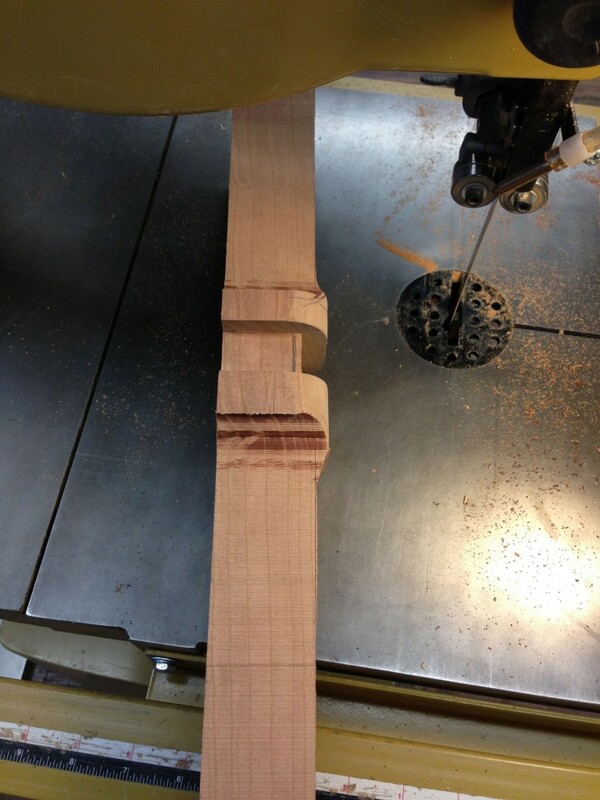 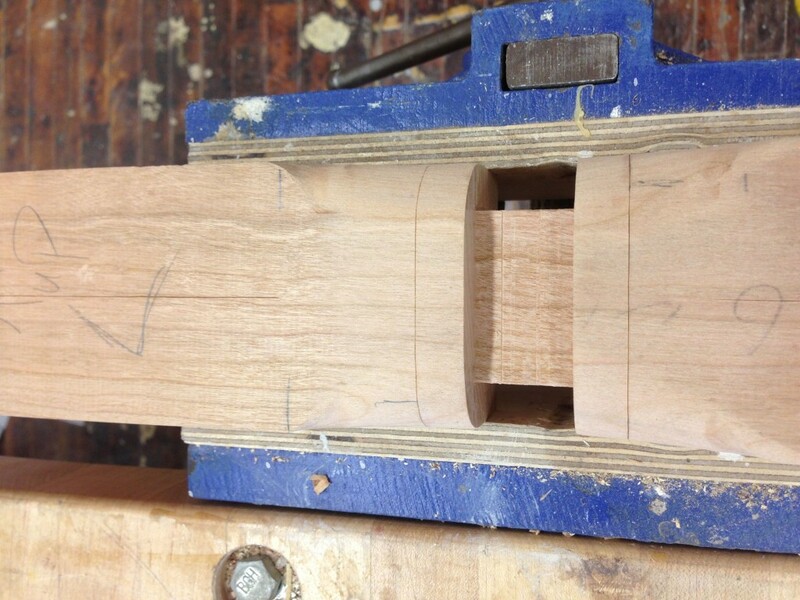 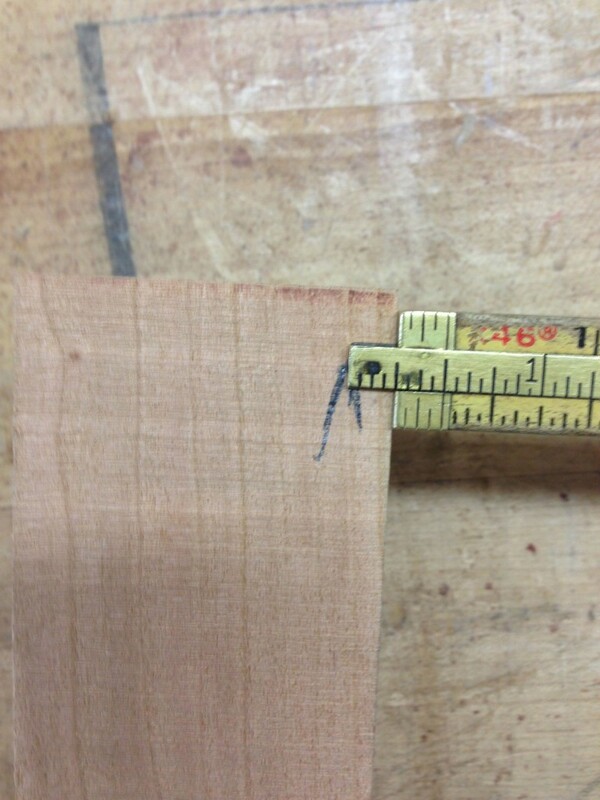 This was a particular point of interest for me dealing with 8/4 cherry. 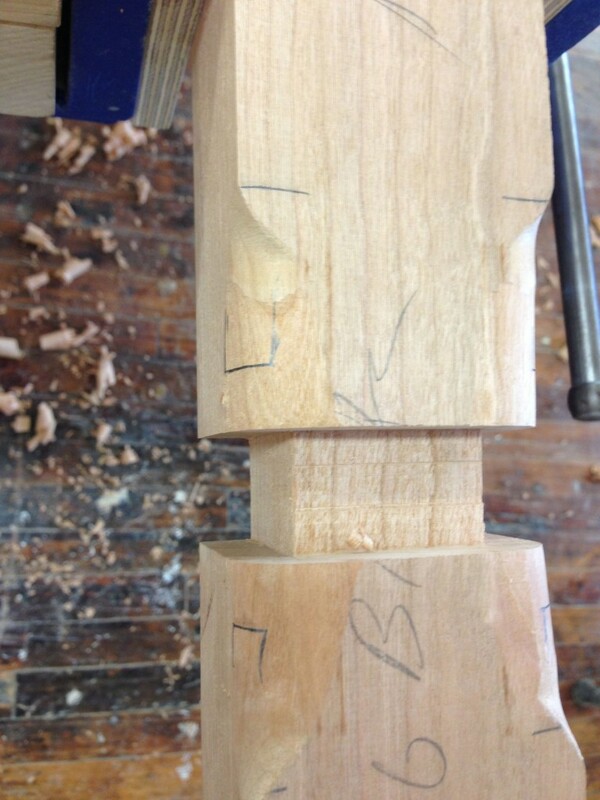 The back leg template enabled me to have proper grain layout throughout the piece and made it able to nest two legs very close together to conserve this expensive material. 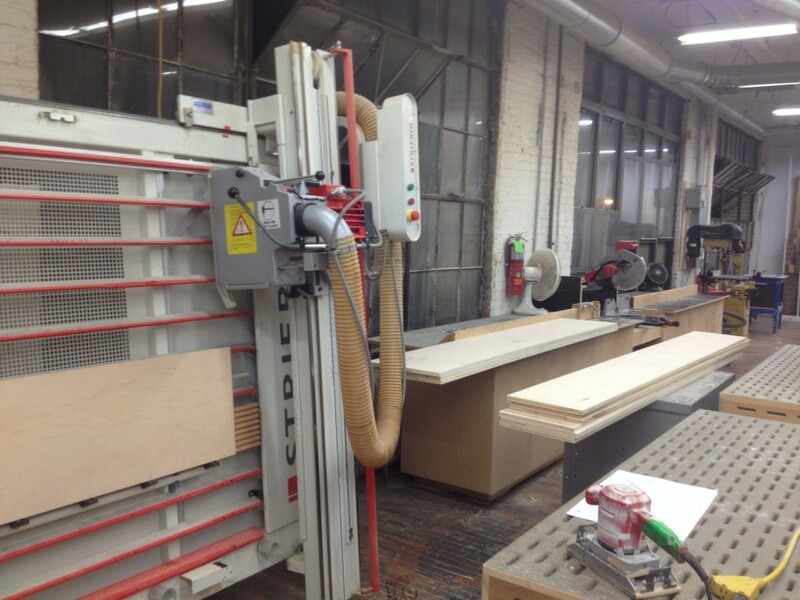 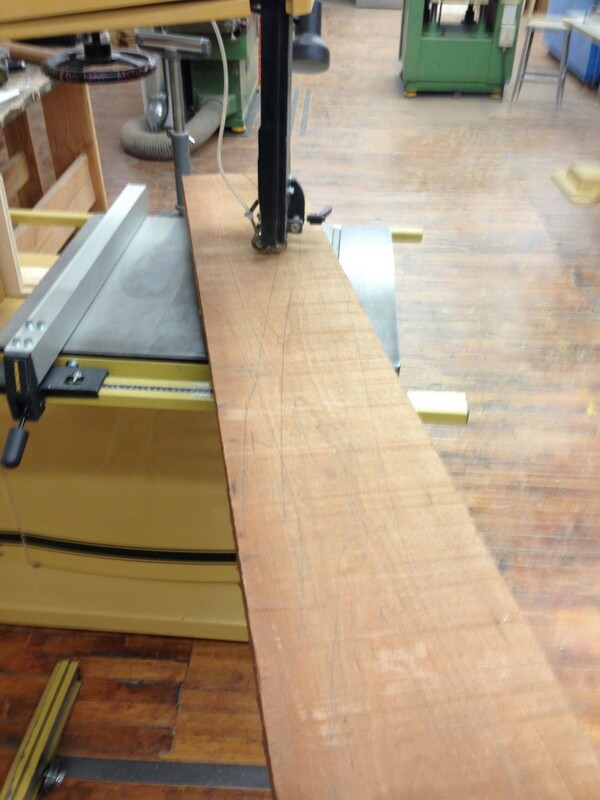 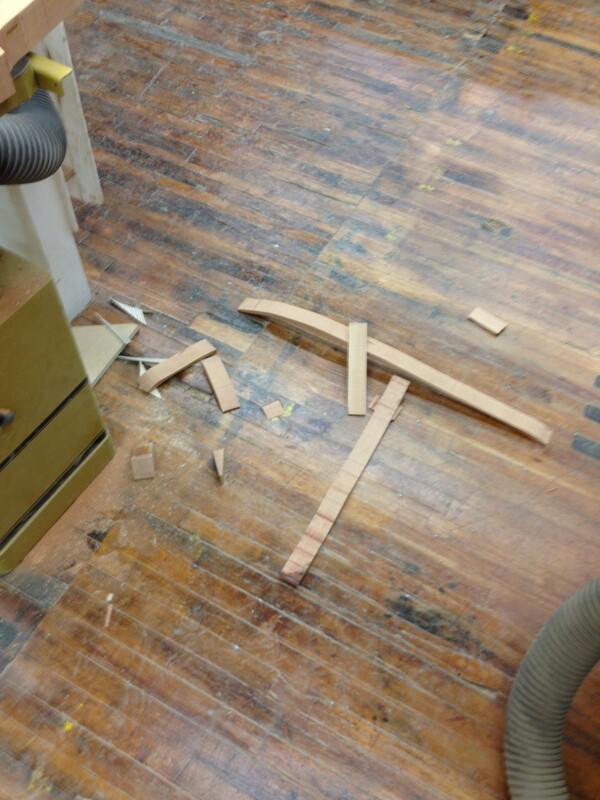 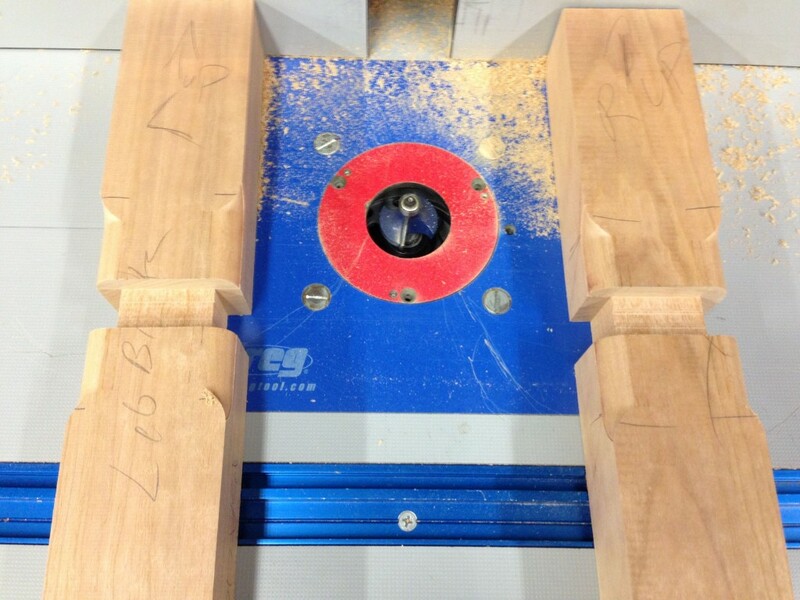 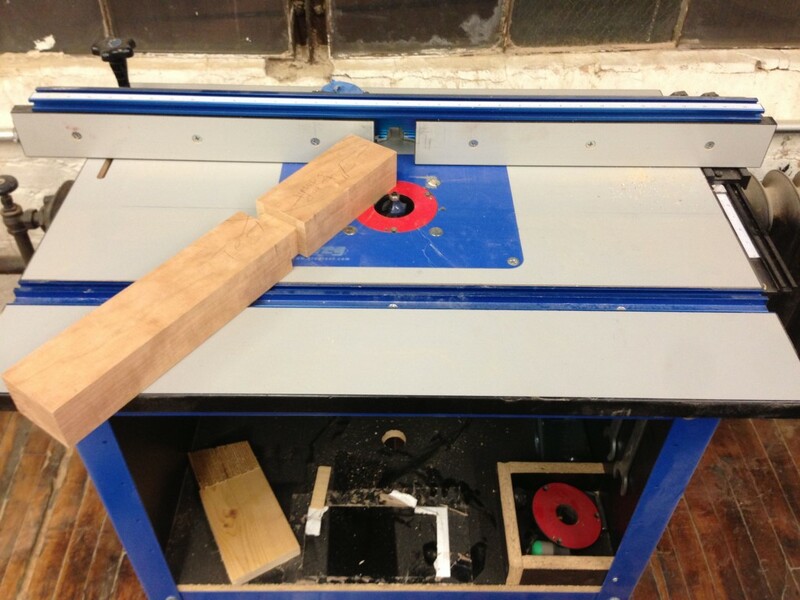 I was then able to band saw rough chunks out, run them over the jointer and thru the planer and then bandsaw close to be able to flush trim on the router table. 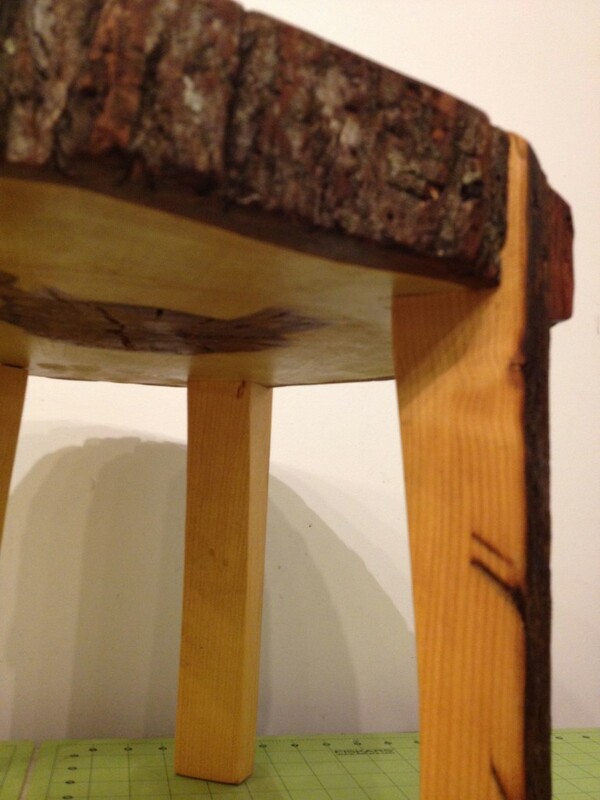 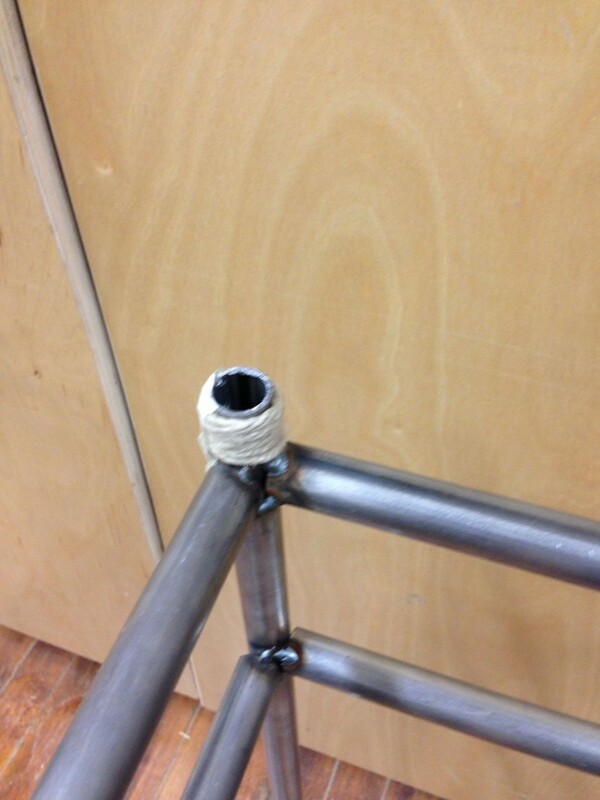 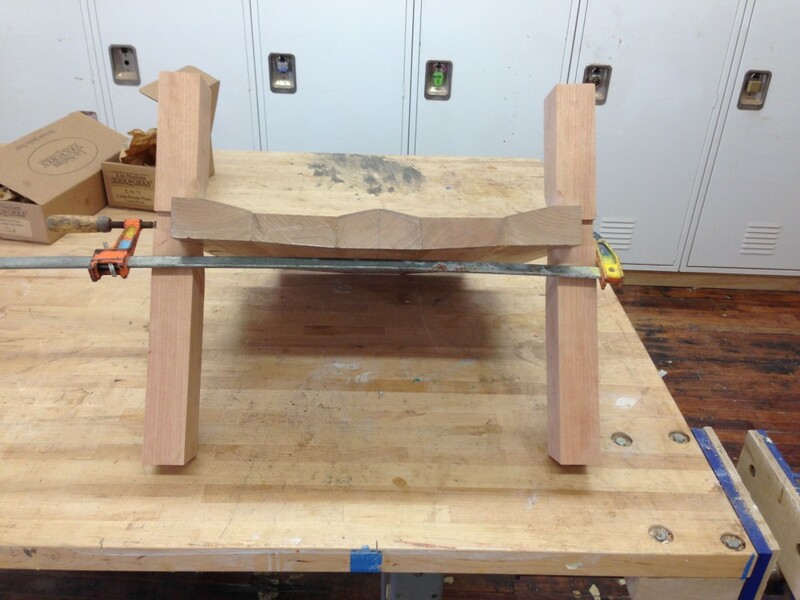 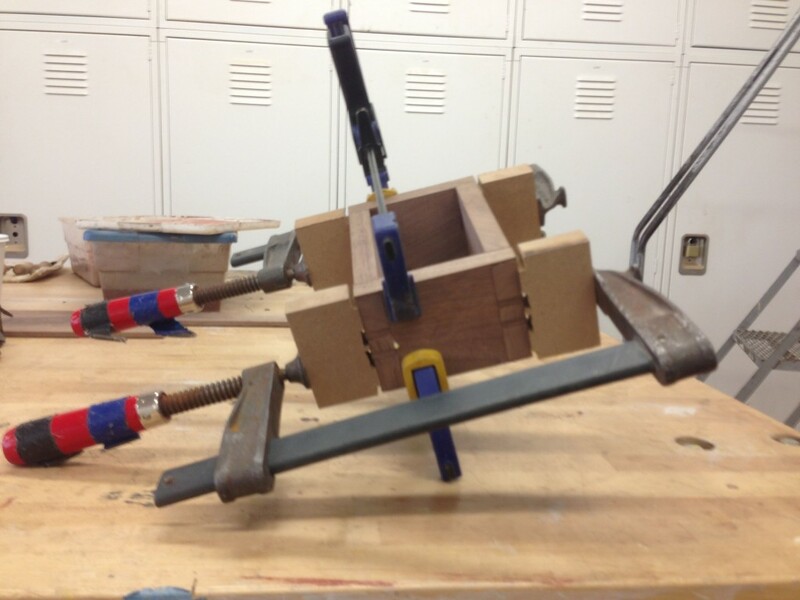 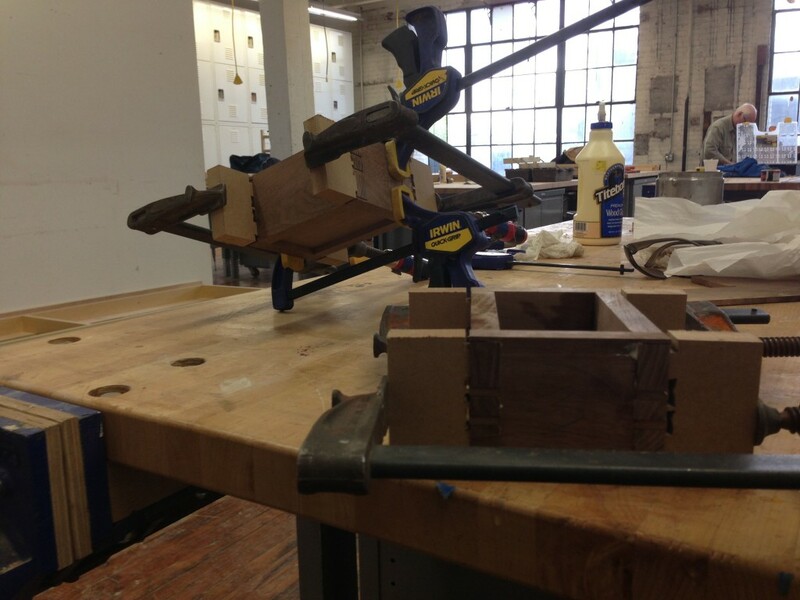 This entry was posted in Recent Work, Rocking Chair on January 20, 2013 by Matthew Mullen. 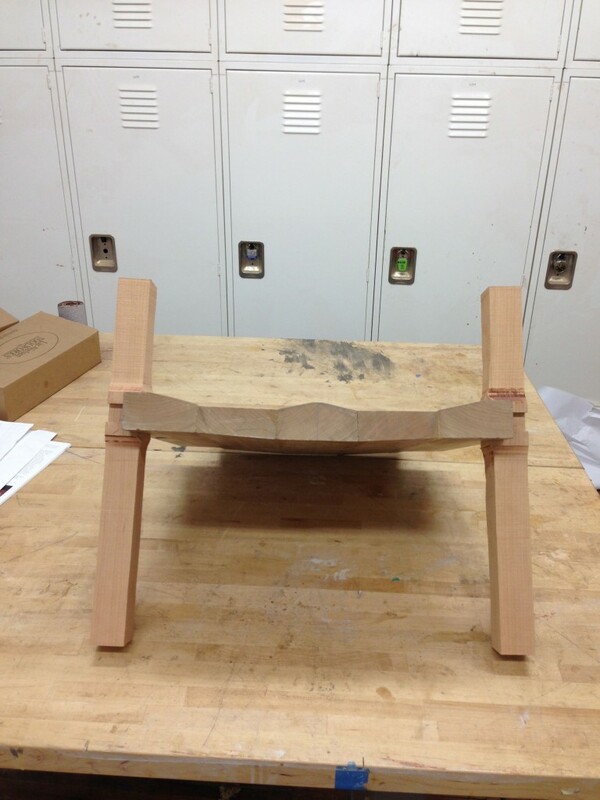 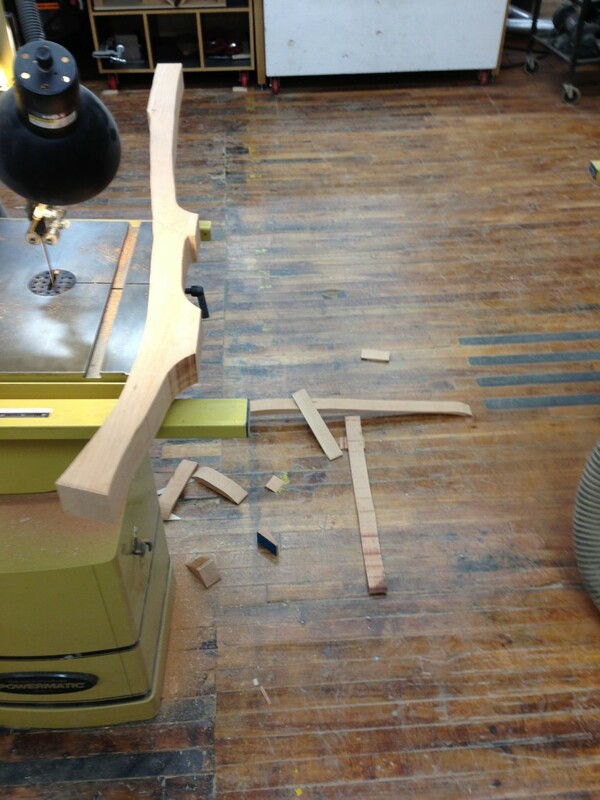 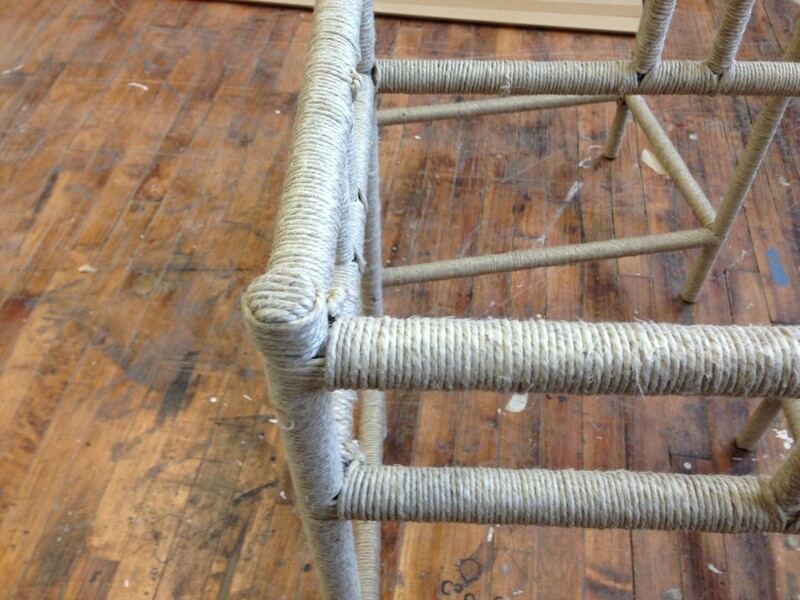 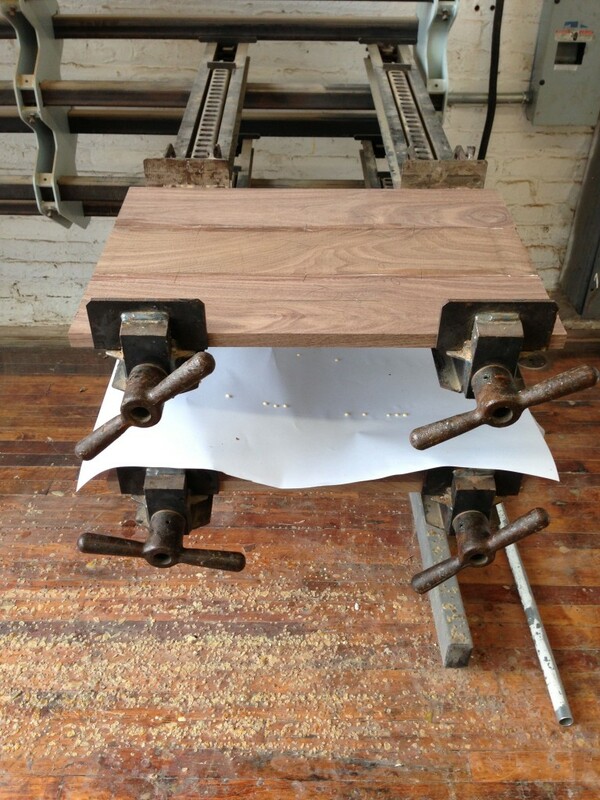 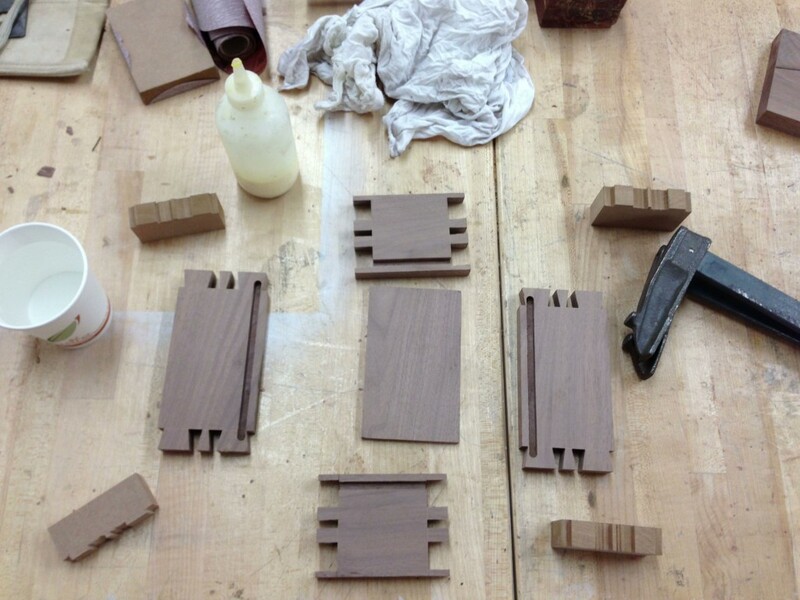 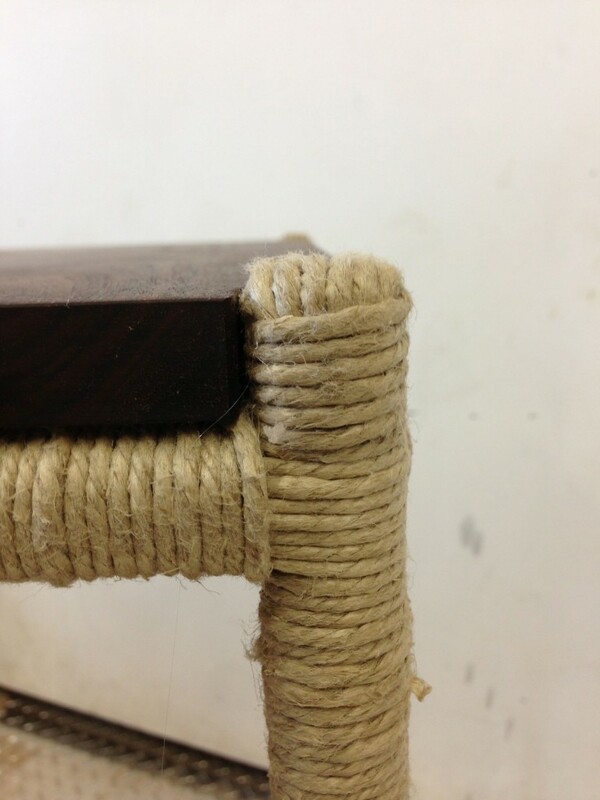 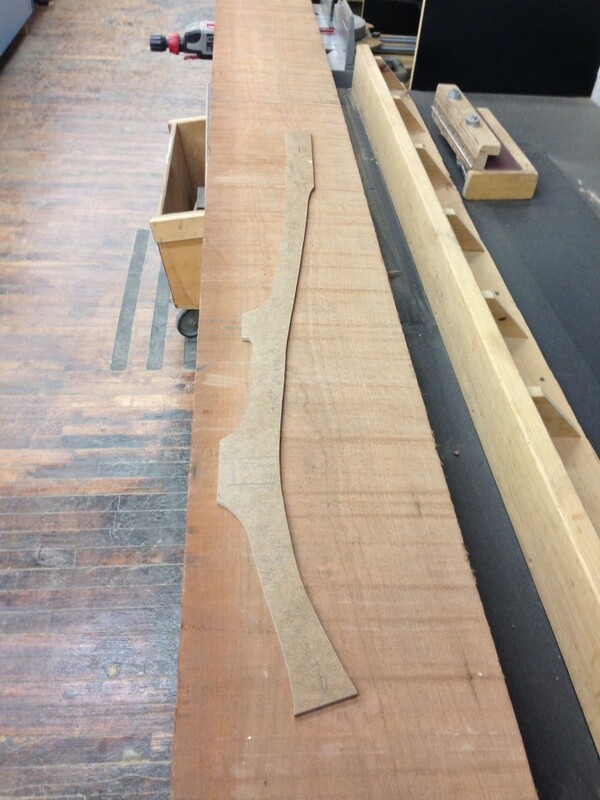 This album focuses on the construction of the front two legs of the rocking chair. 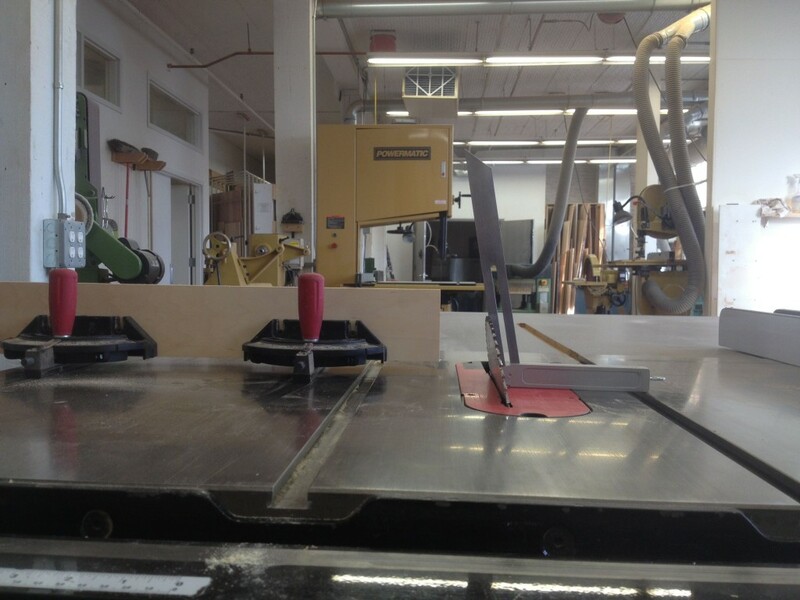 As you can see there are many tools involved. 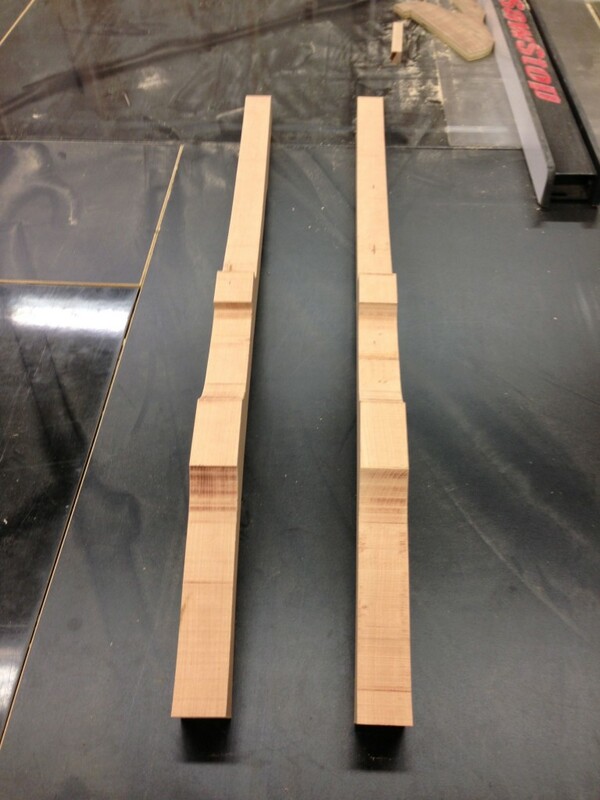 My favorite part of this process was being able to break in my new tools I purchased from the Lie-Nielsen tool event that occurred at 3rd Ward. 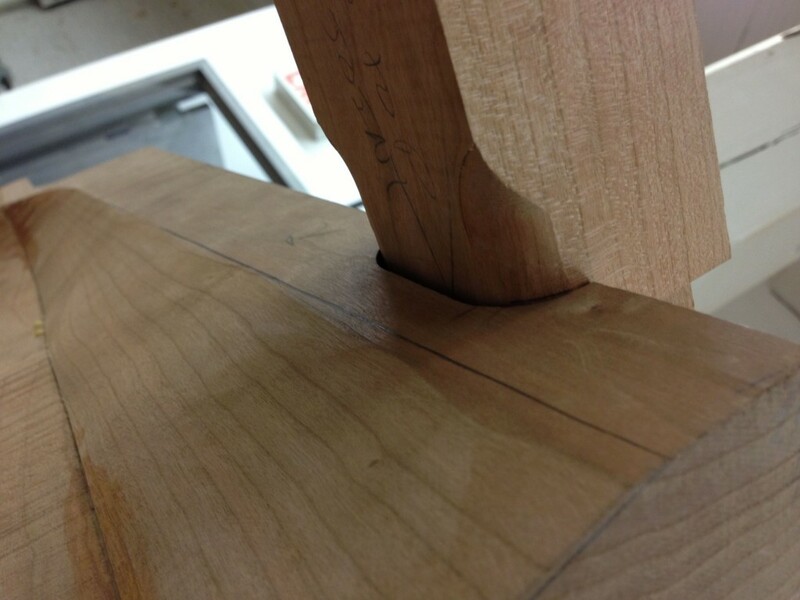 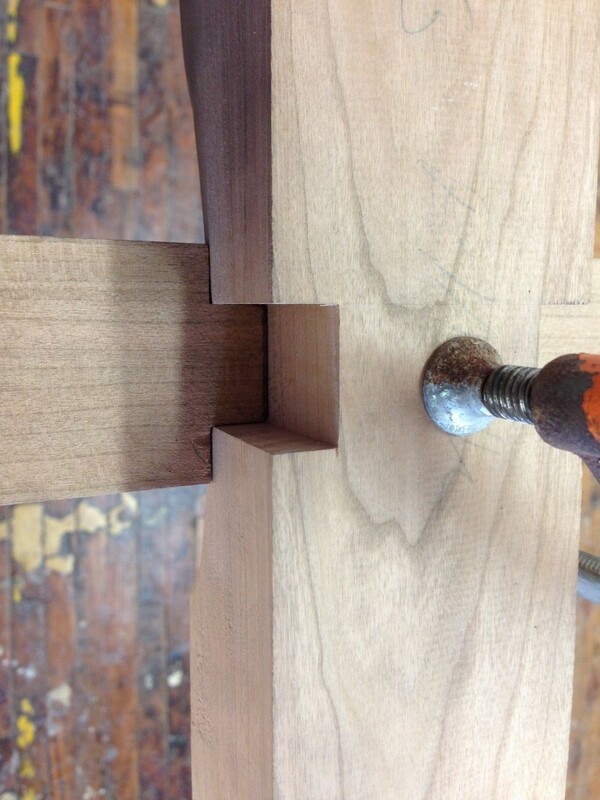 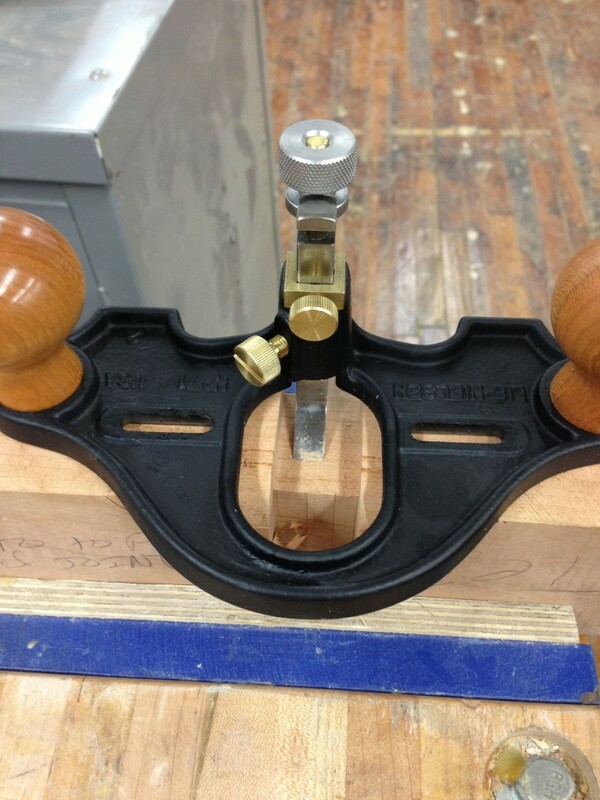 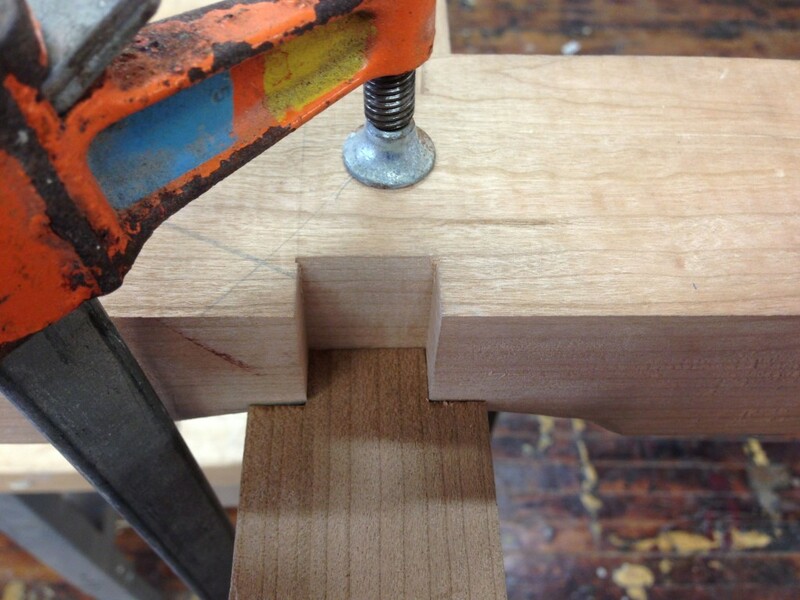 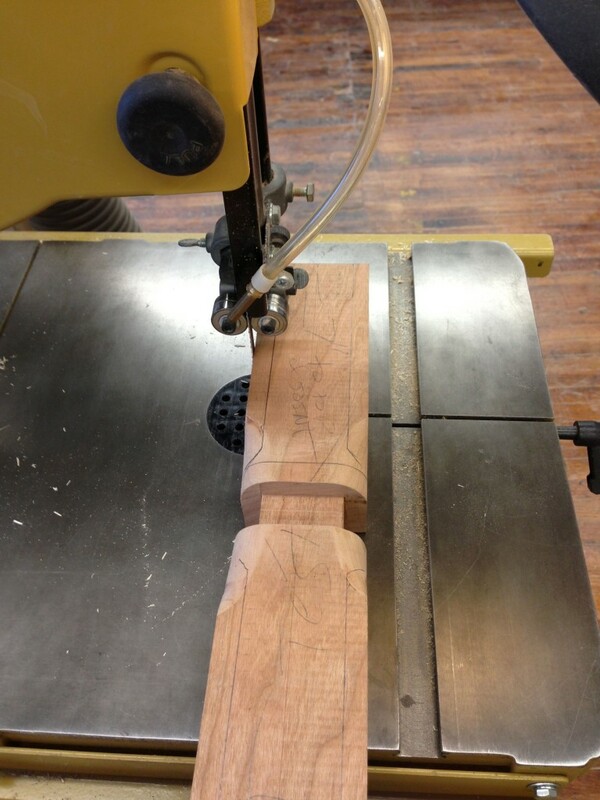 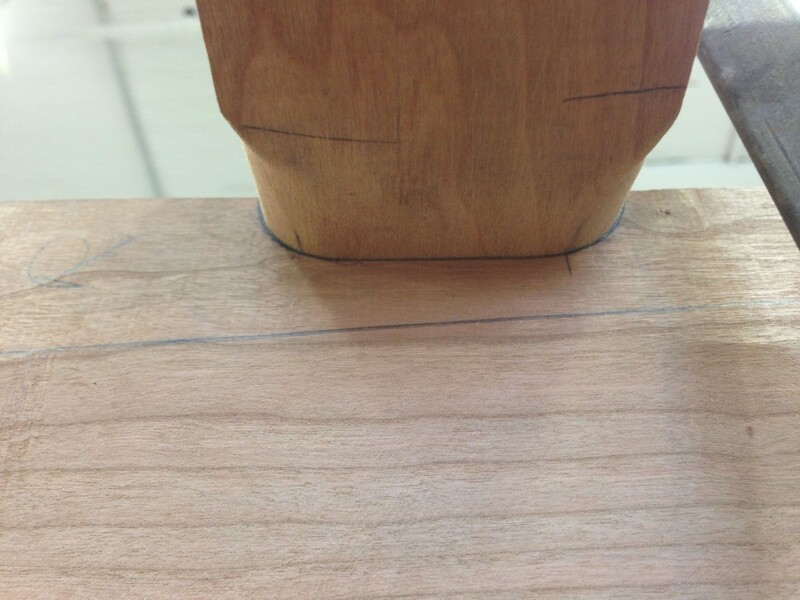 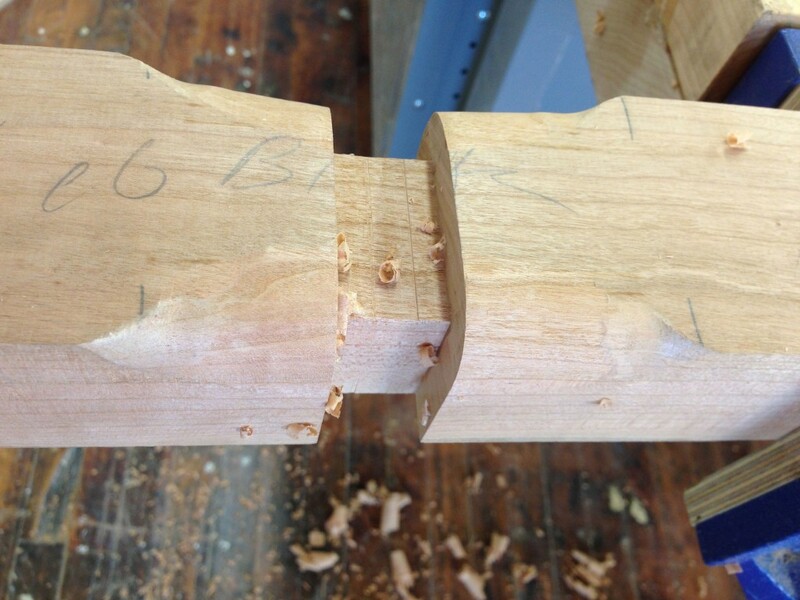 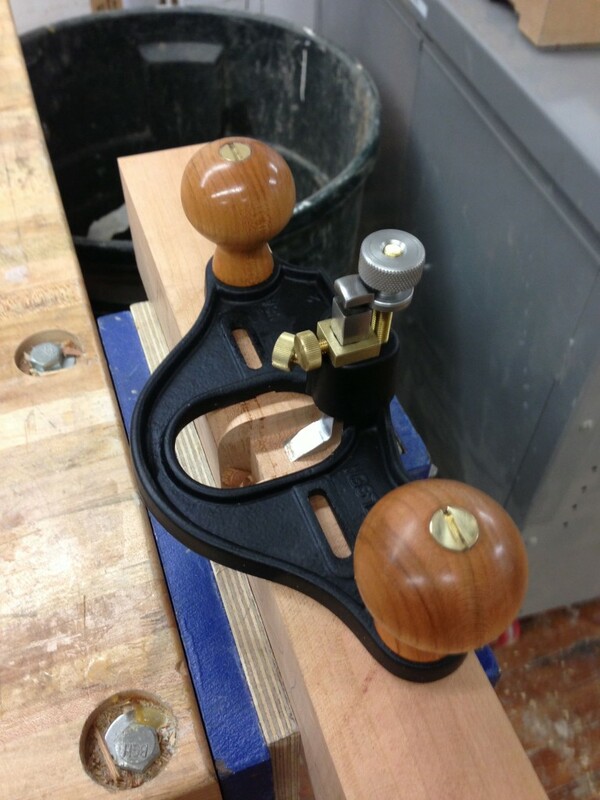 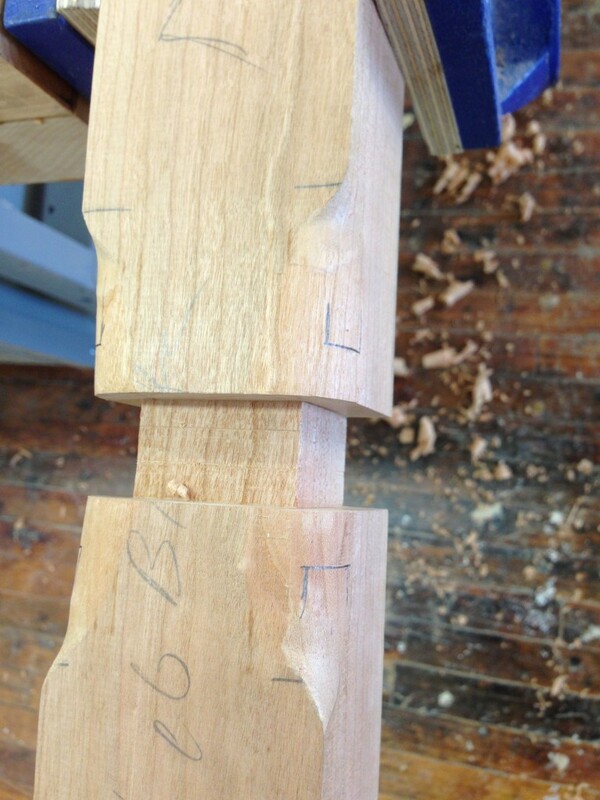 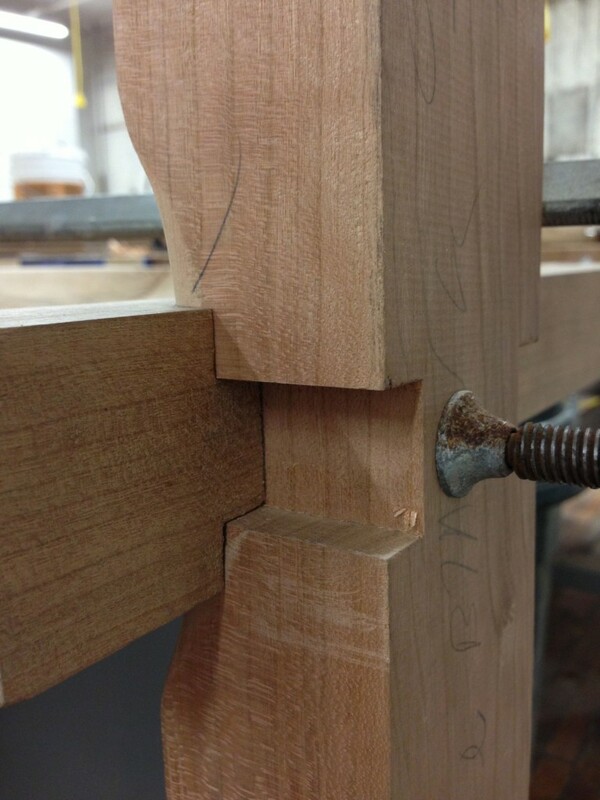 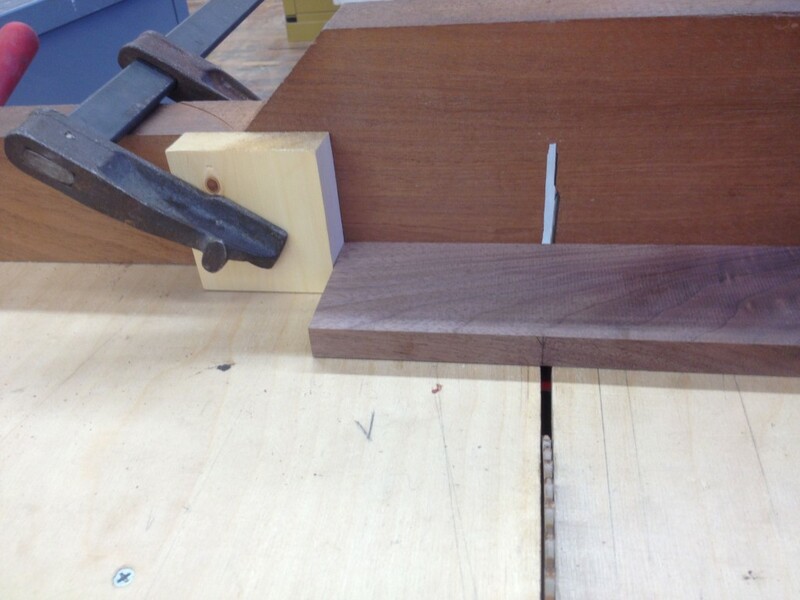 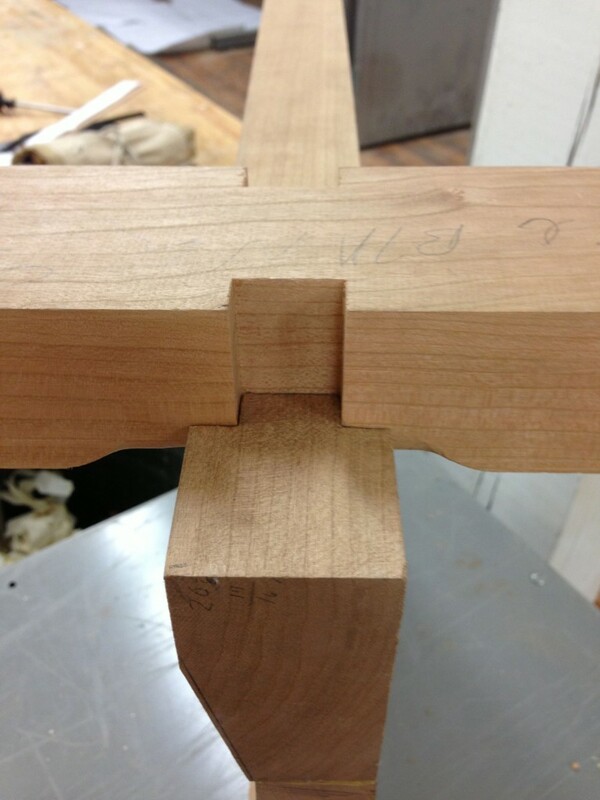 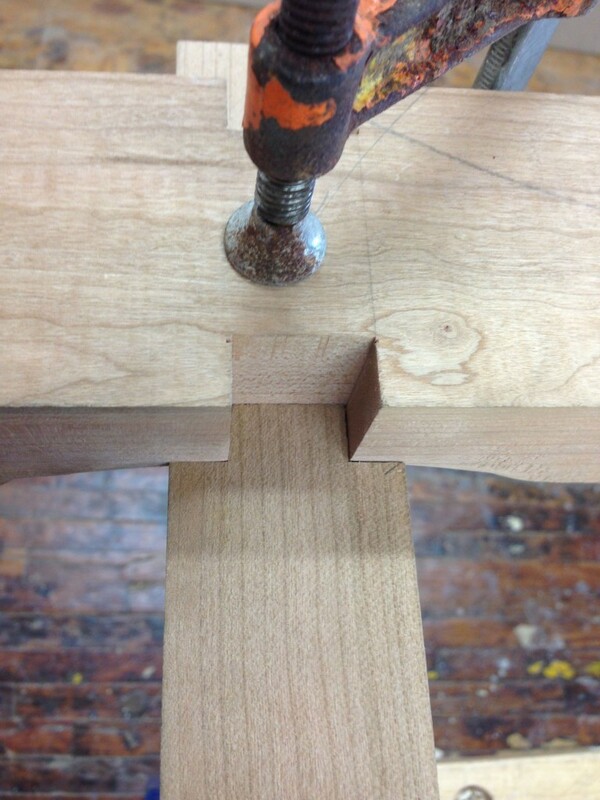 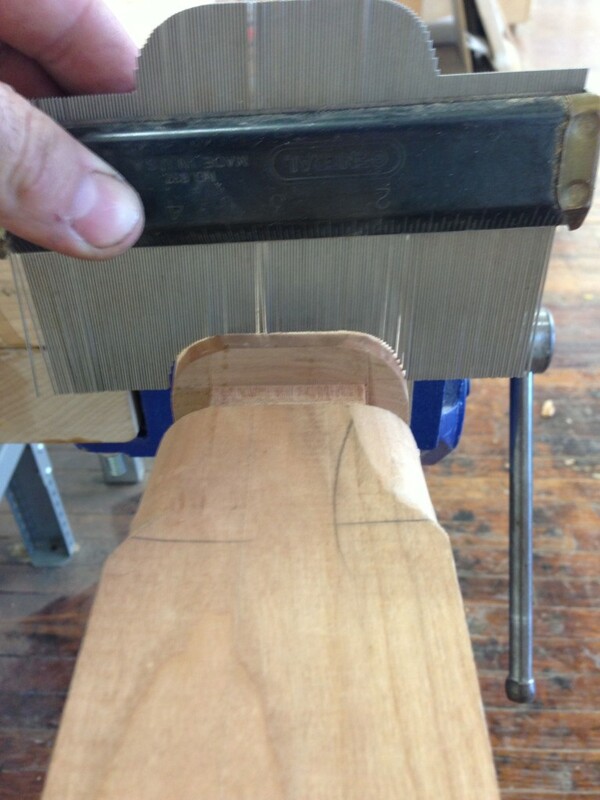 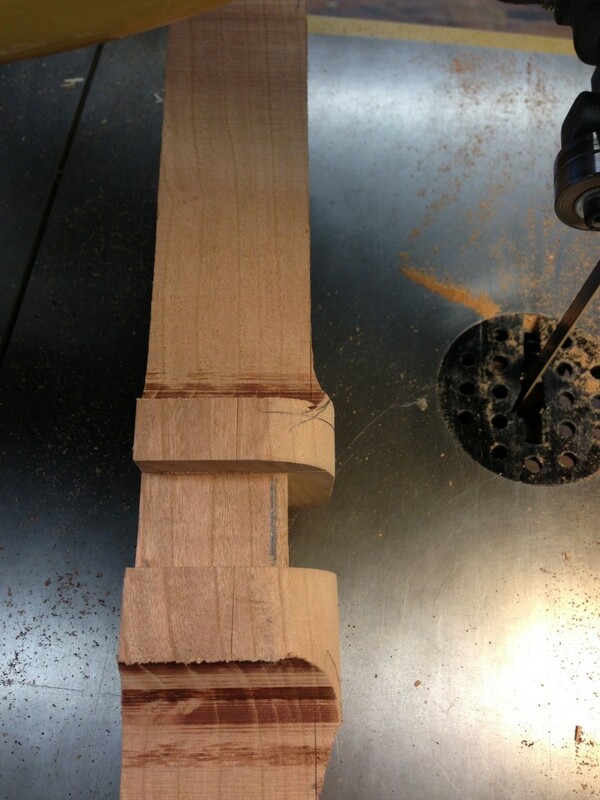 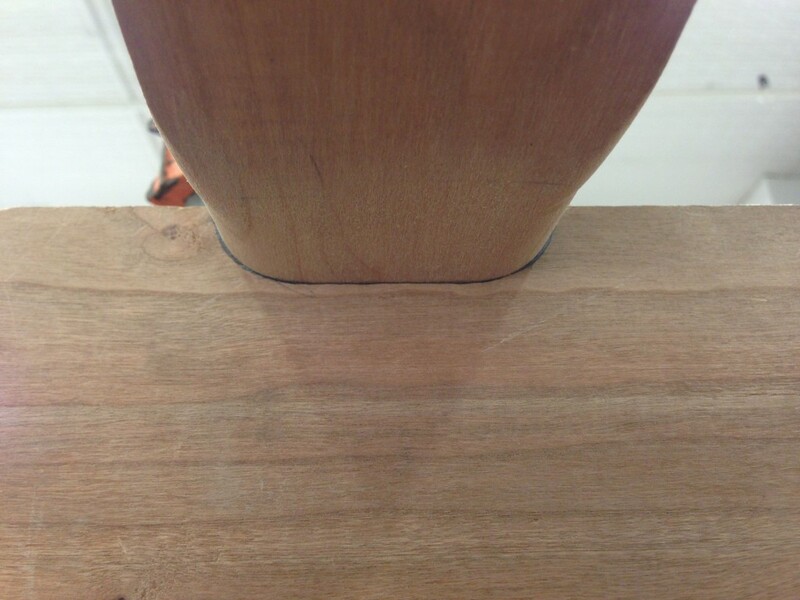 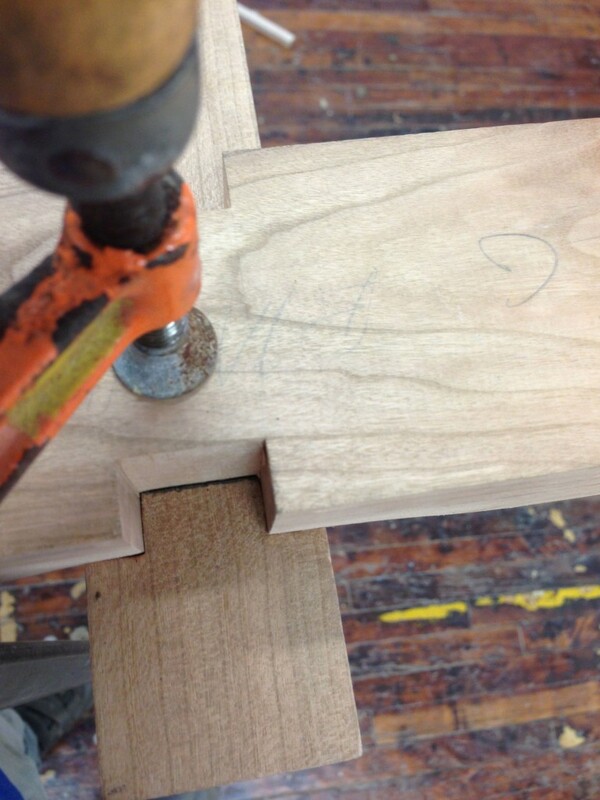 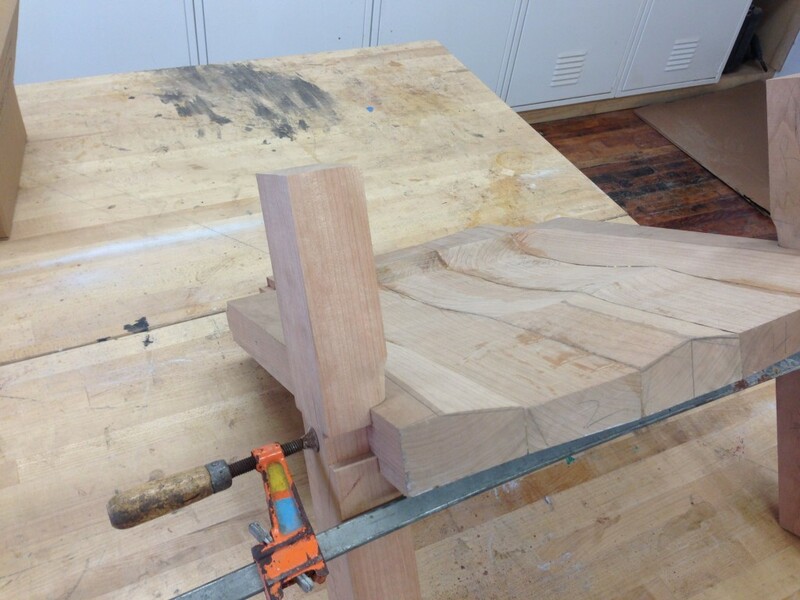 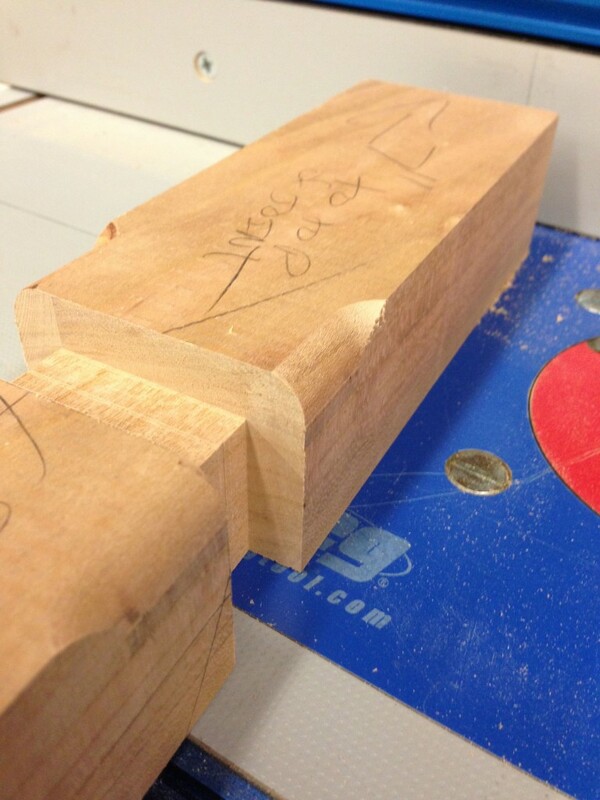 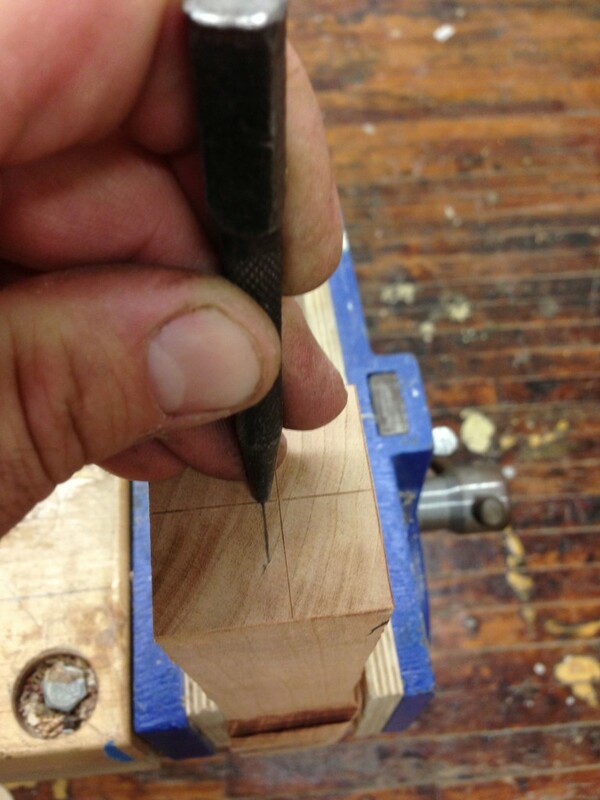 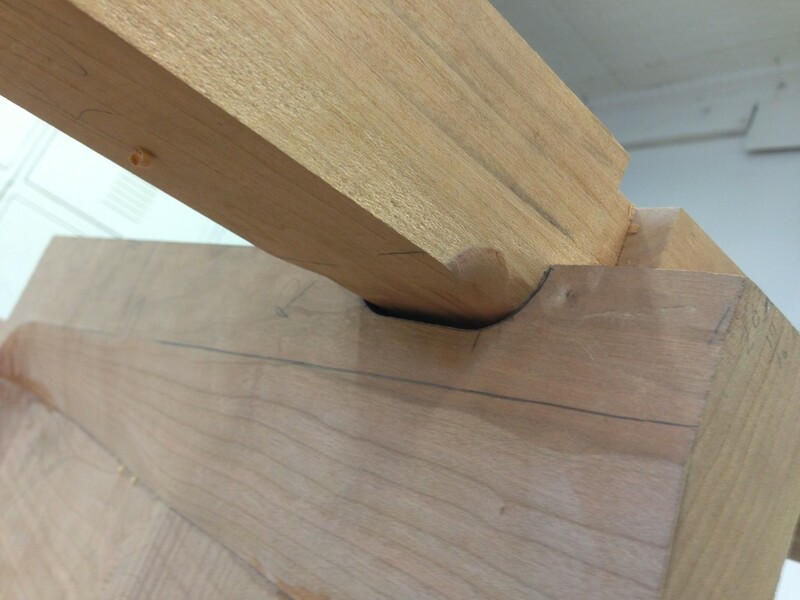 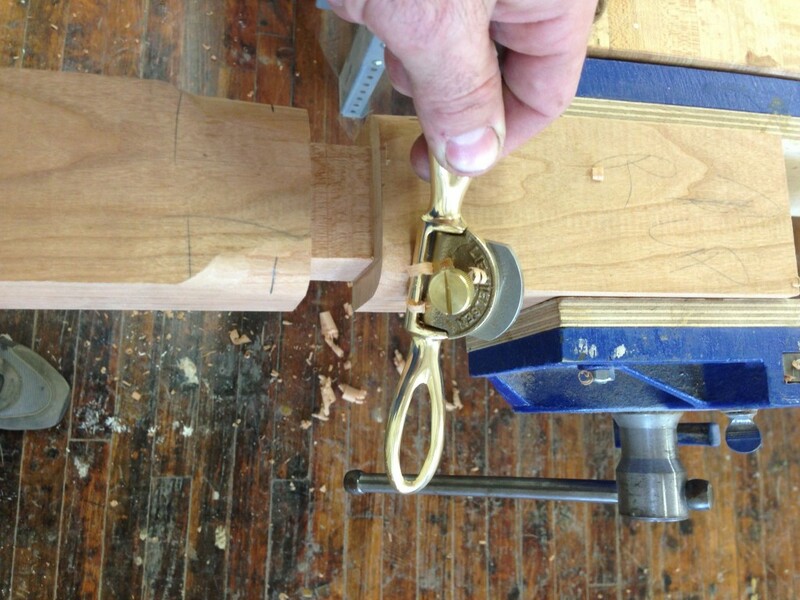 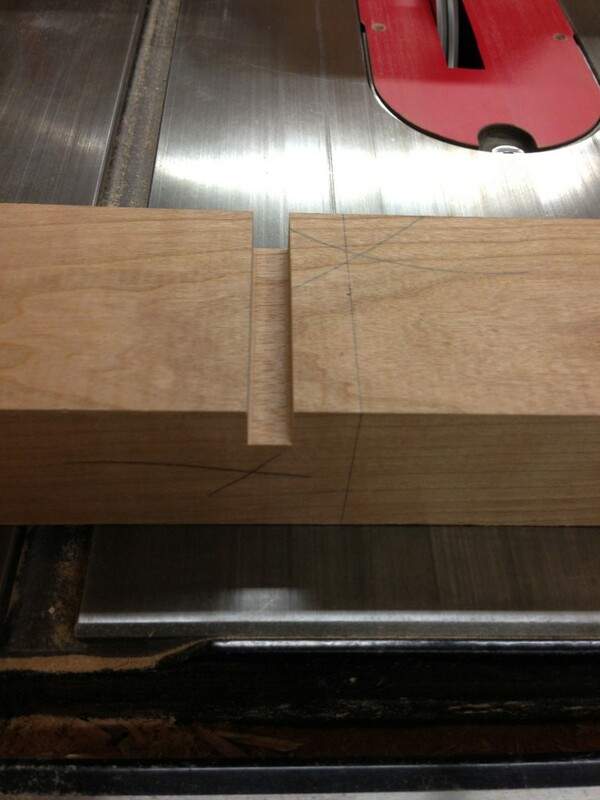 The spoke shave and router plane made it easy to create the tight joints at the leg to seat connection. 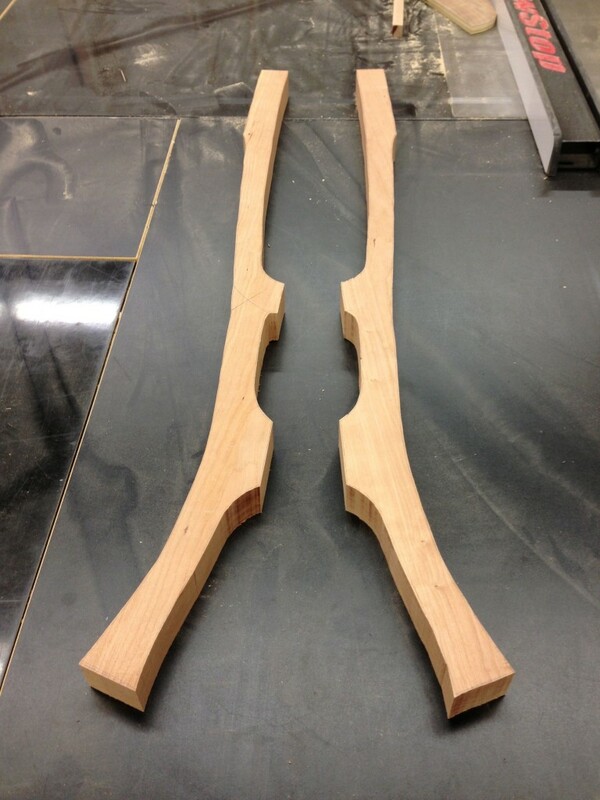 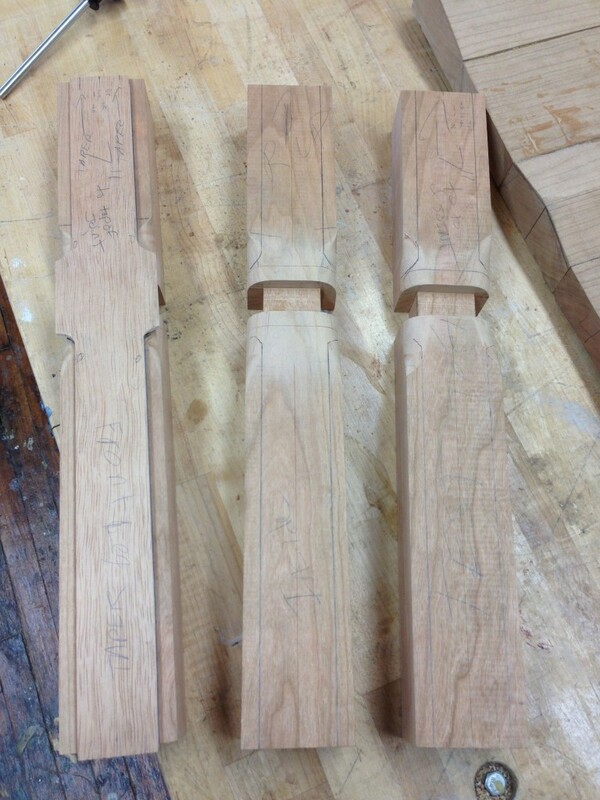 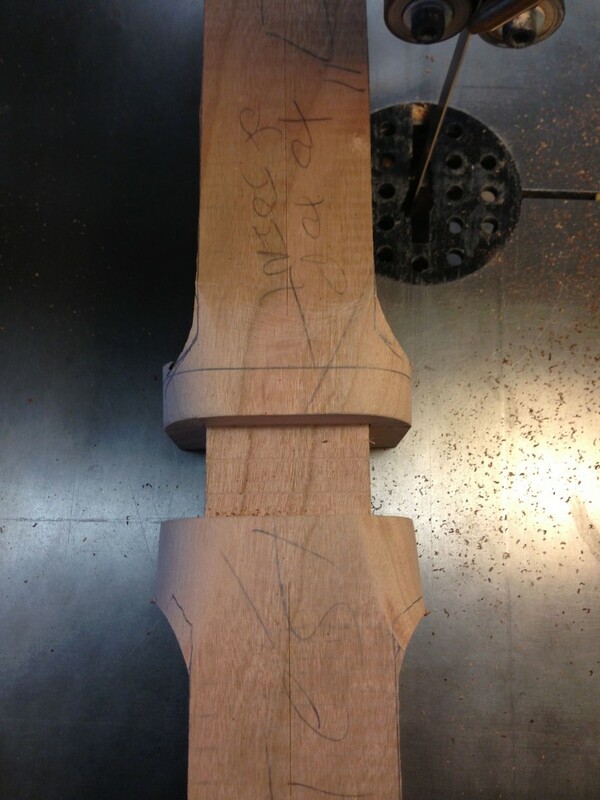 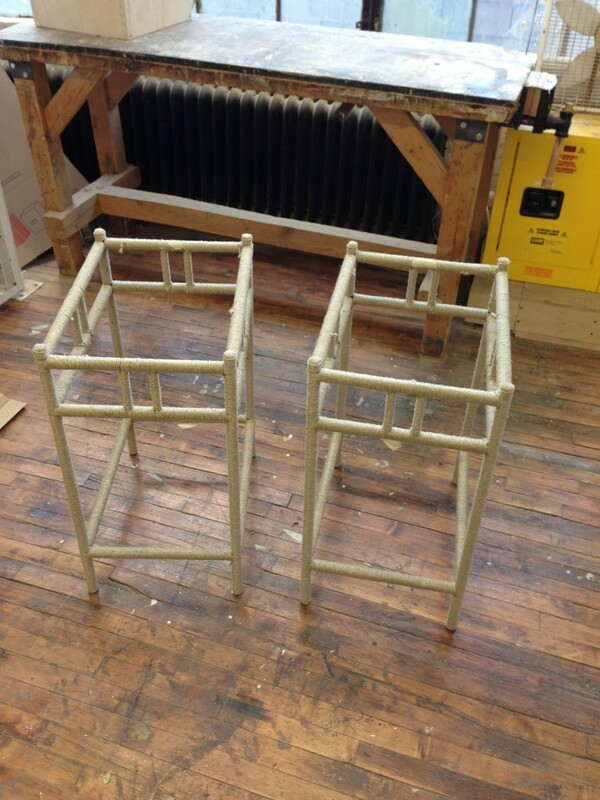 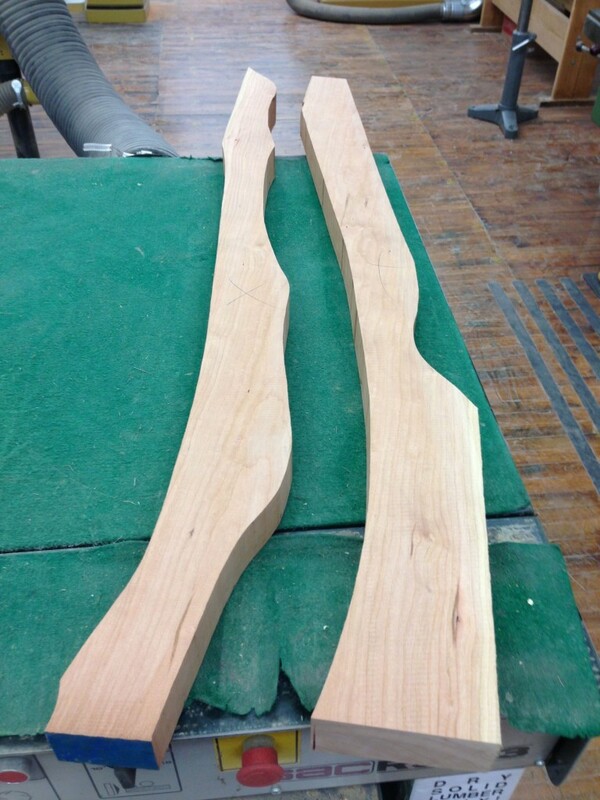 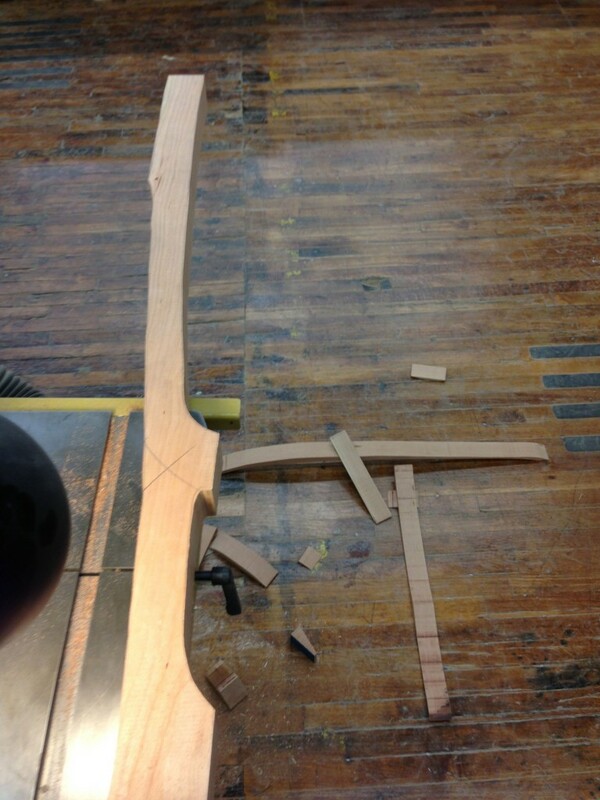 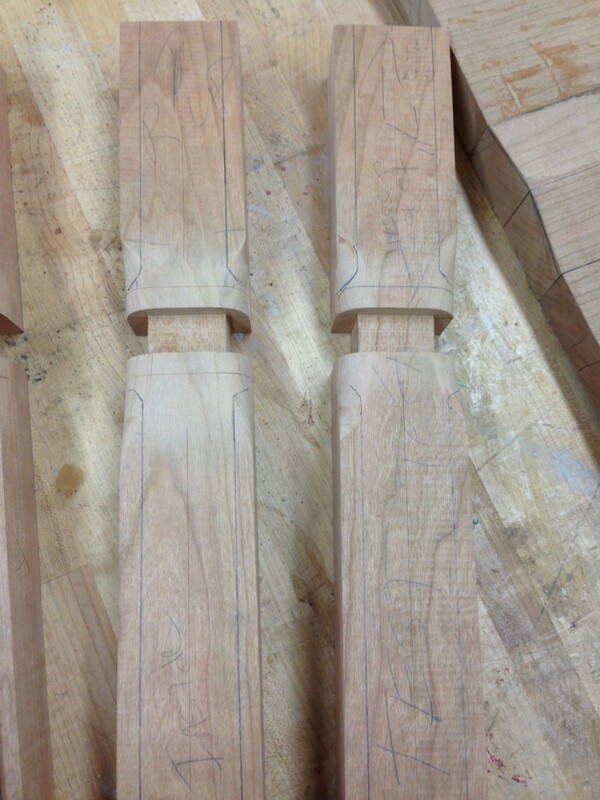 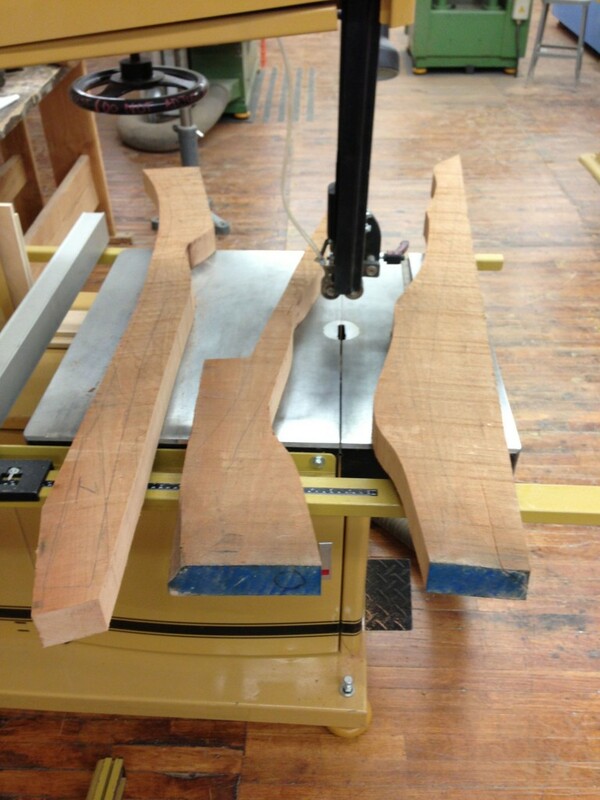 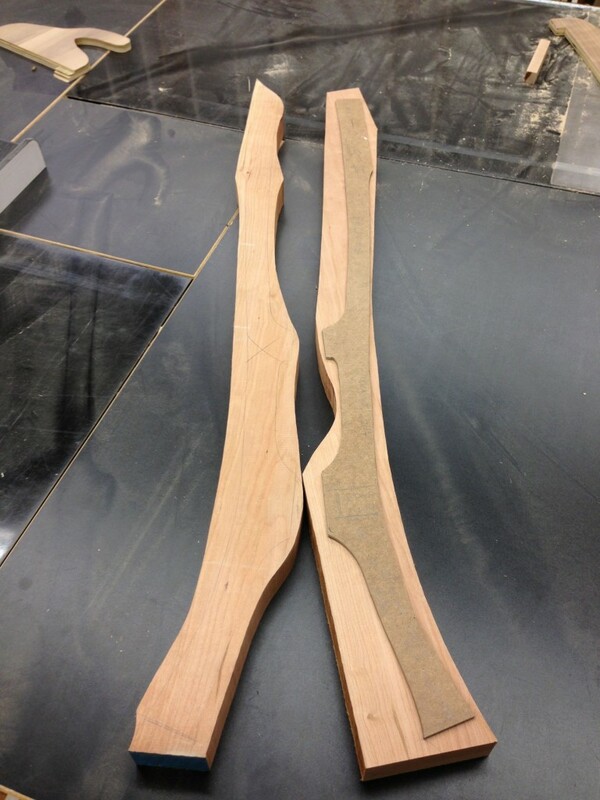 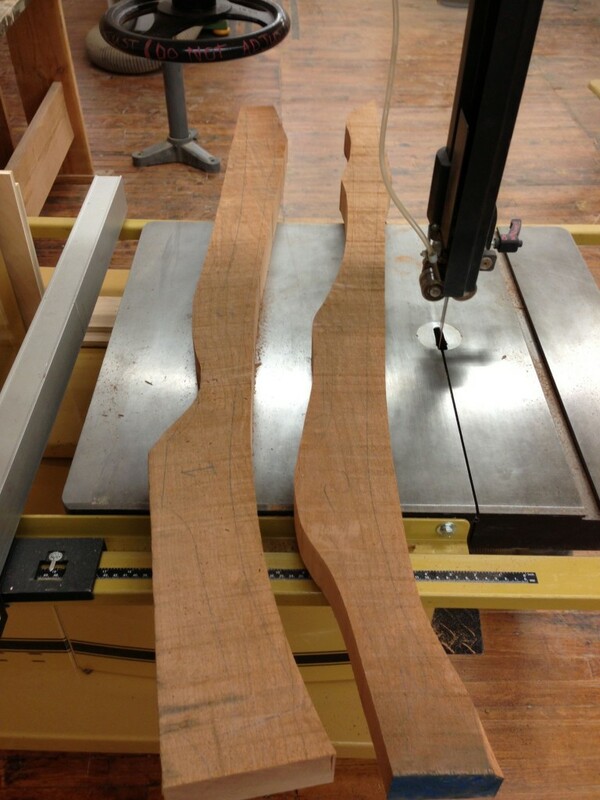 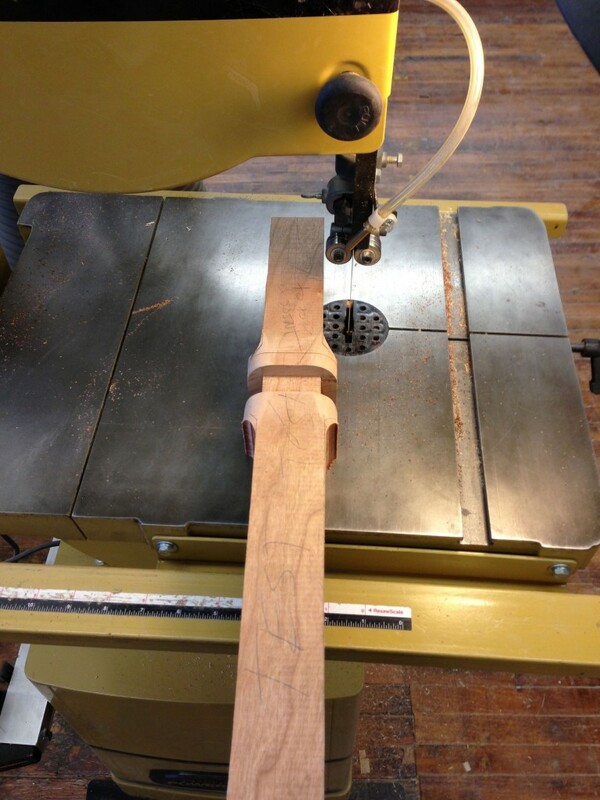 The legs are not finished yet, they still need to be turned on the lathe for final shaping. 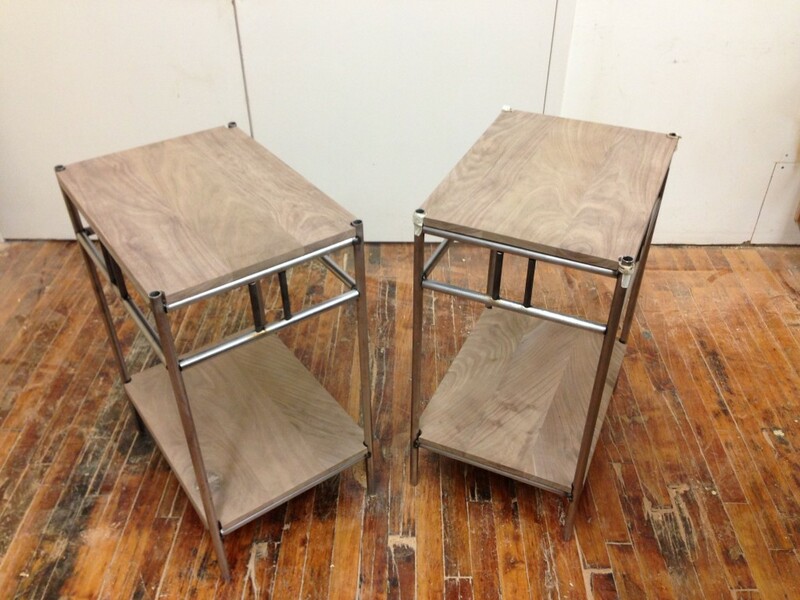 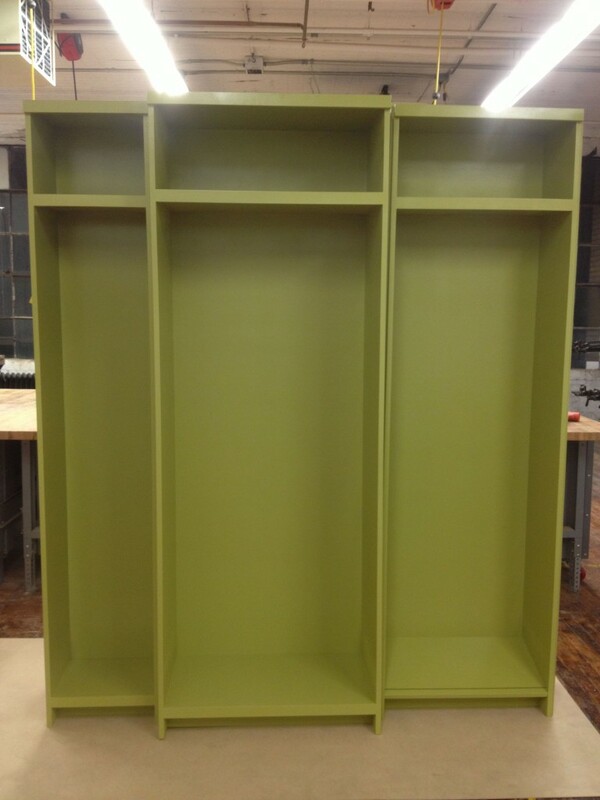 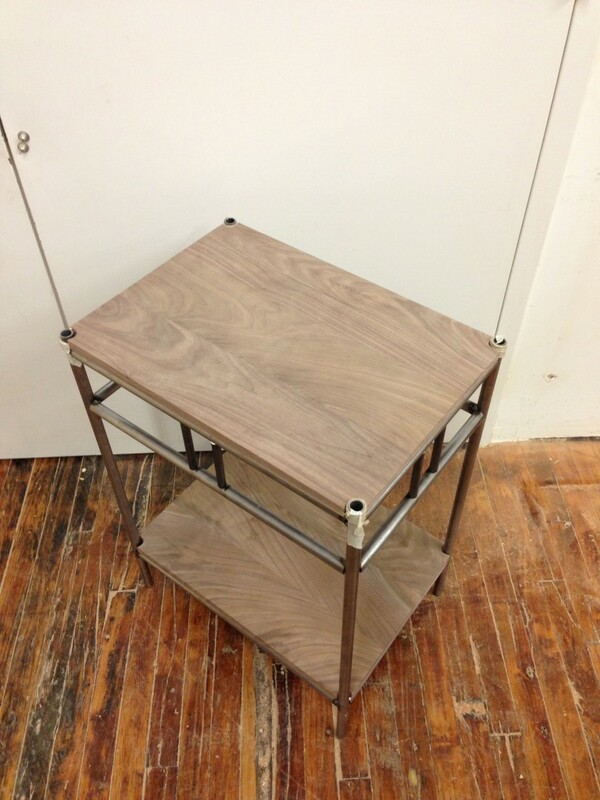 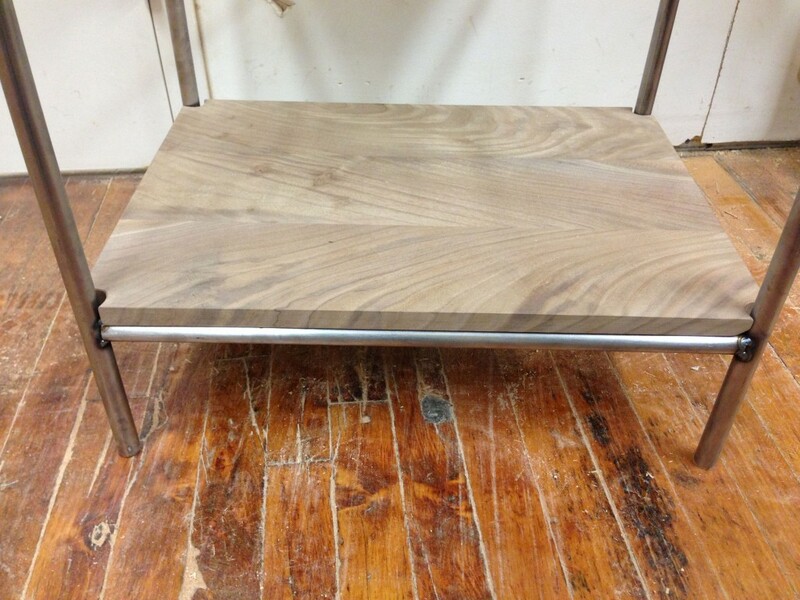 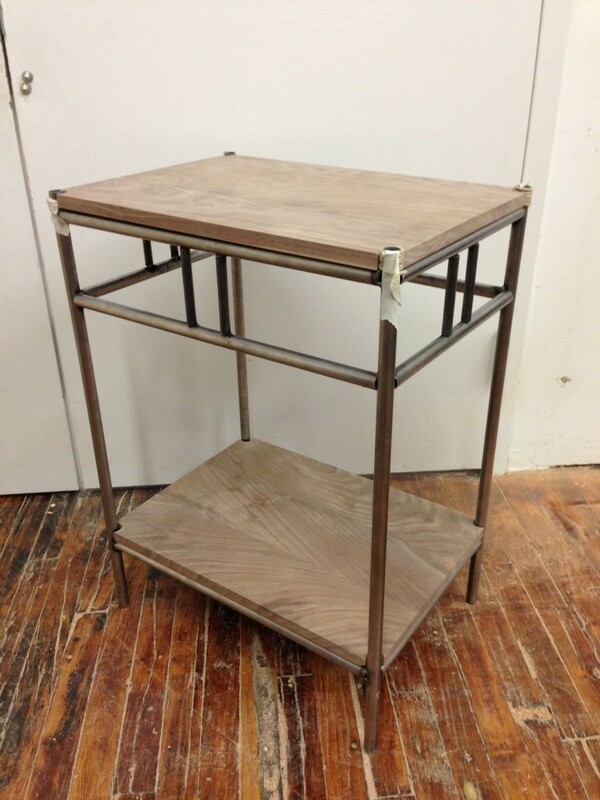 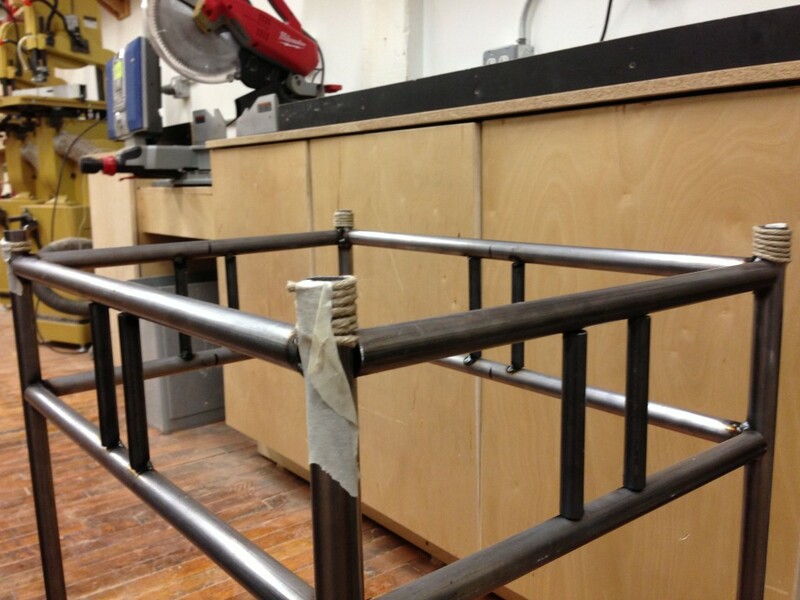 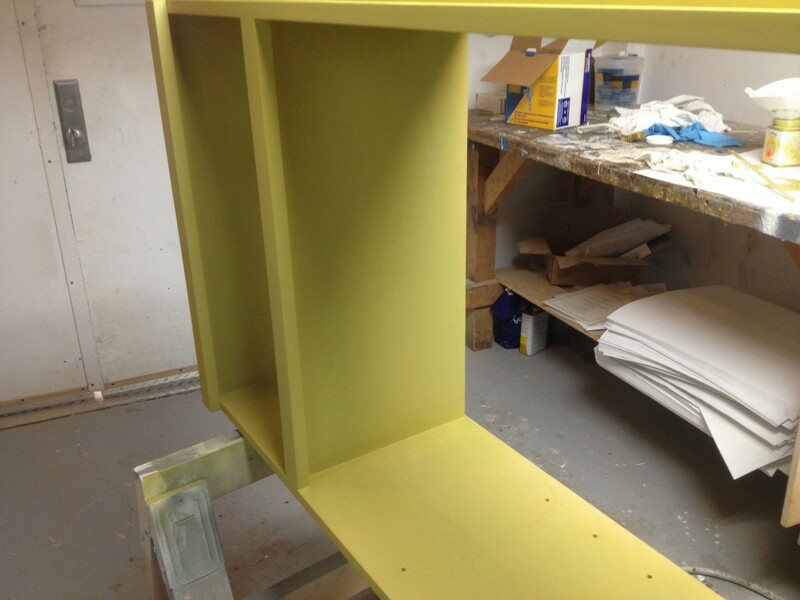 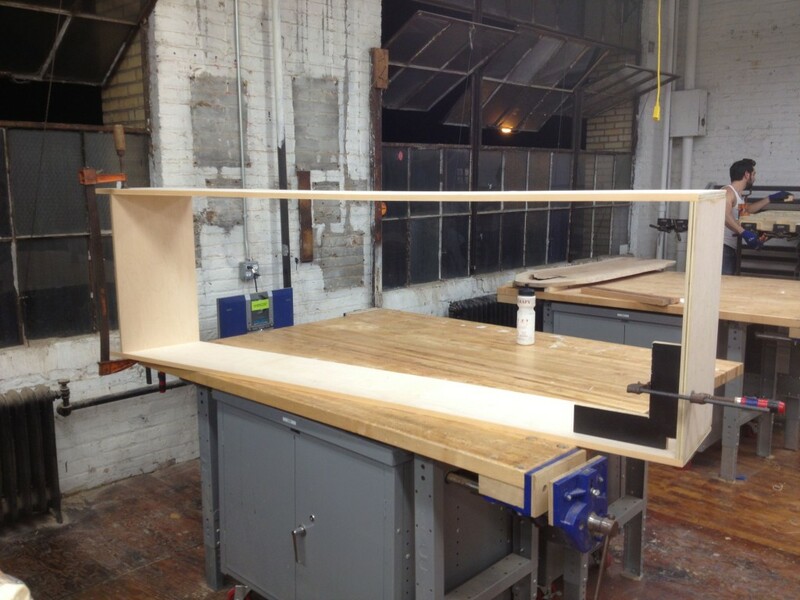 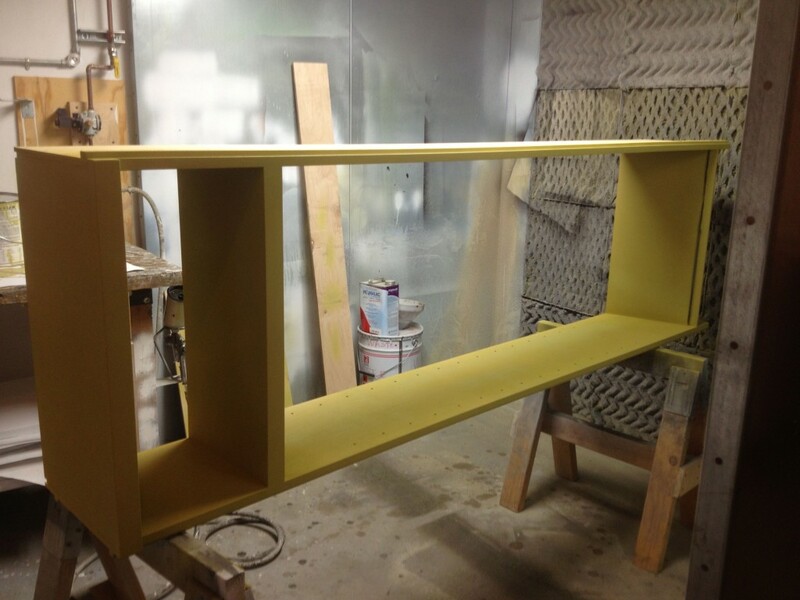 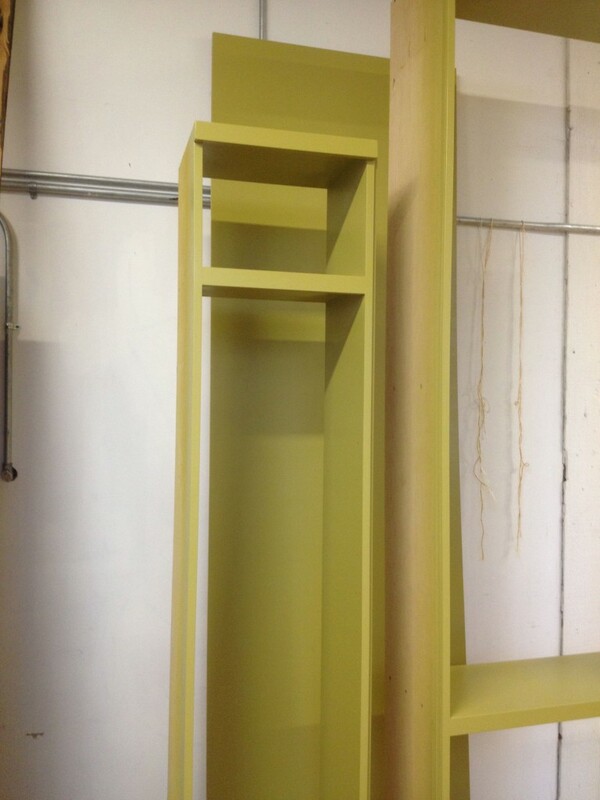 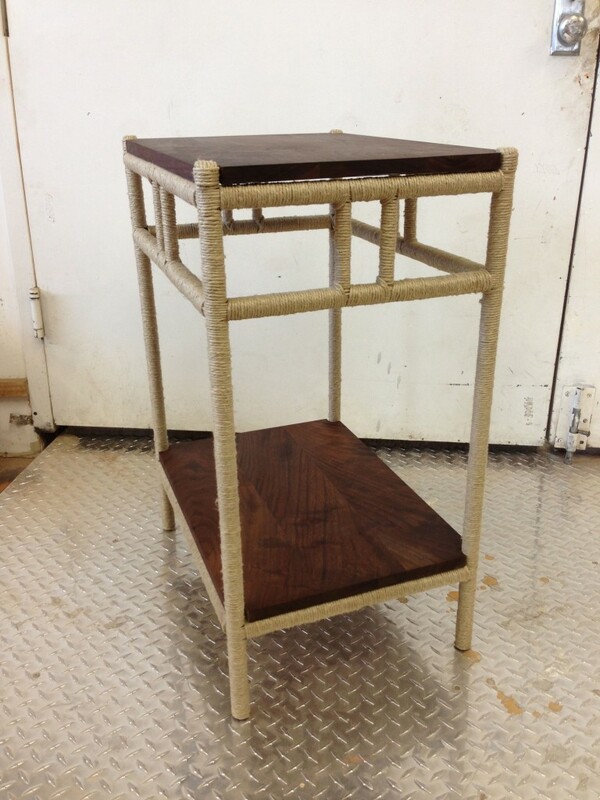 These nightstand shelves were commissioned by fellow 3rd Ward maker and metal worker James Devlin. 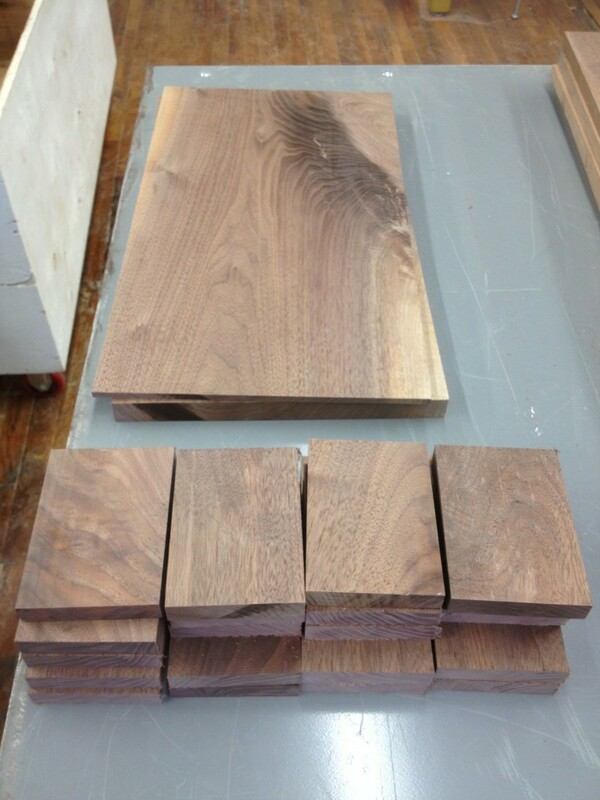 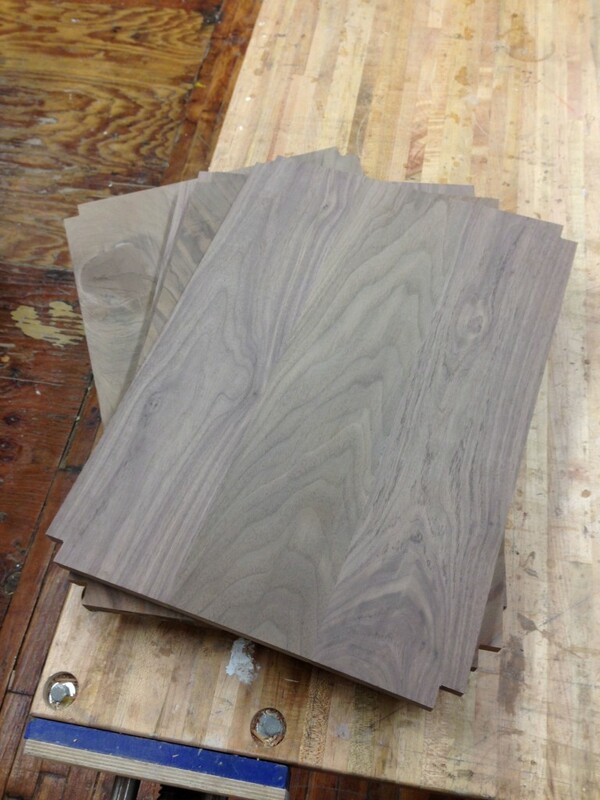 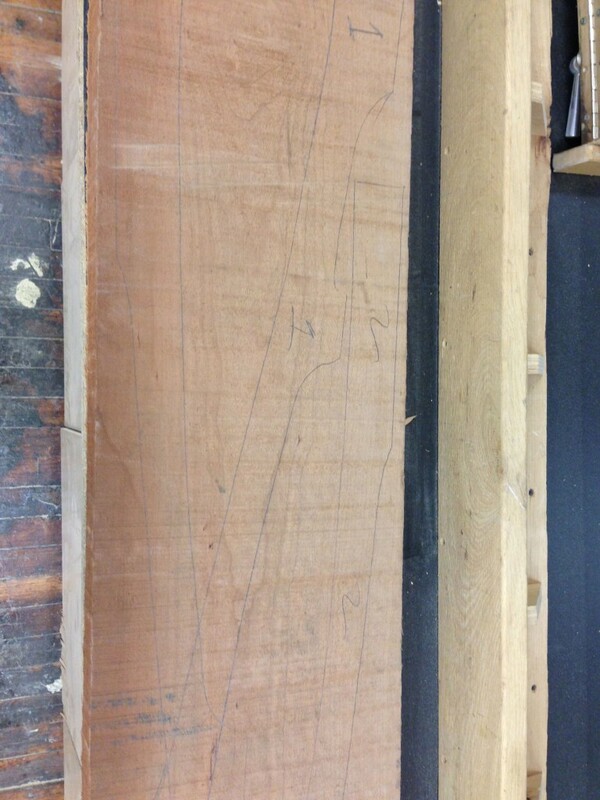 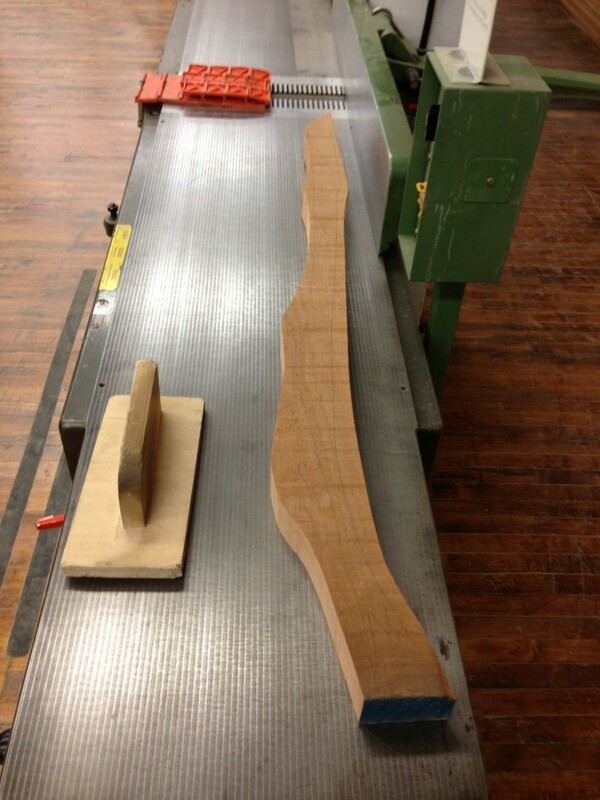 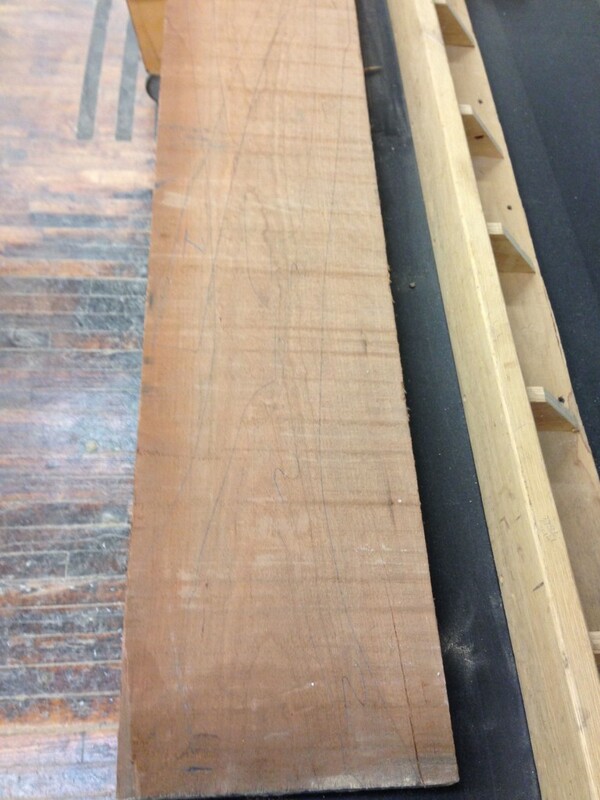 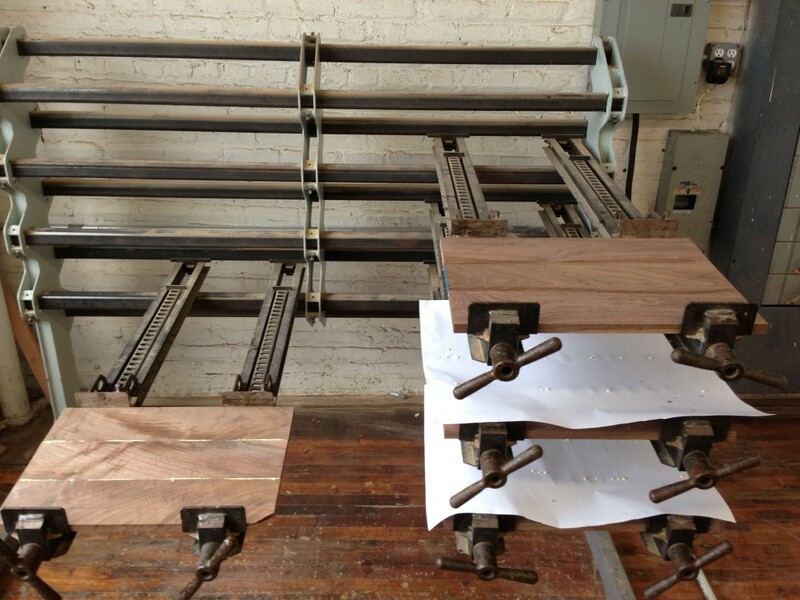 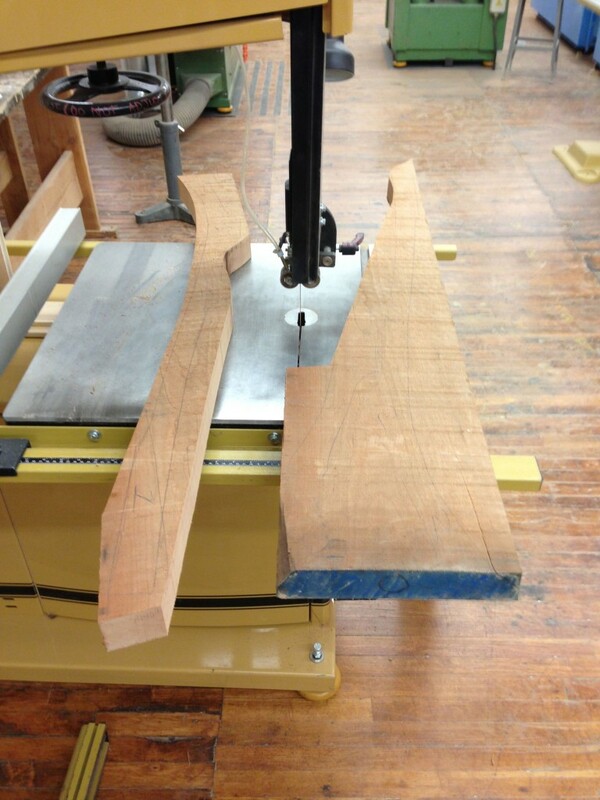 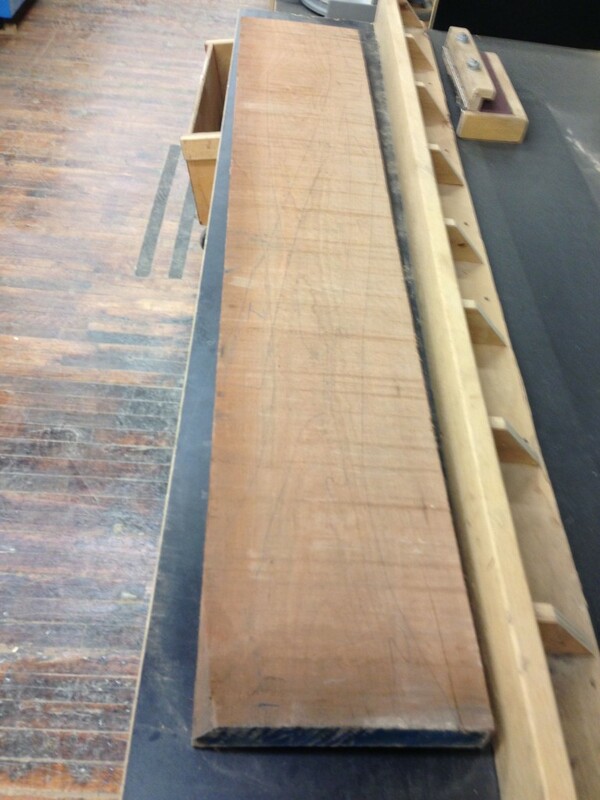 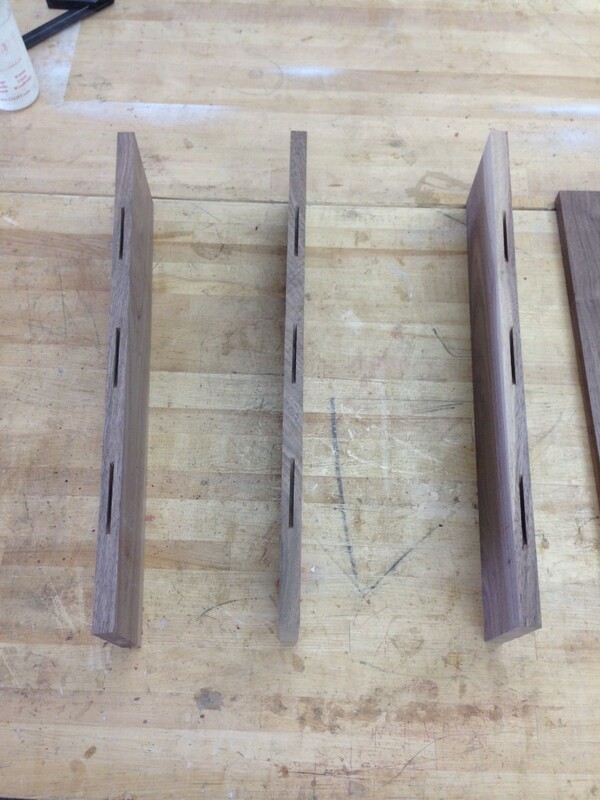 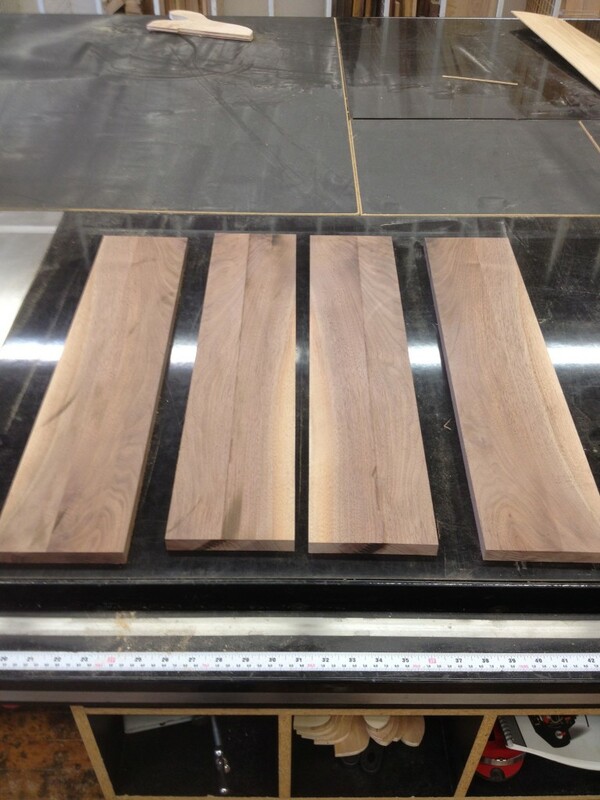 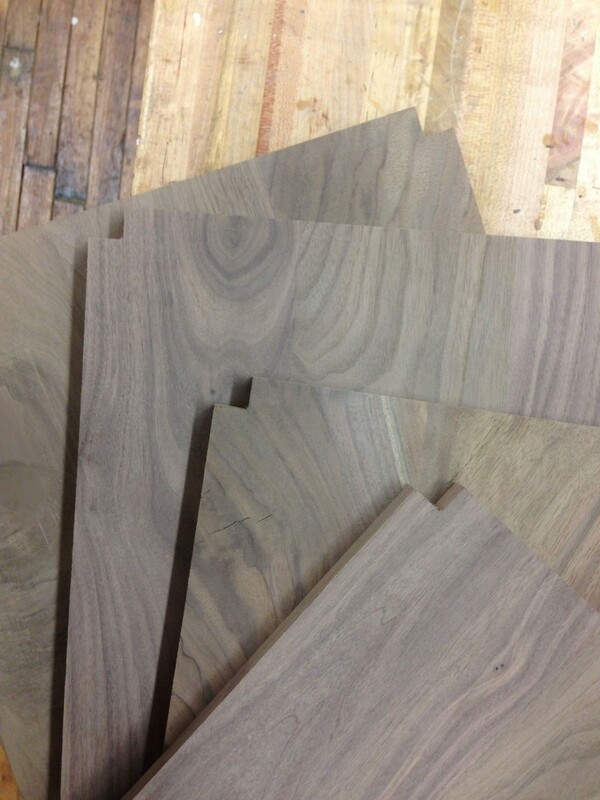 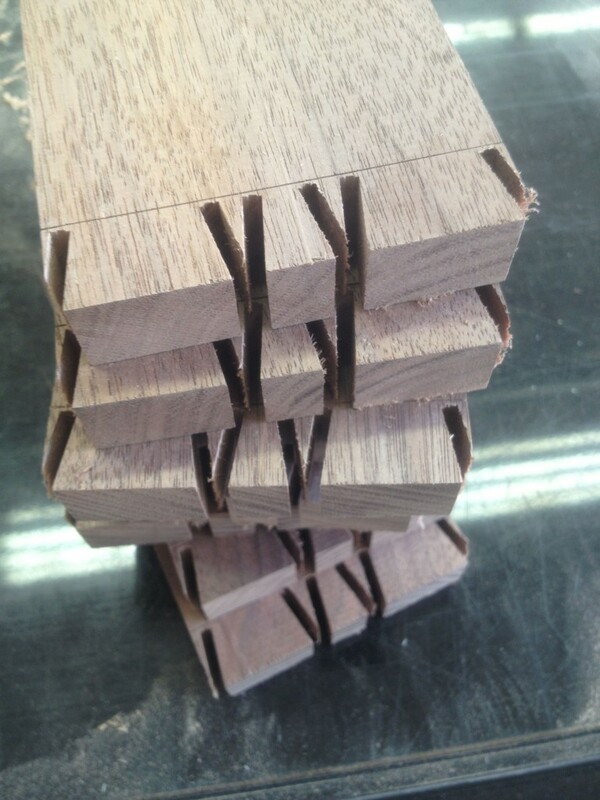 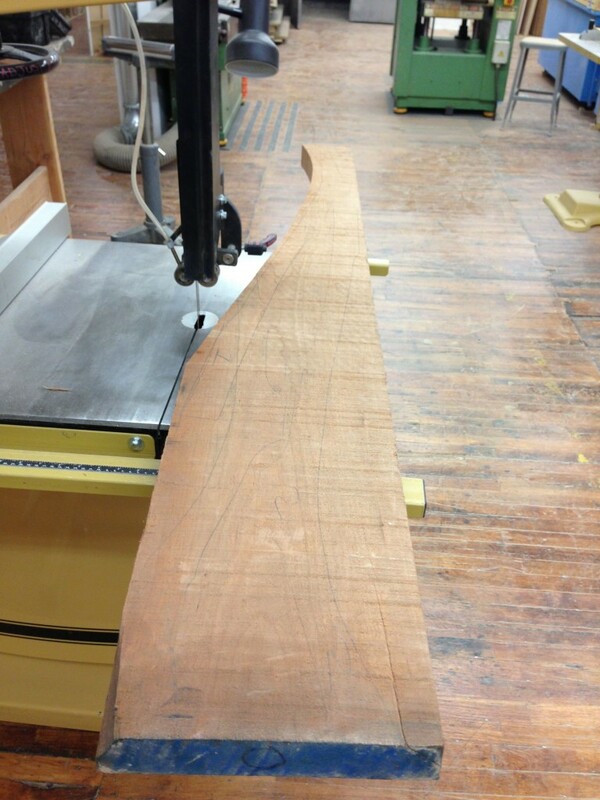 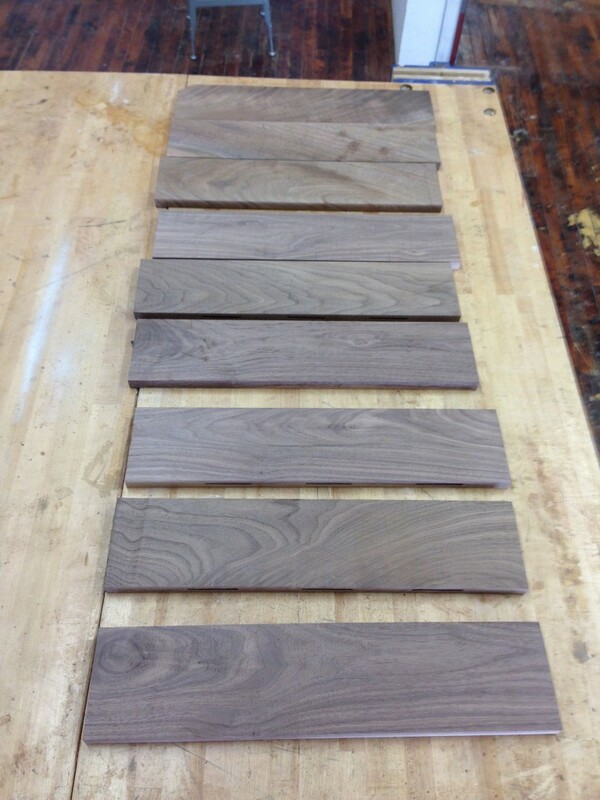 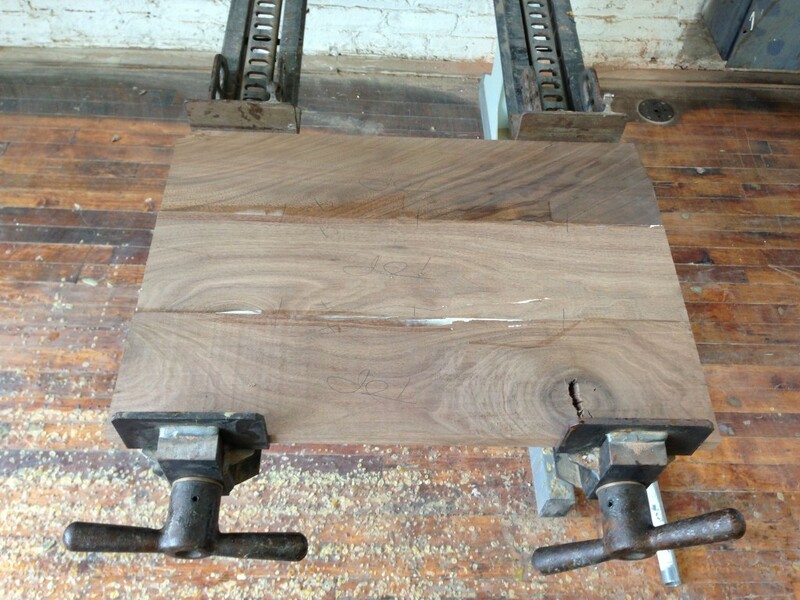 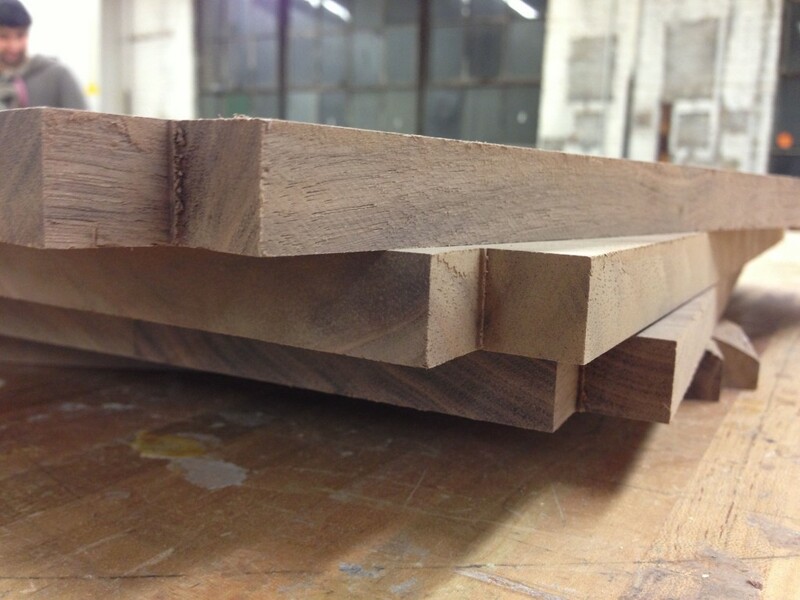 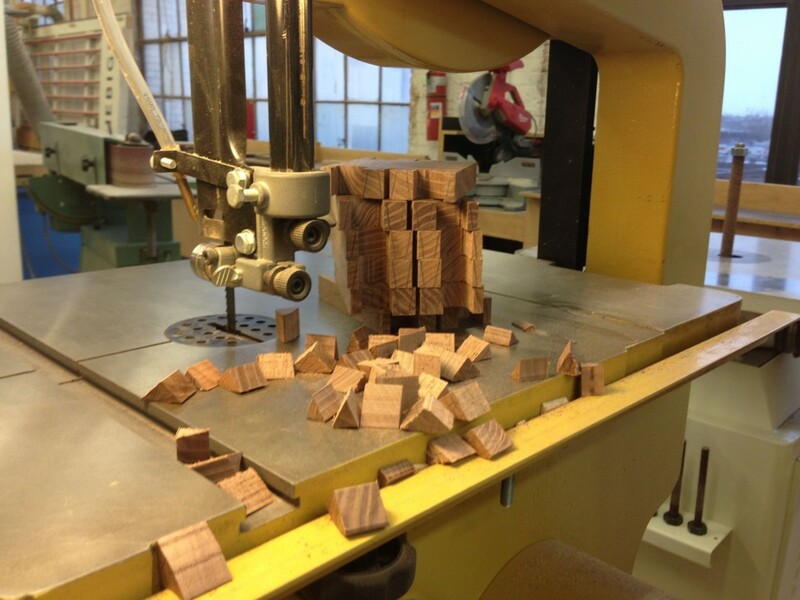 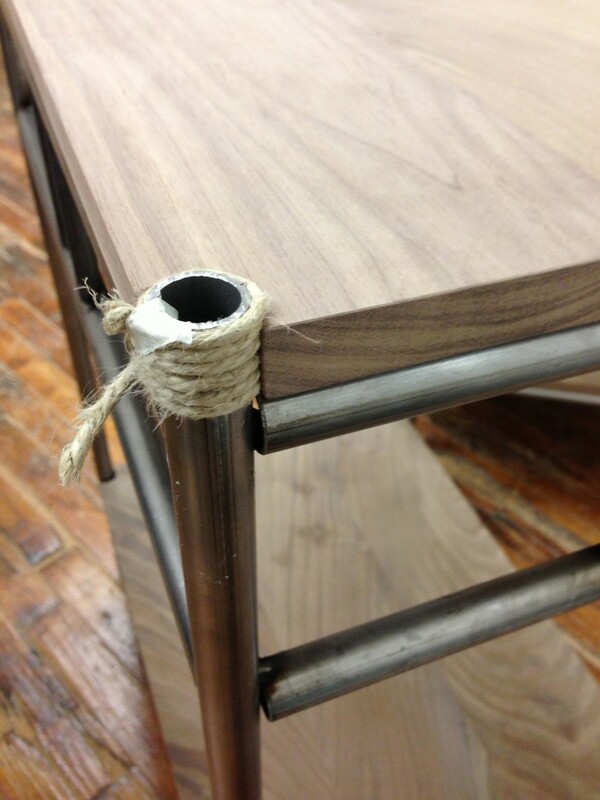 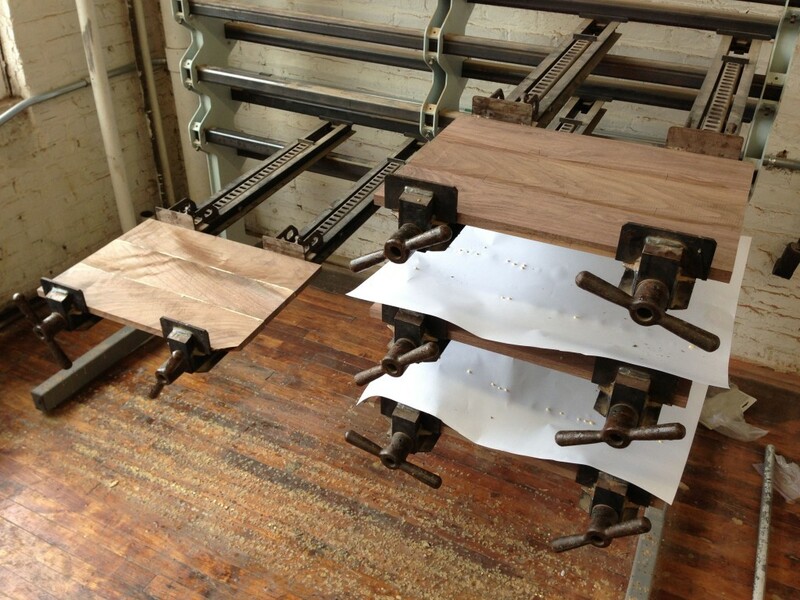 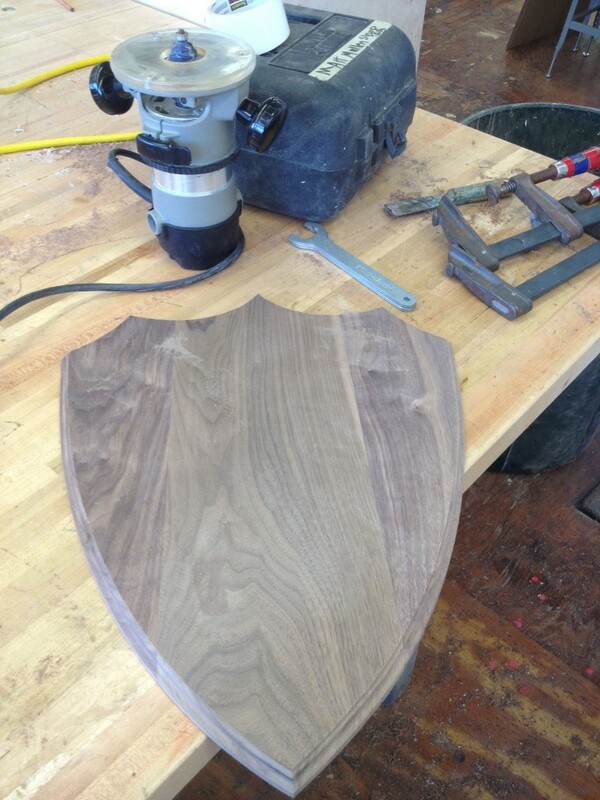 They are walnut slabs, 3/4″ thick and notched in the corners to fit around the twine that the stands will be wrapped in. 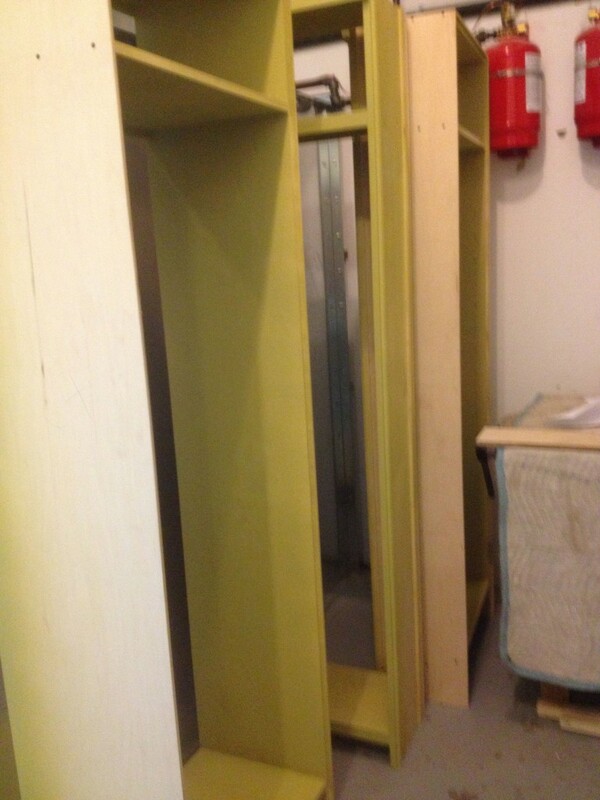 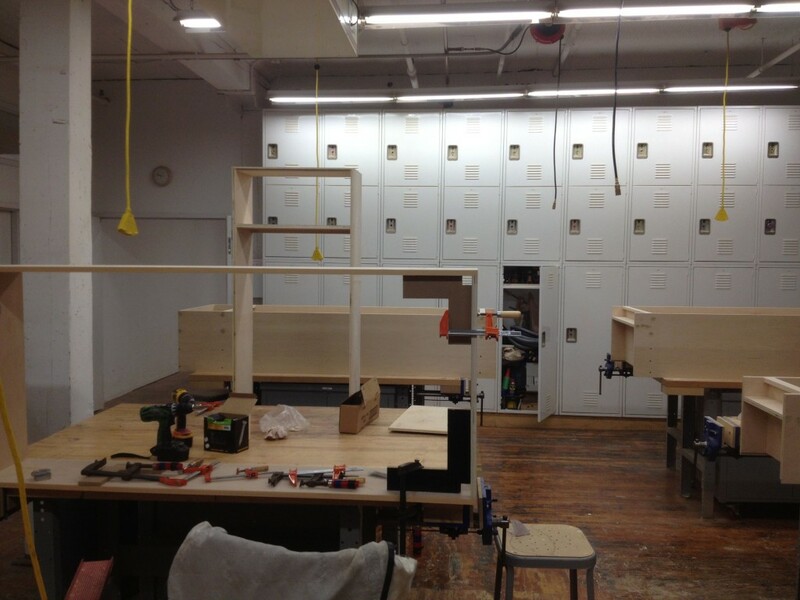 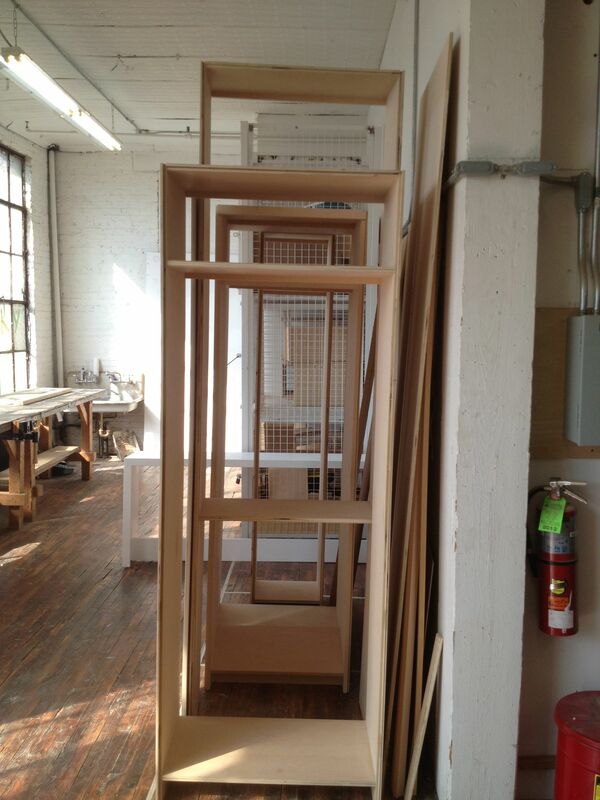 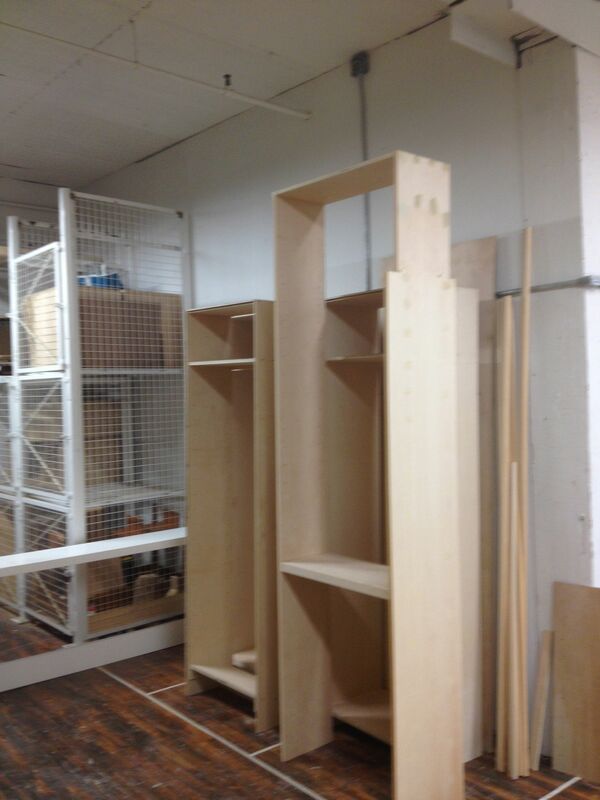 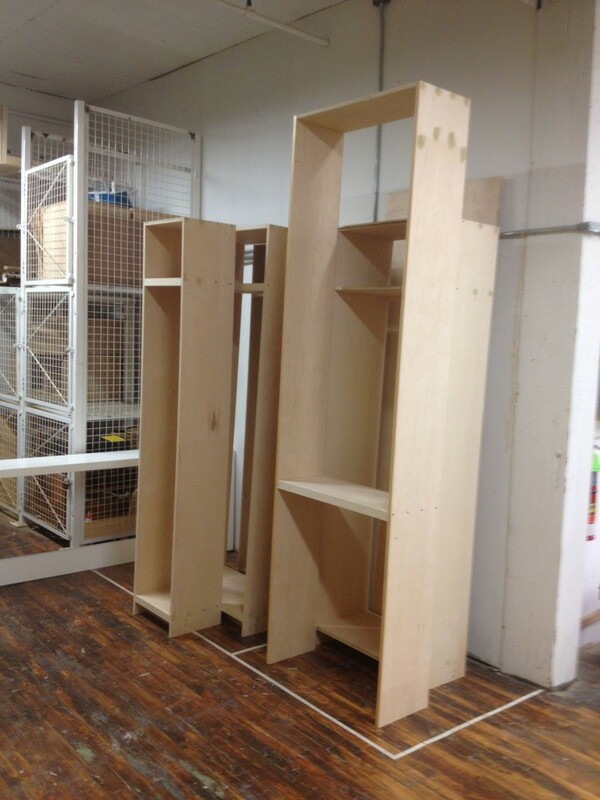 The gallery below follow the build of the shelves and how they fit on the unfinished stands. 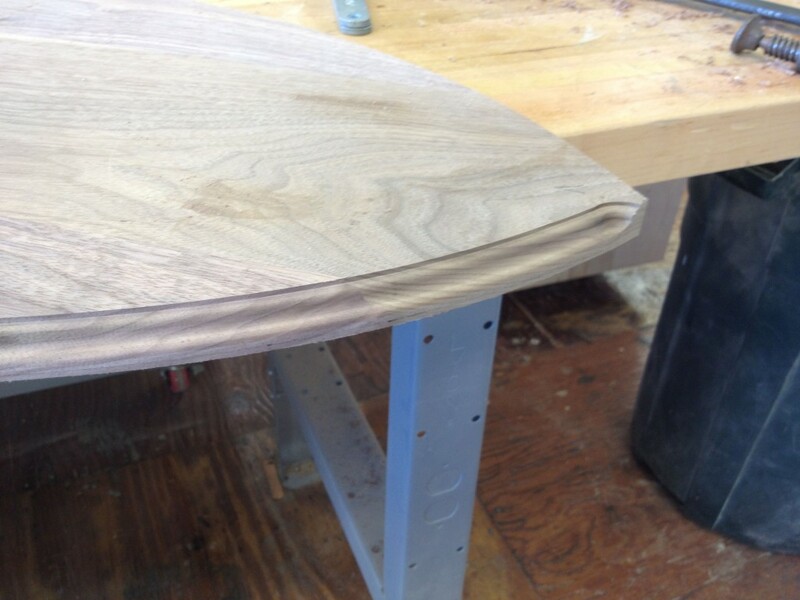 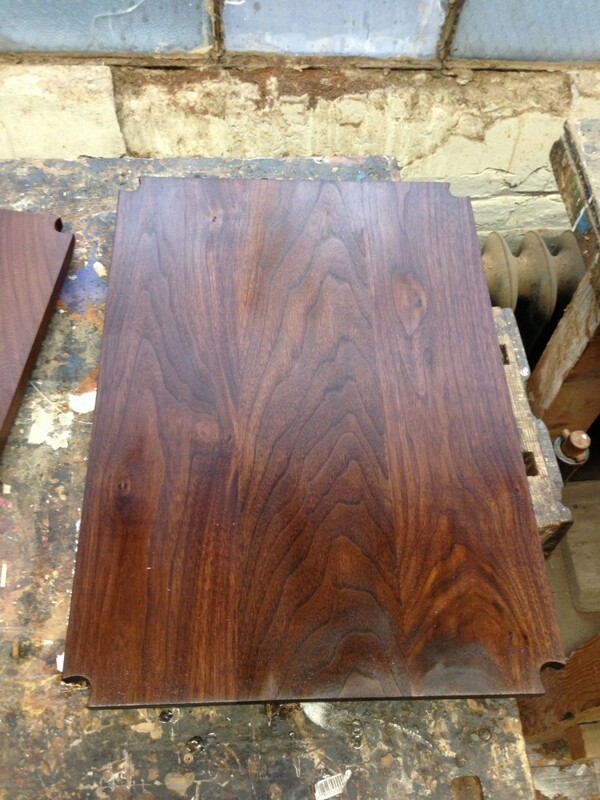 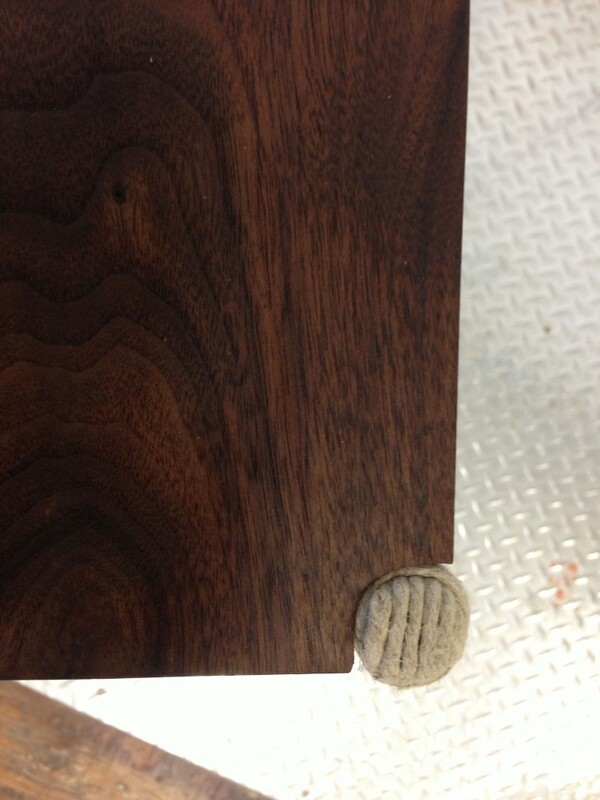 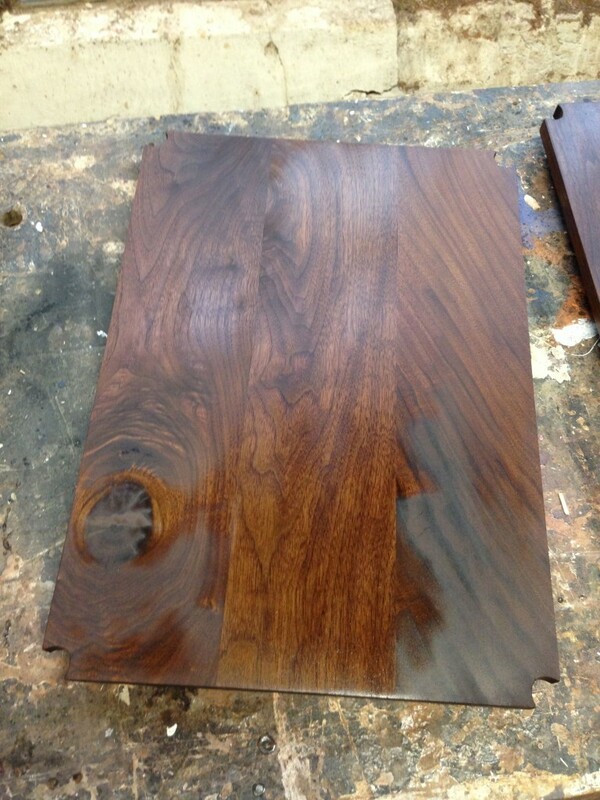 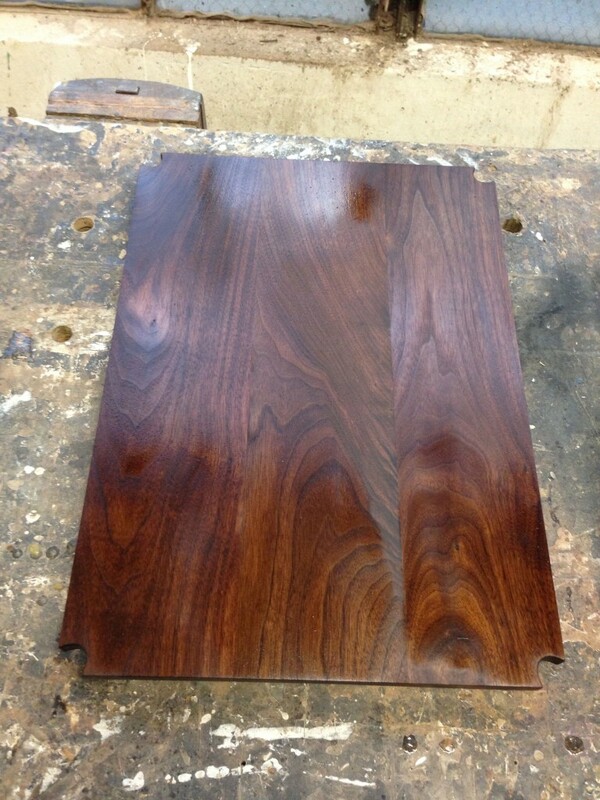 The last few pictures show the finish, a rich medium walnut danish oil. 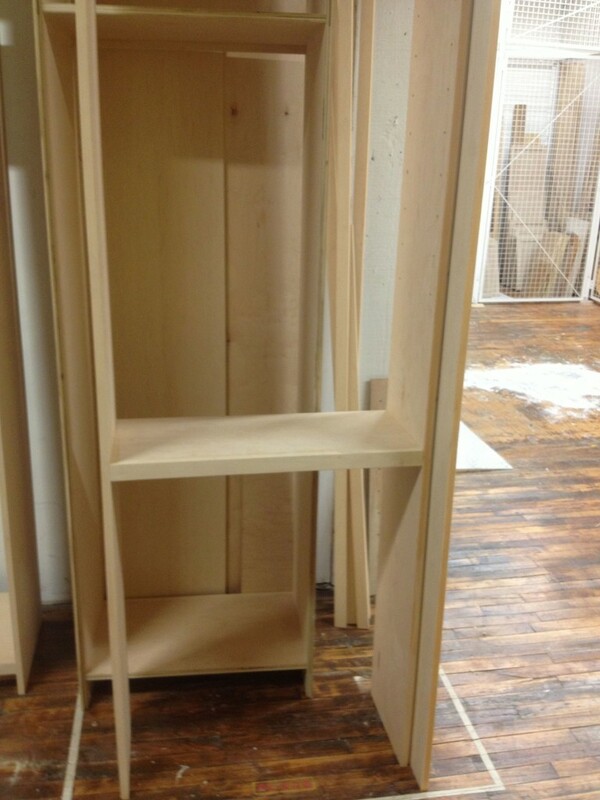 I will post completed pictures when James has finished the project. 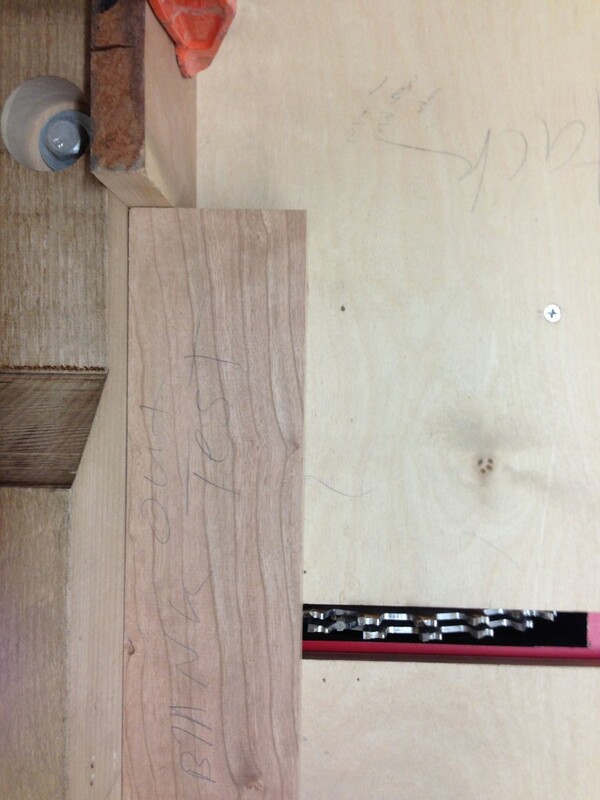 This entry was posted in Recent Work on January 17, 2013 by Matthew Mullen. 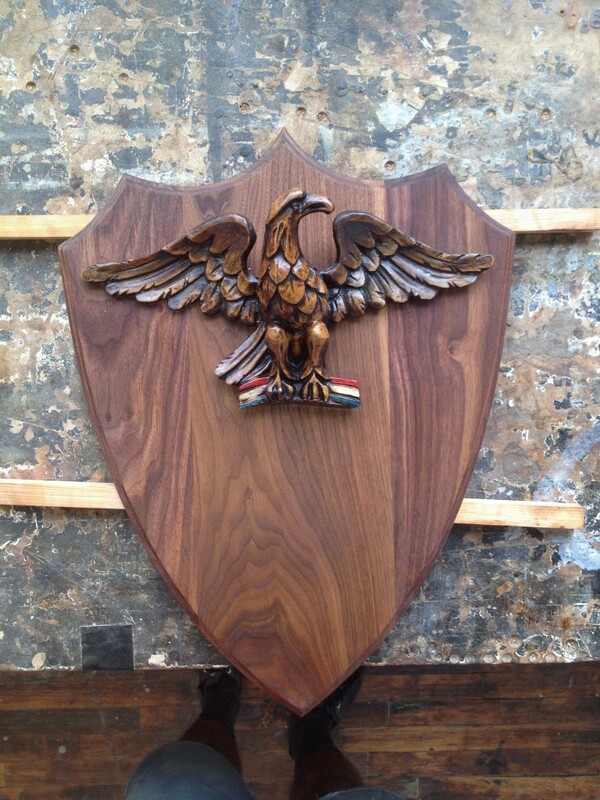 I recently completed a very sentimental project for a client. 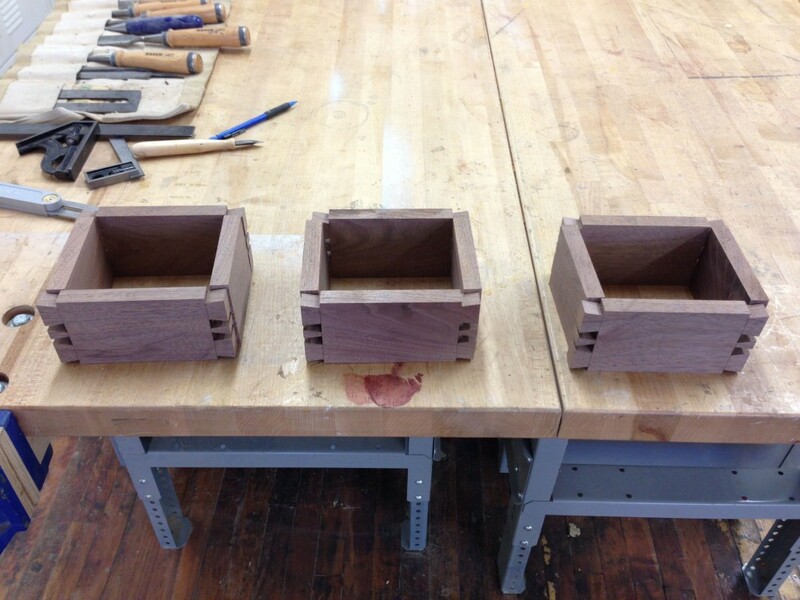 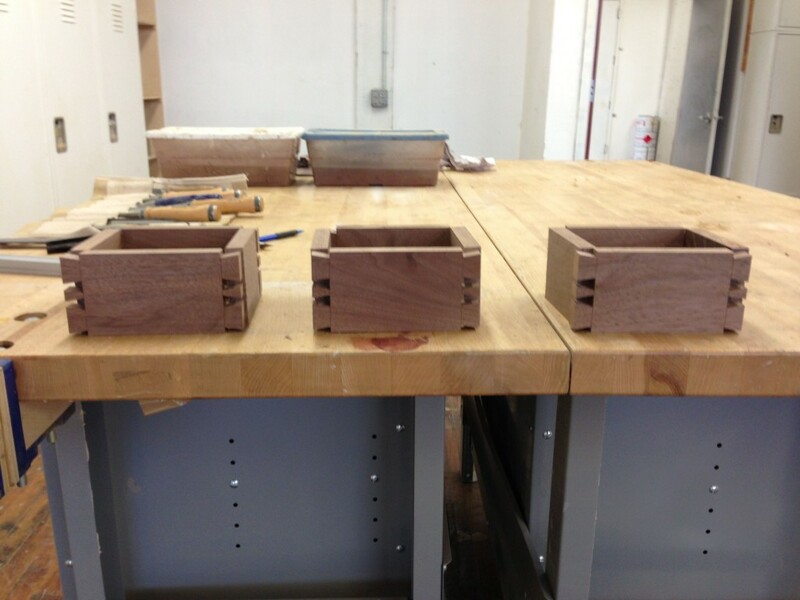 These four, small companion boxes will act as urns. 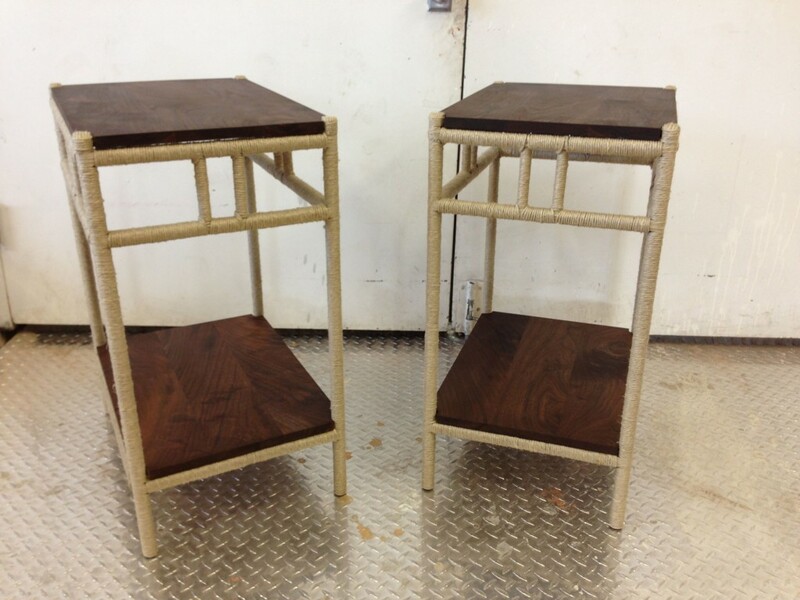 They are made from an old piece of black cherry I have had in my possession for nearly 5 years. 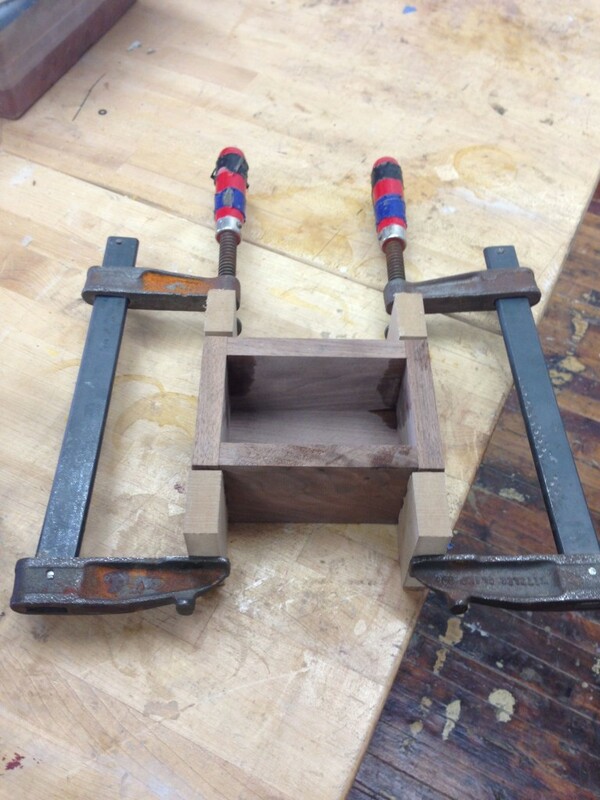 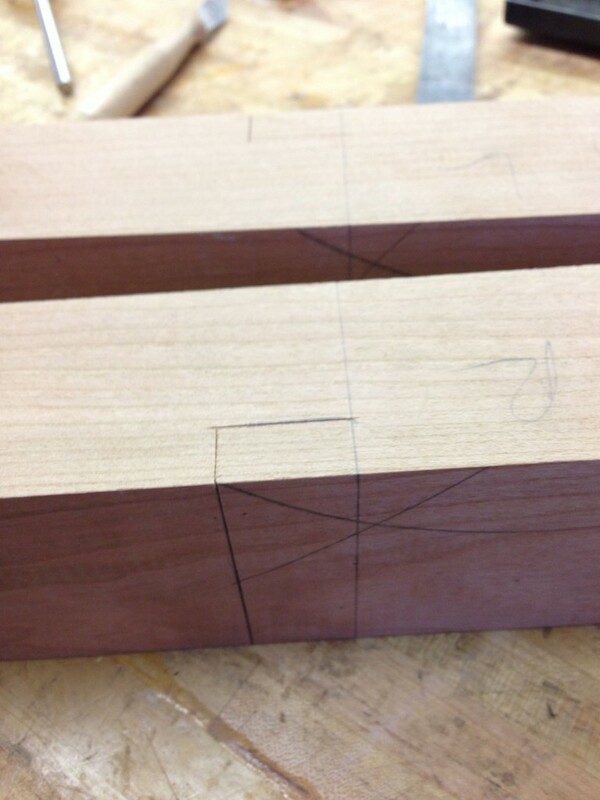 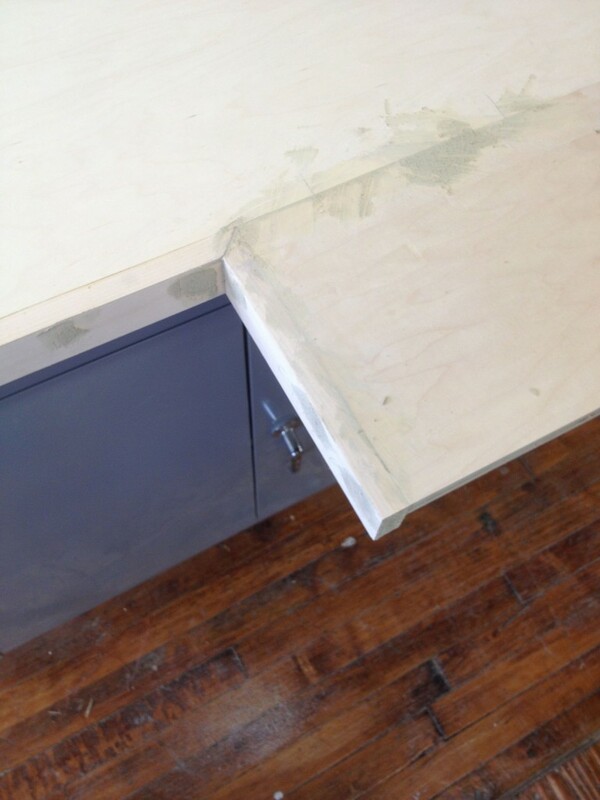 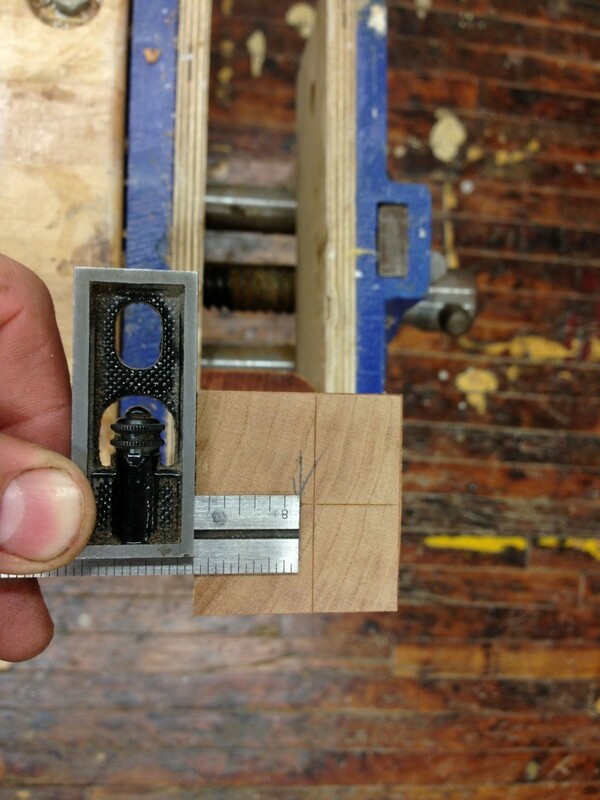 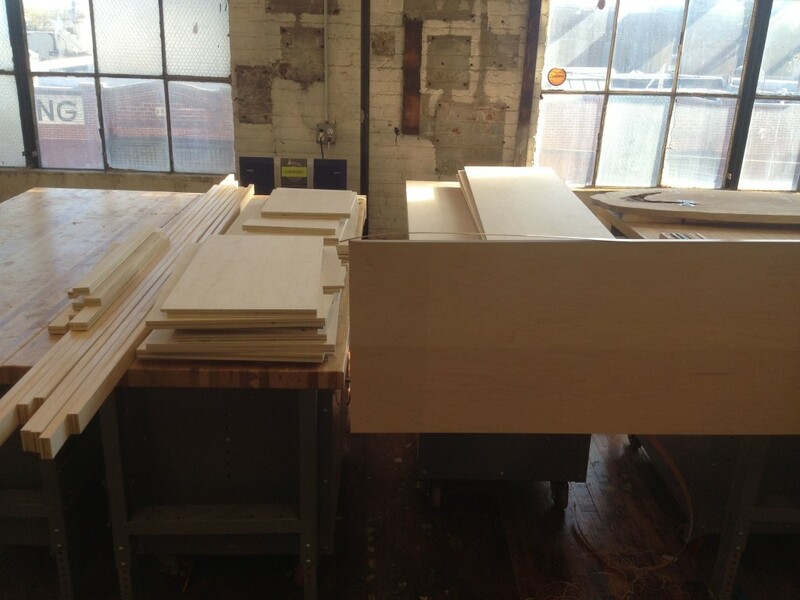 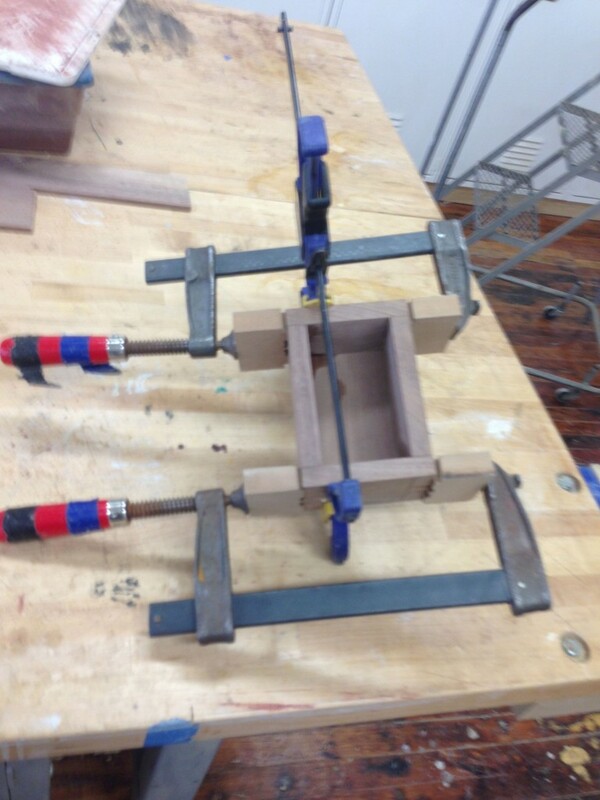 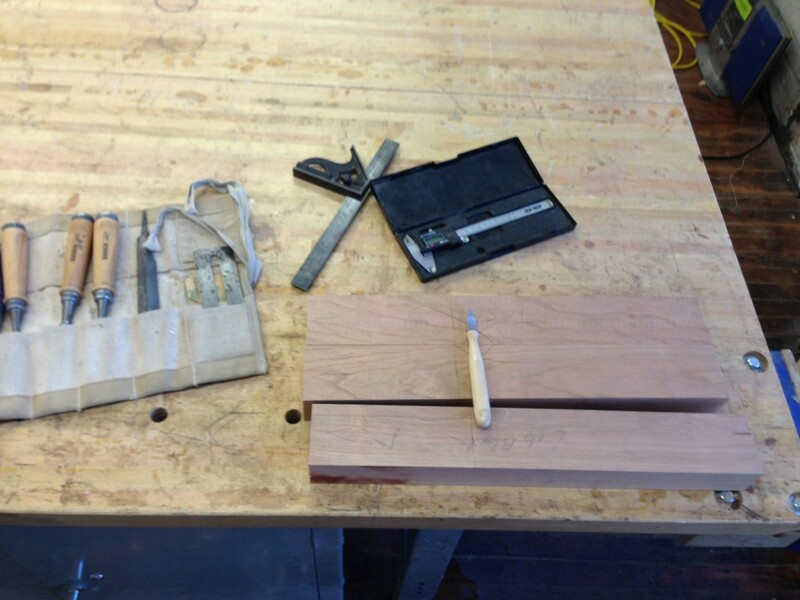 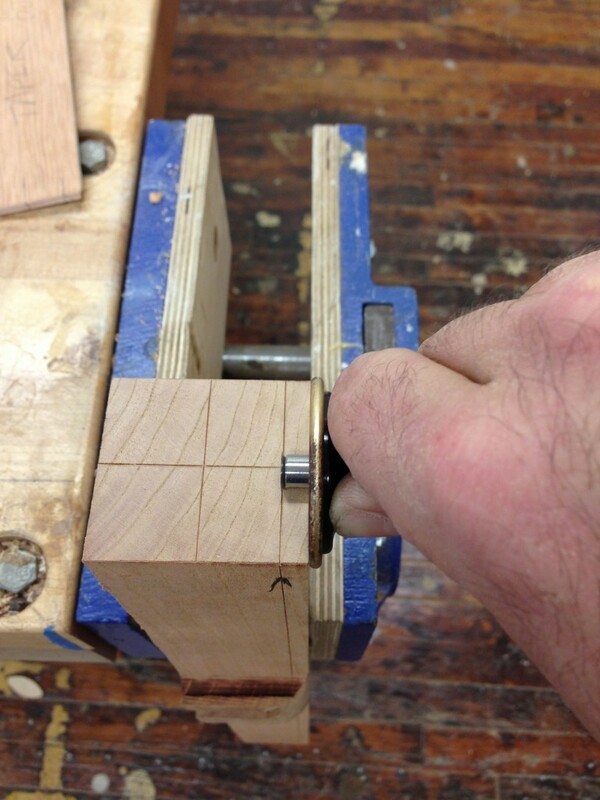 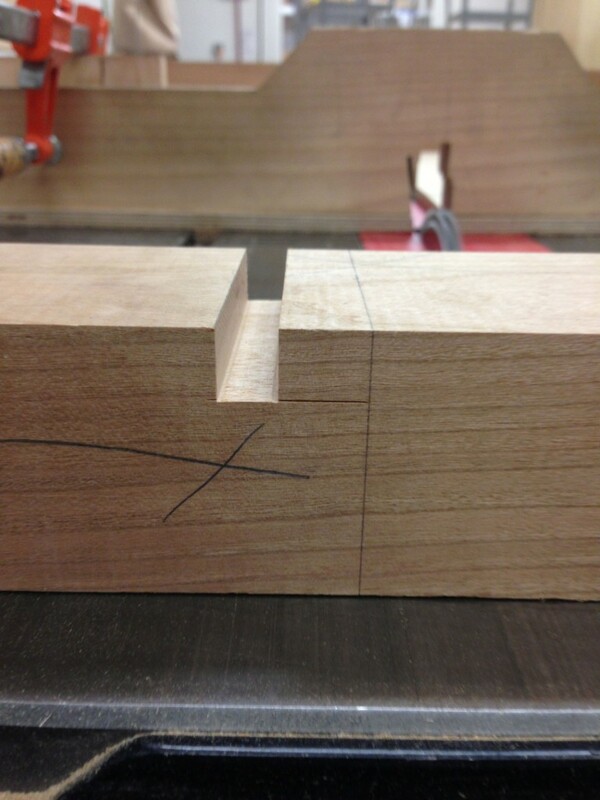 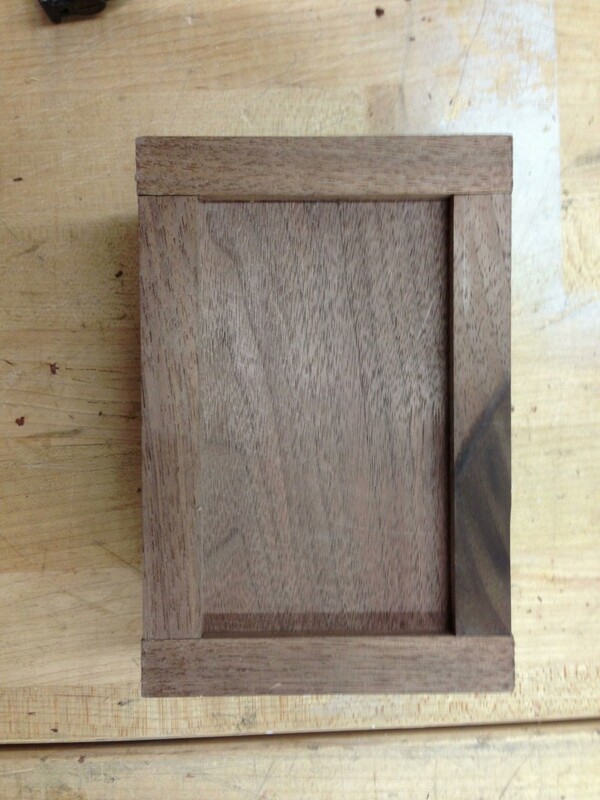 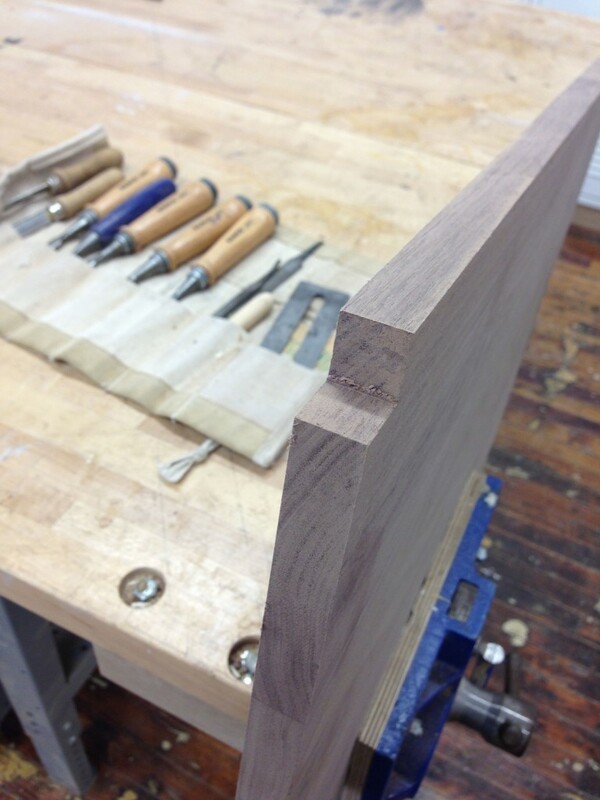 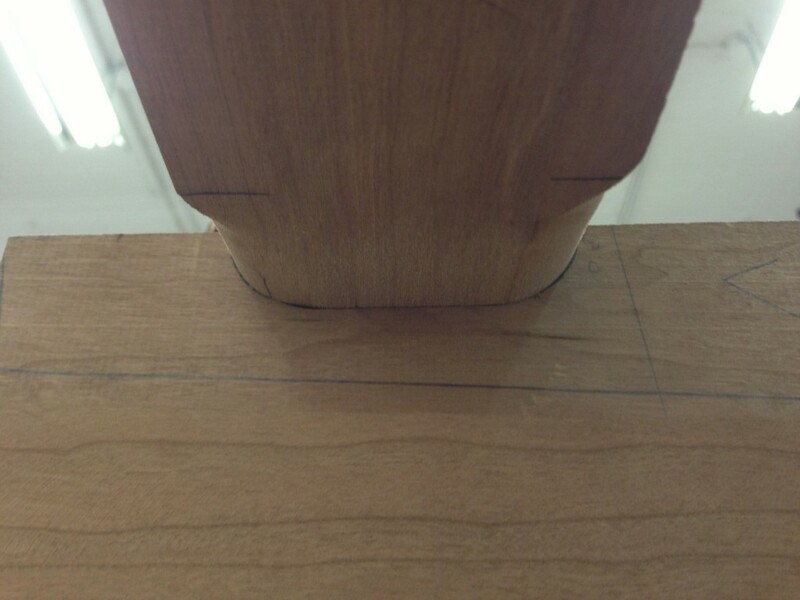 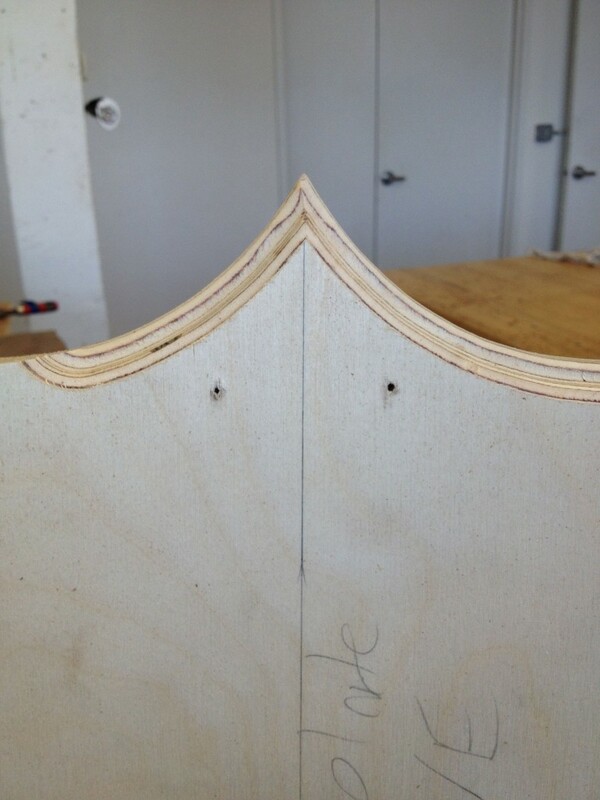 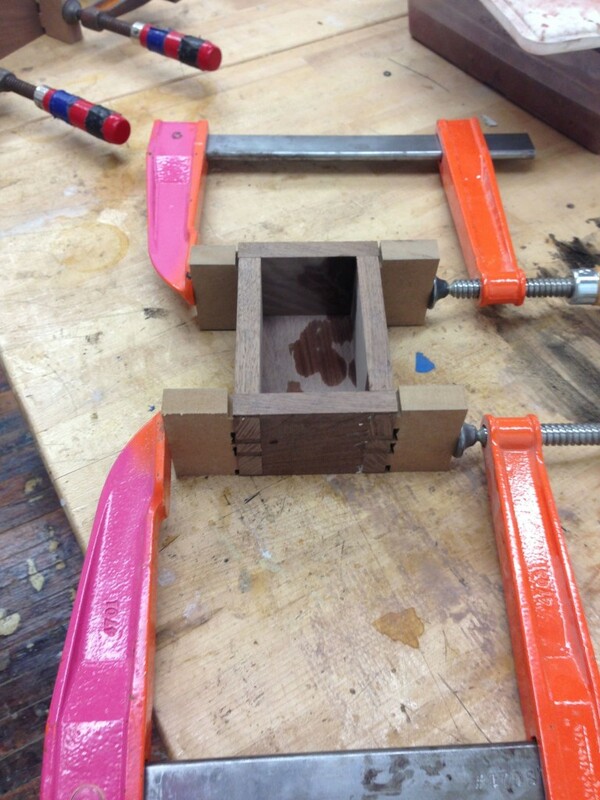 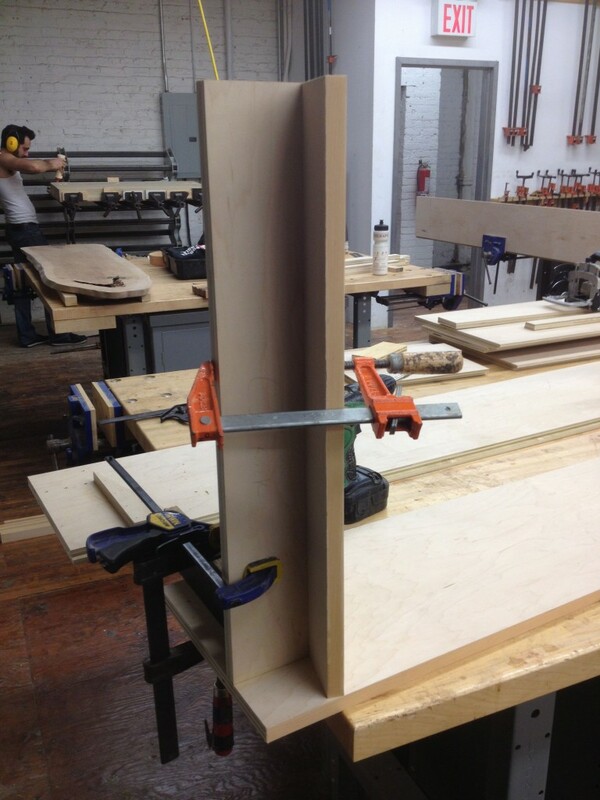 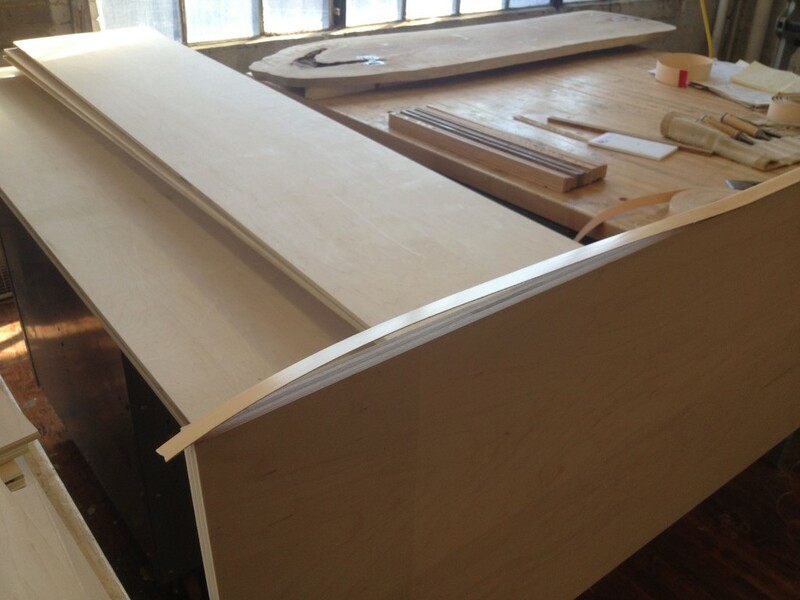 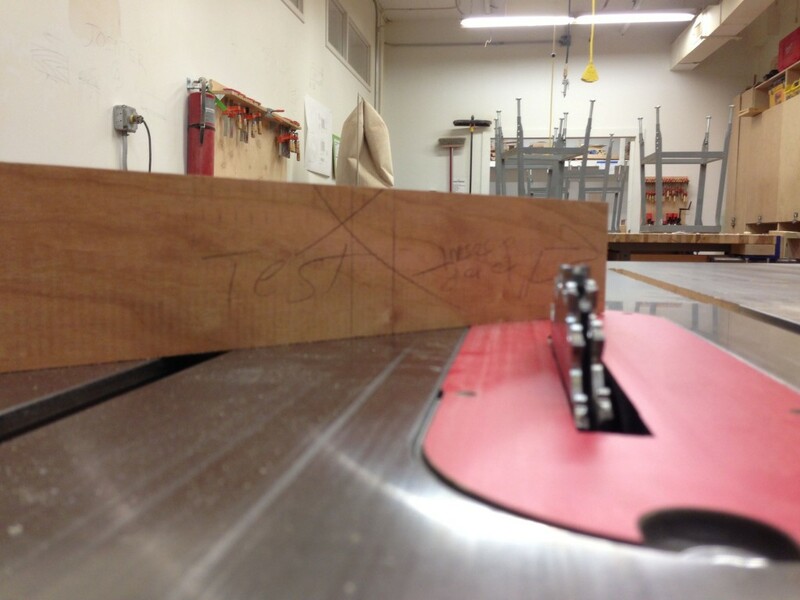 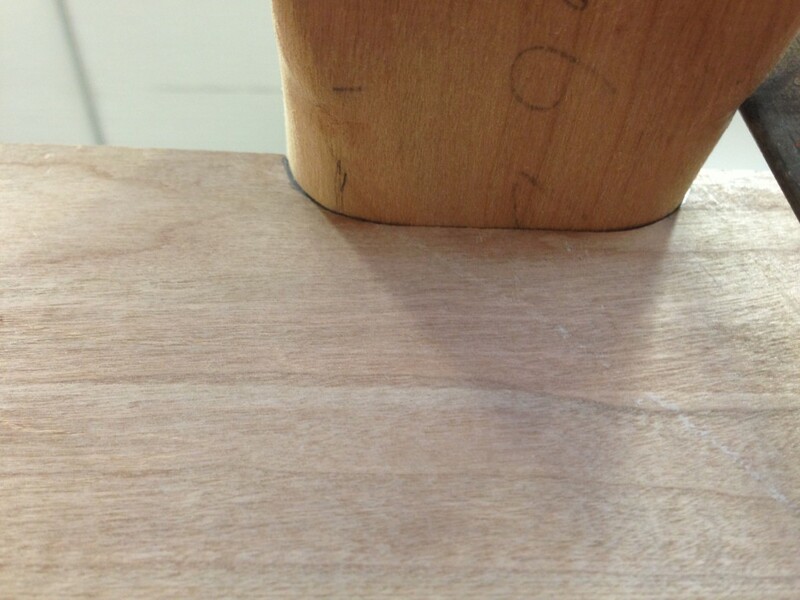 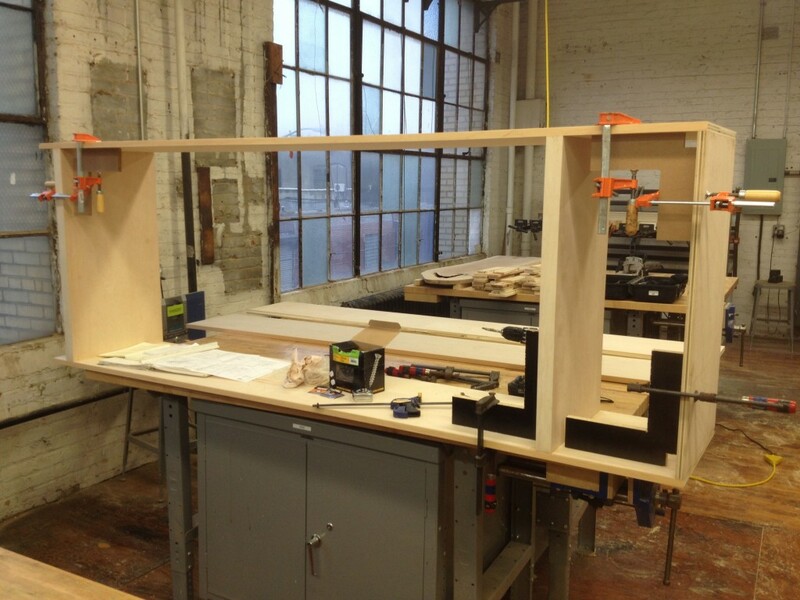 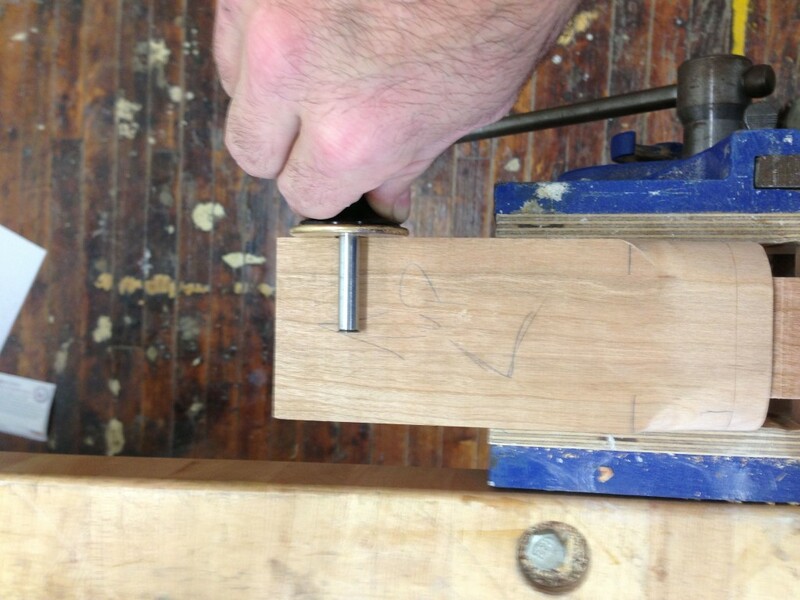 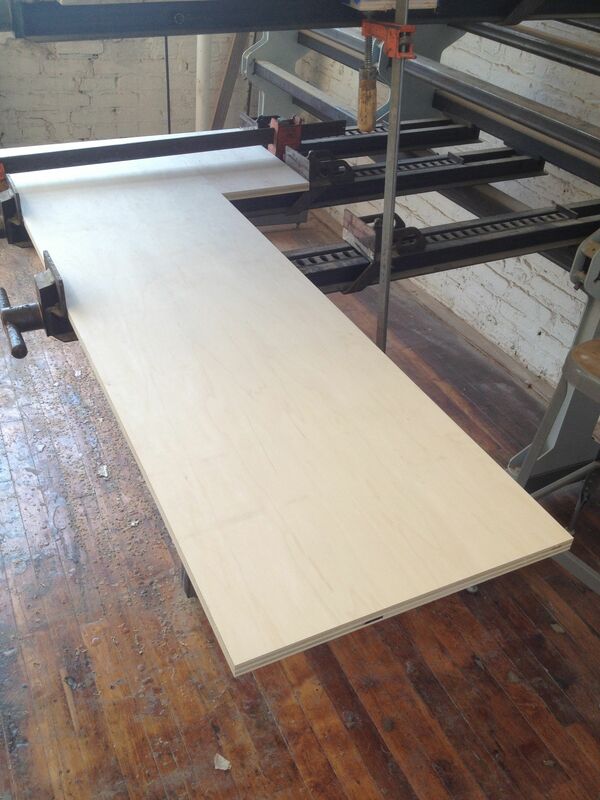 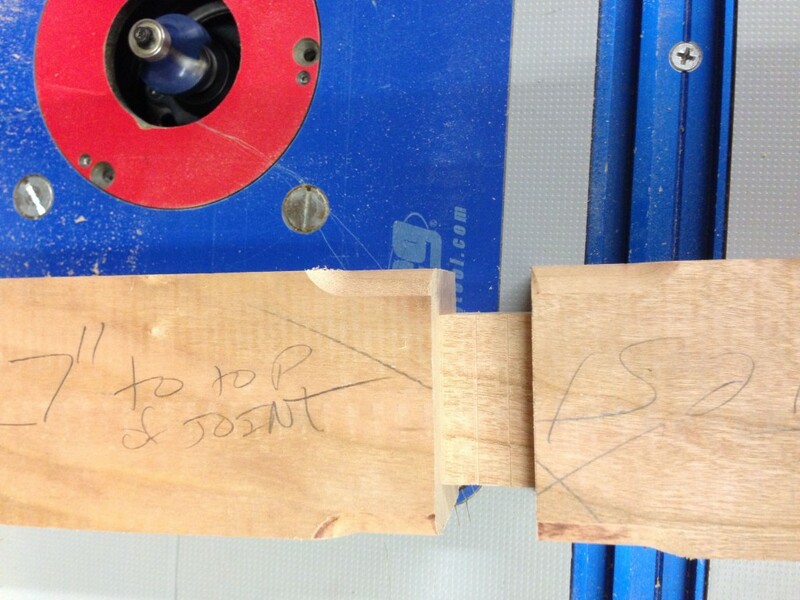 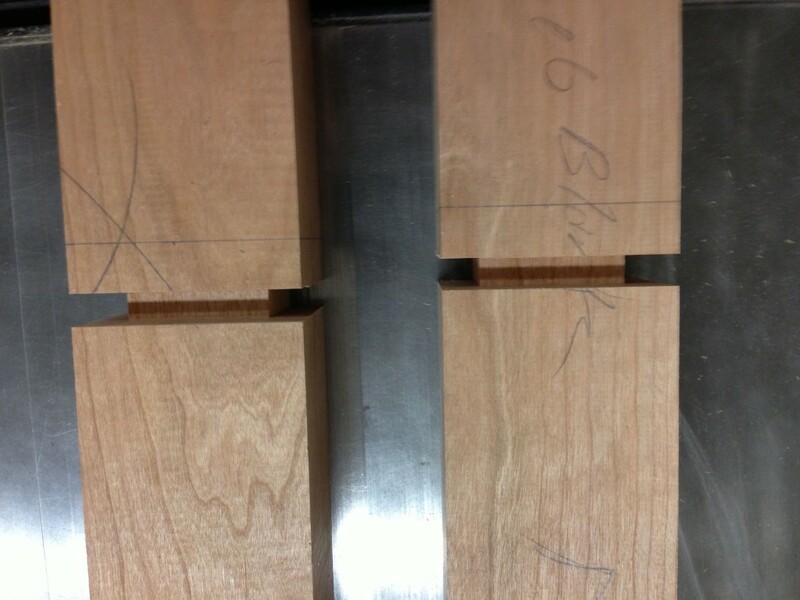 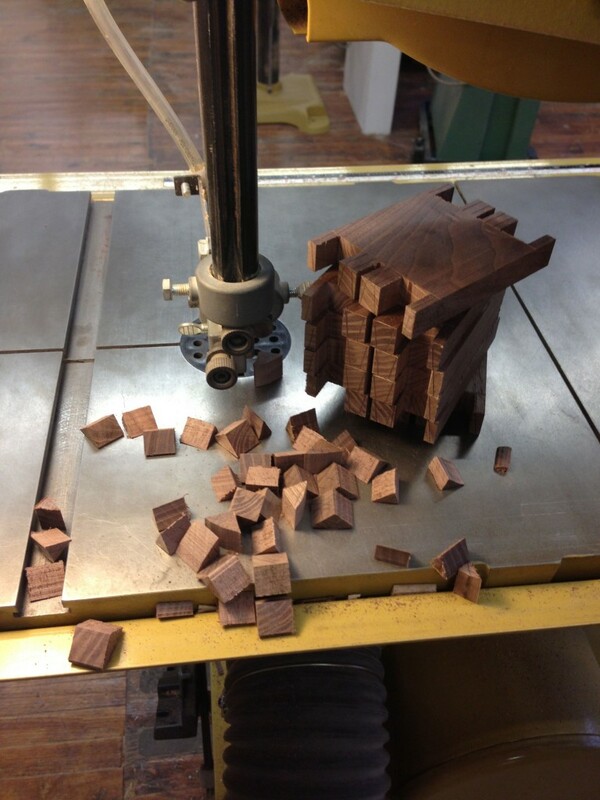 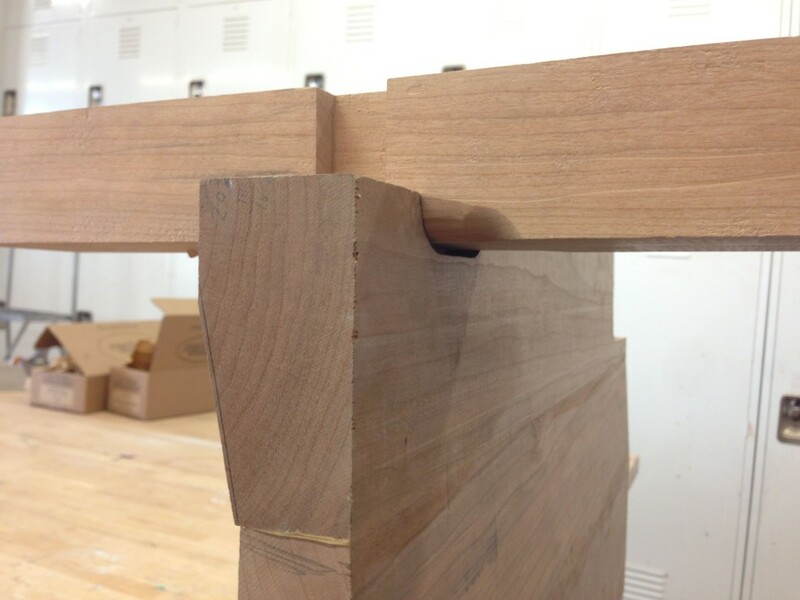 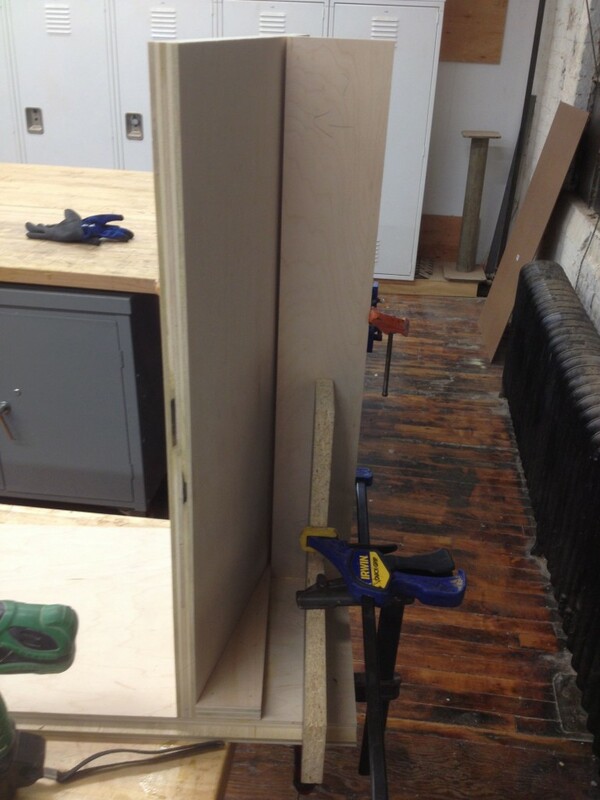 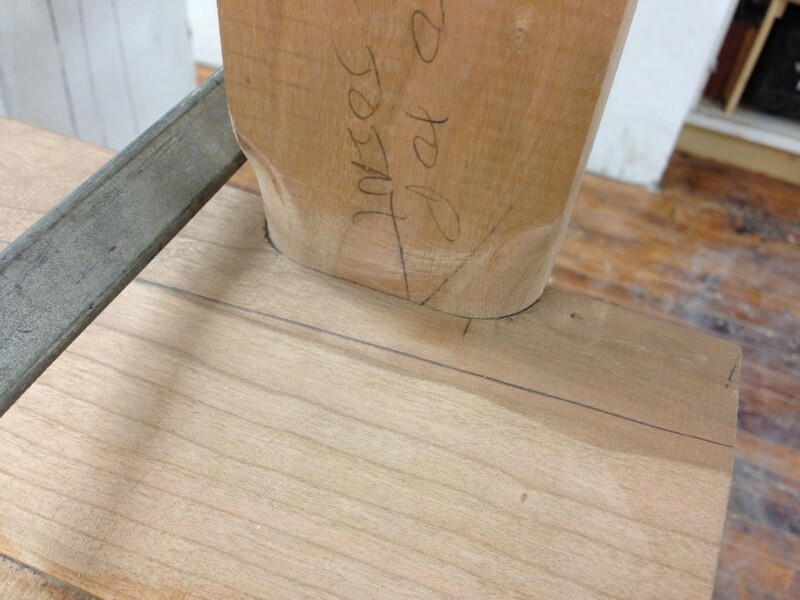 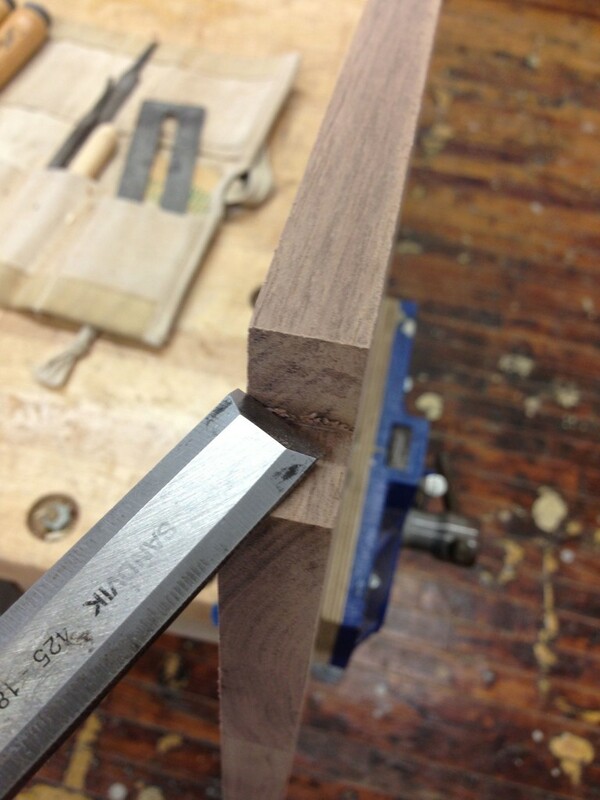 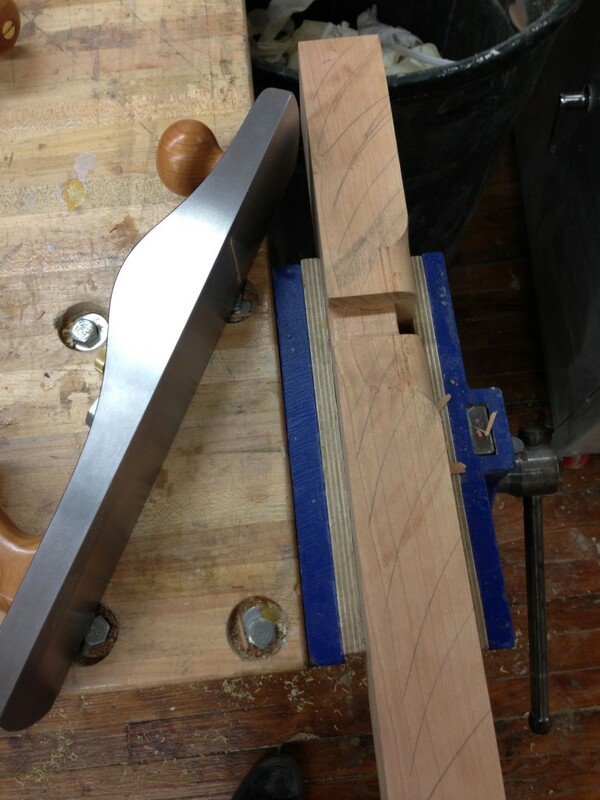 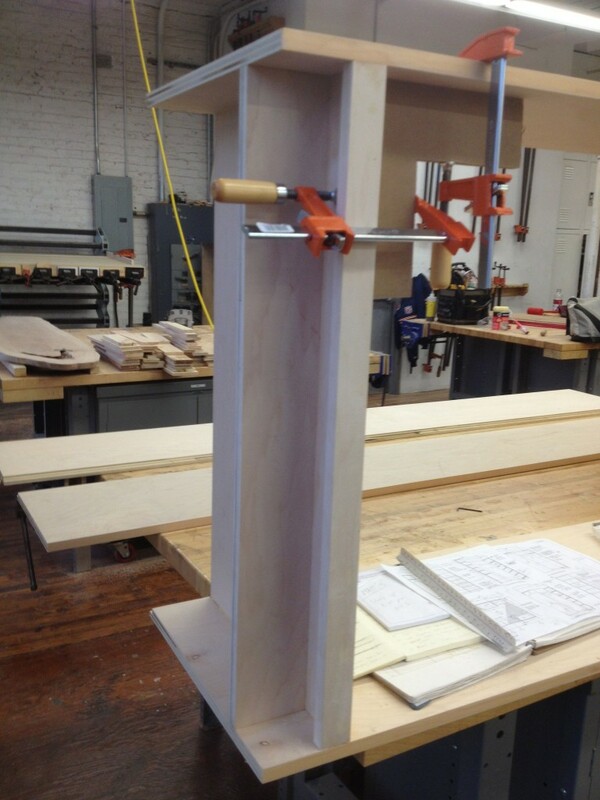 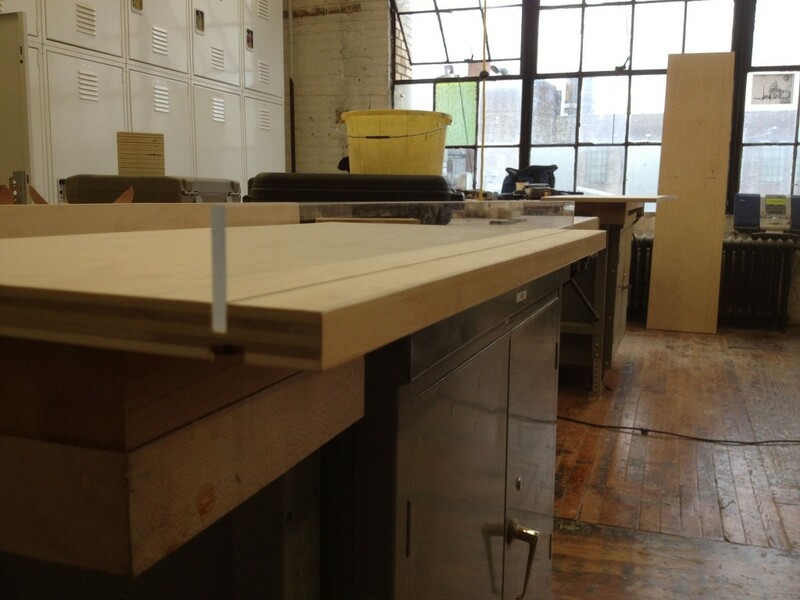 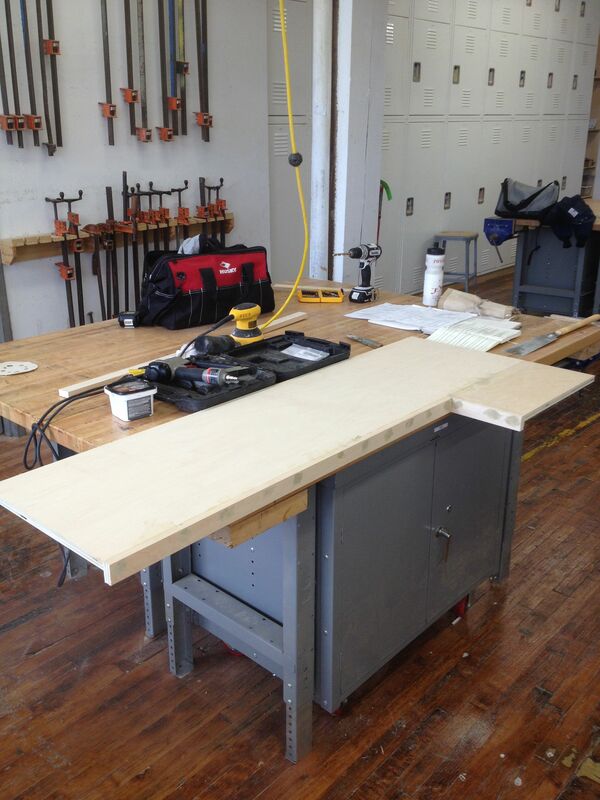 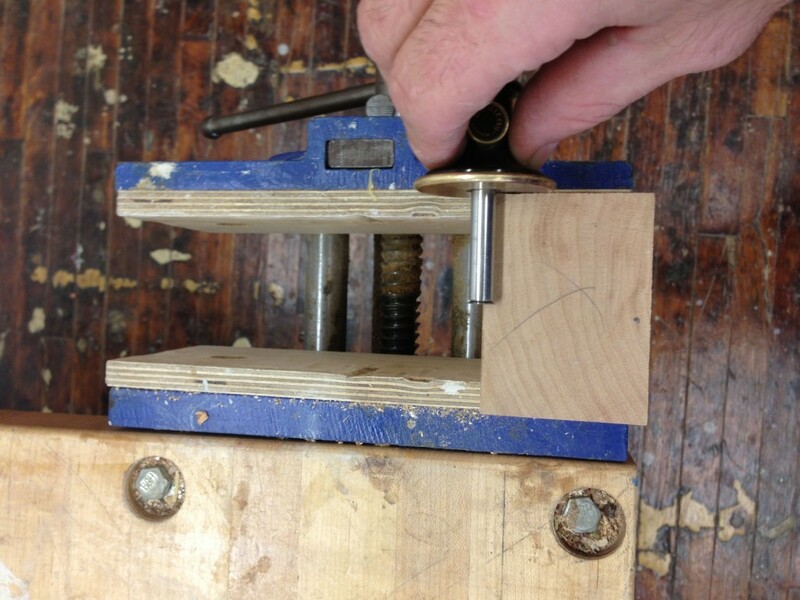 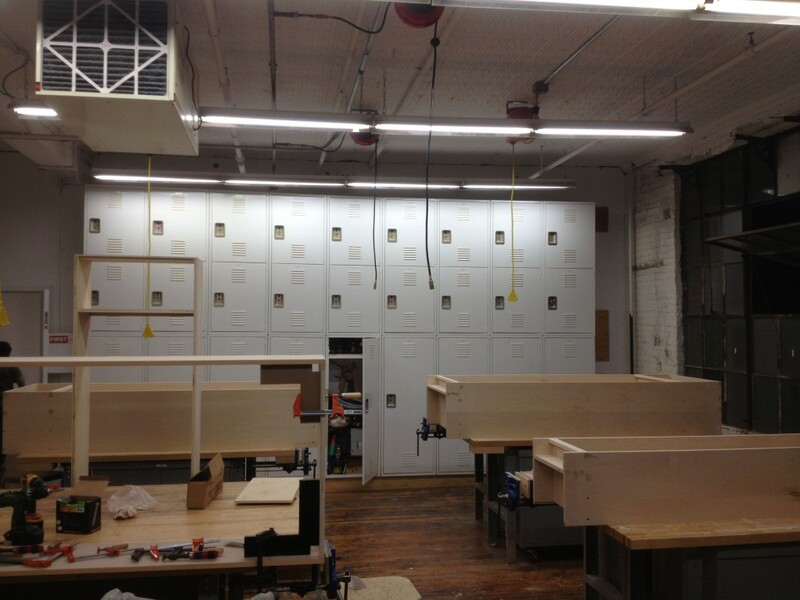 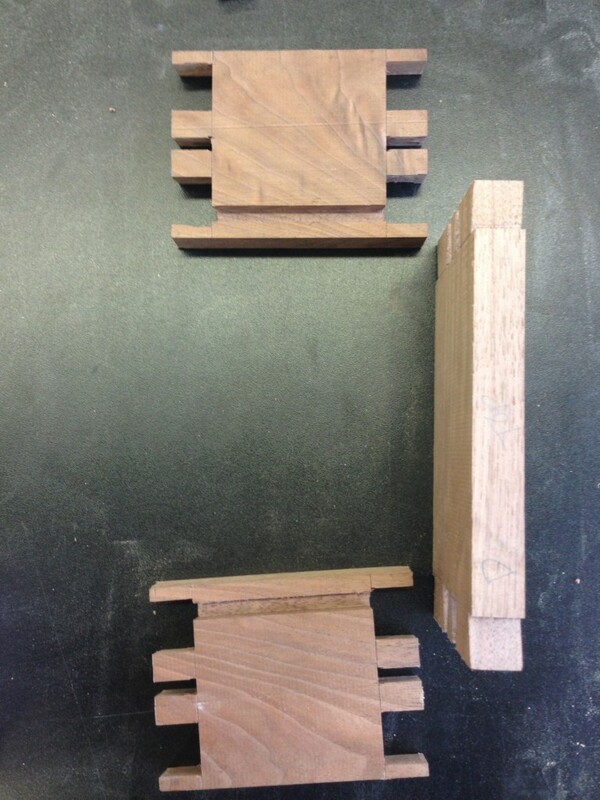 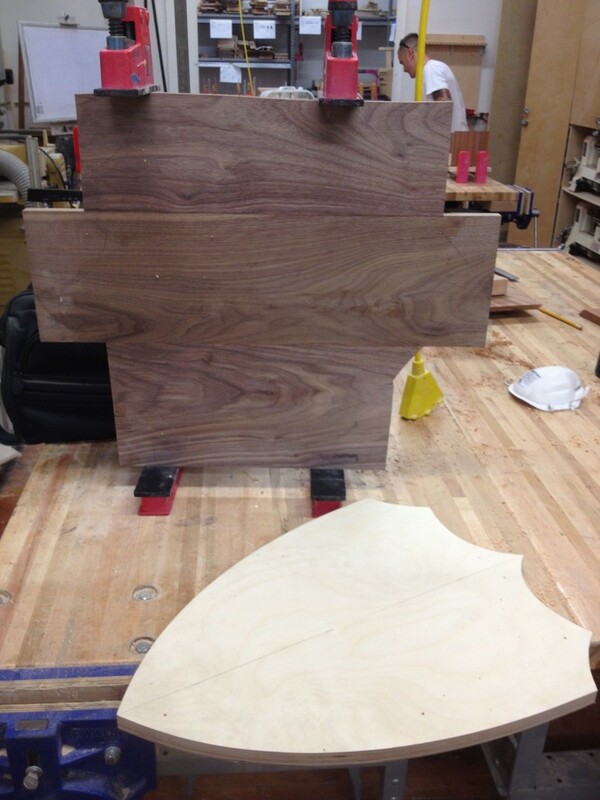 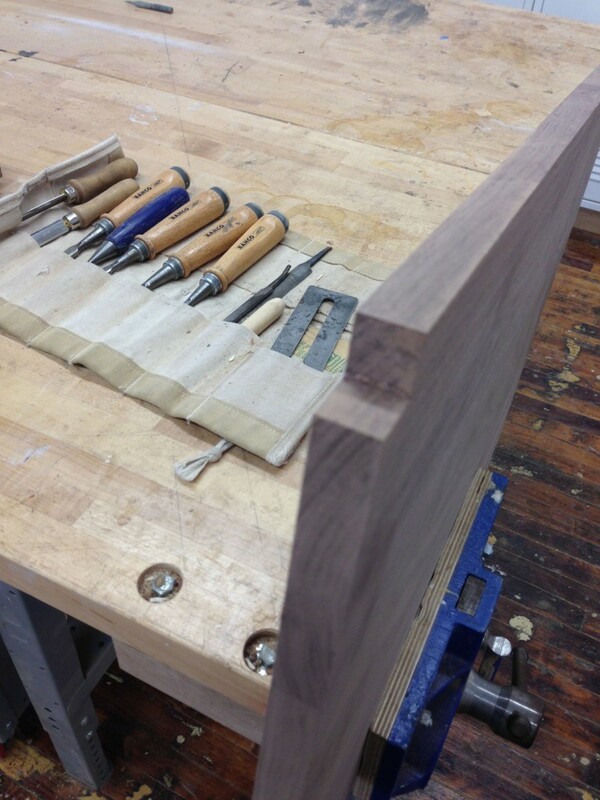 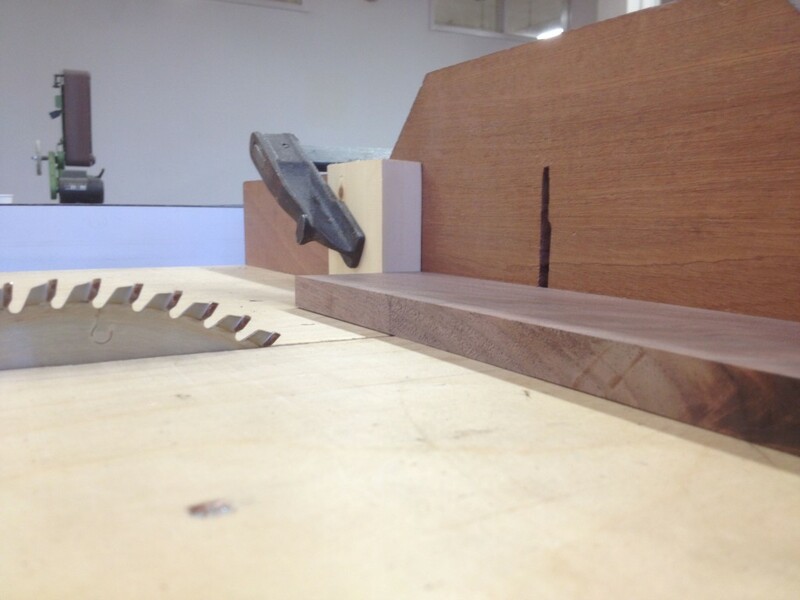 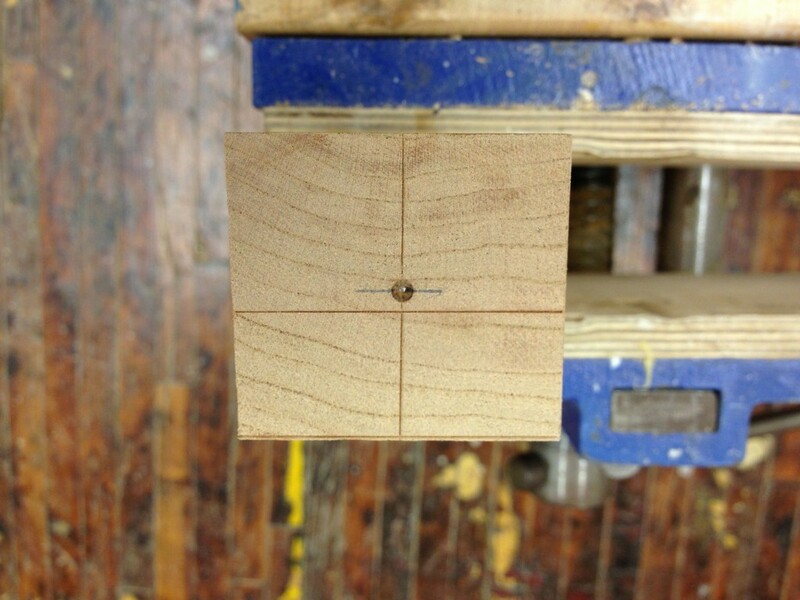 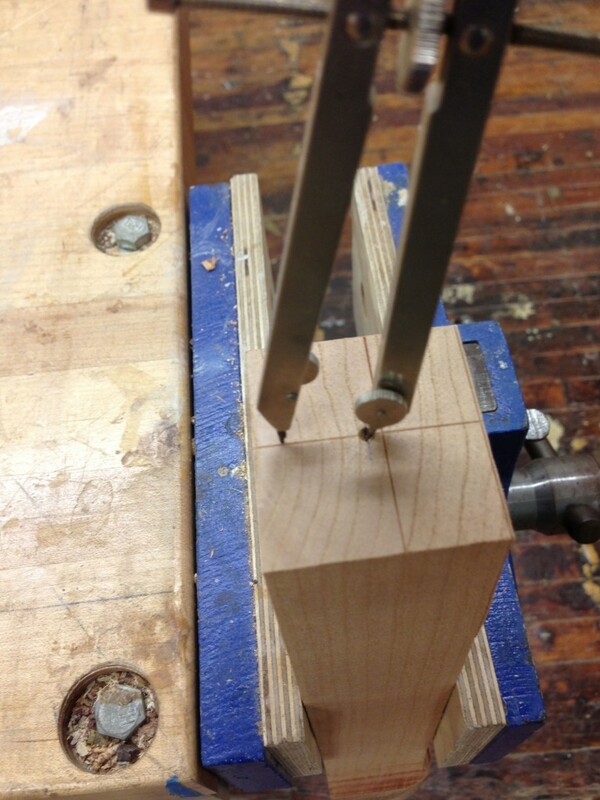 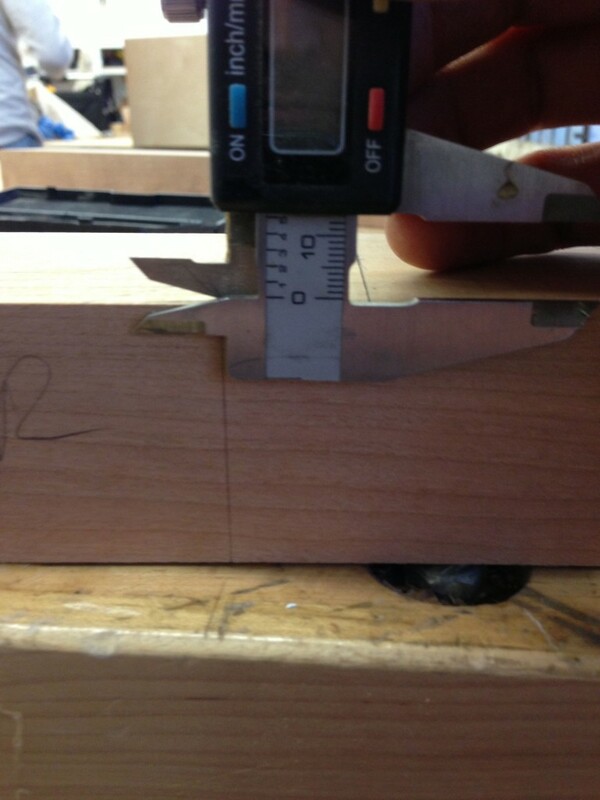 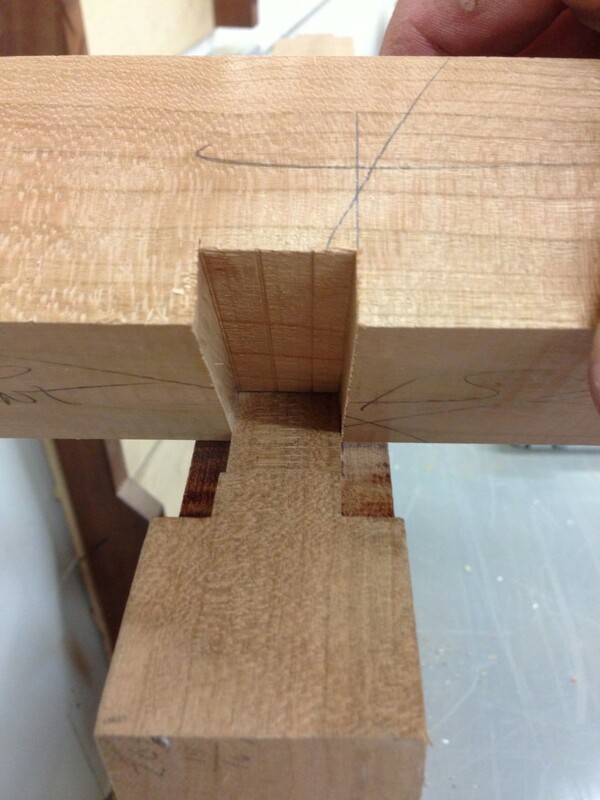 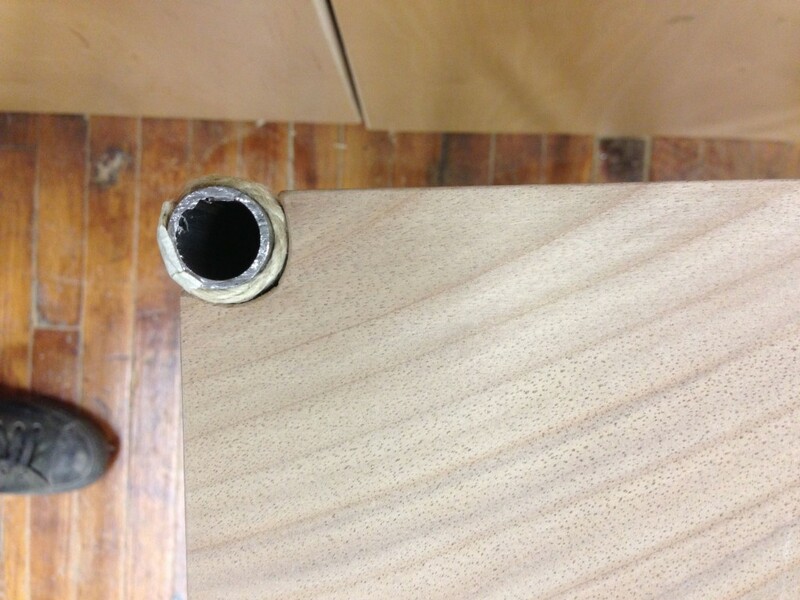 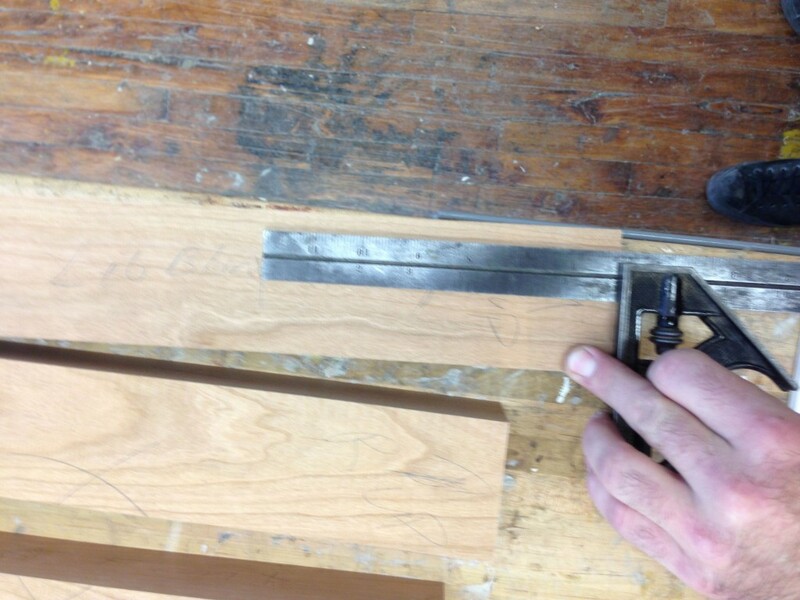 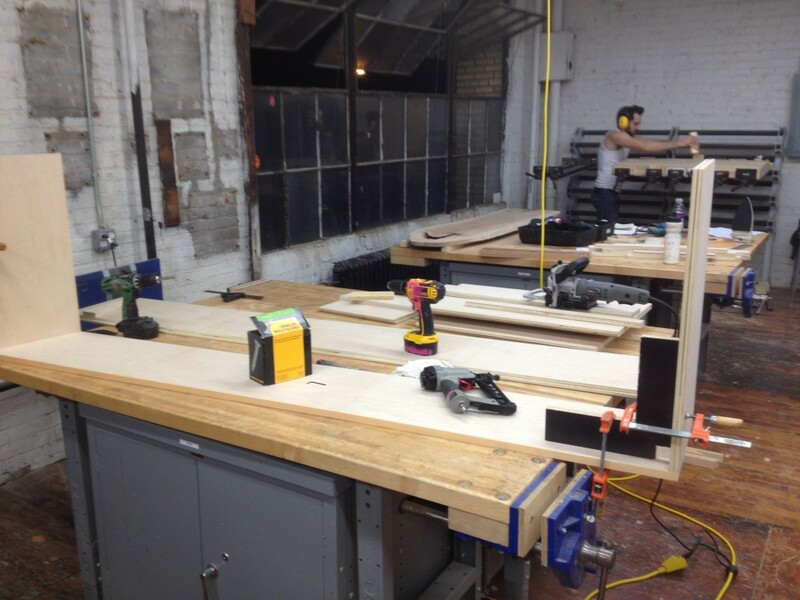 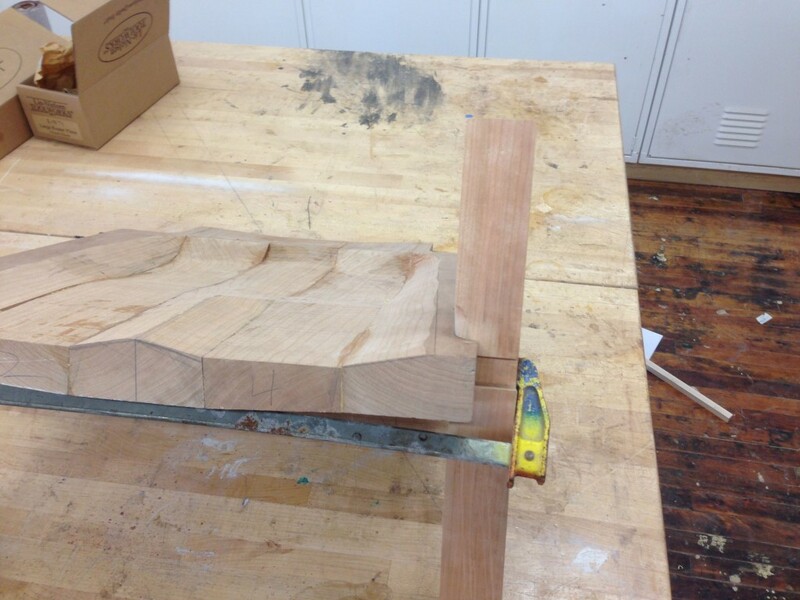 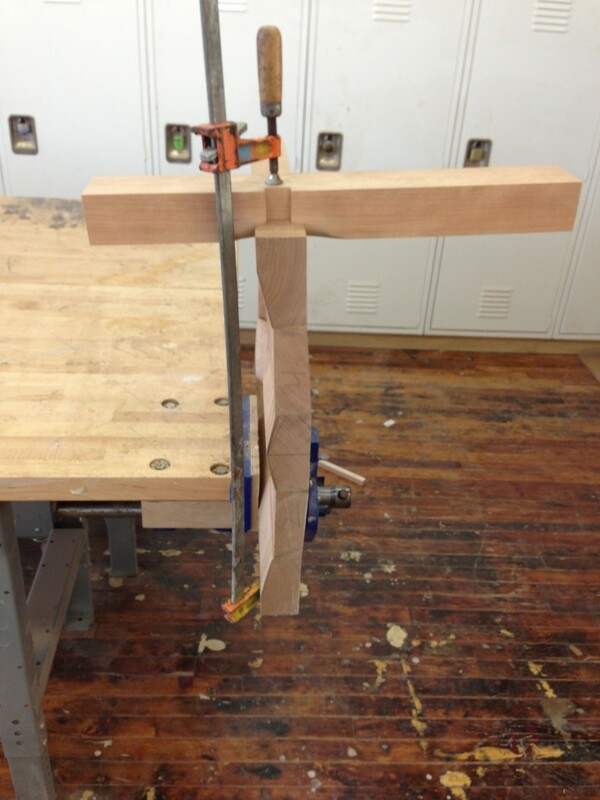 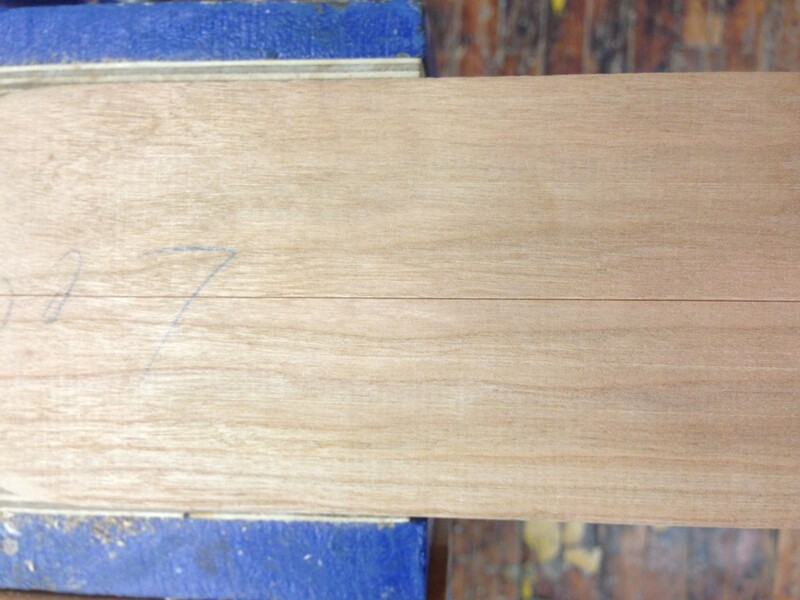 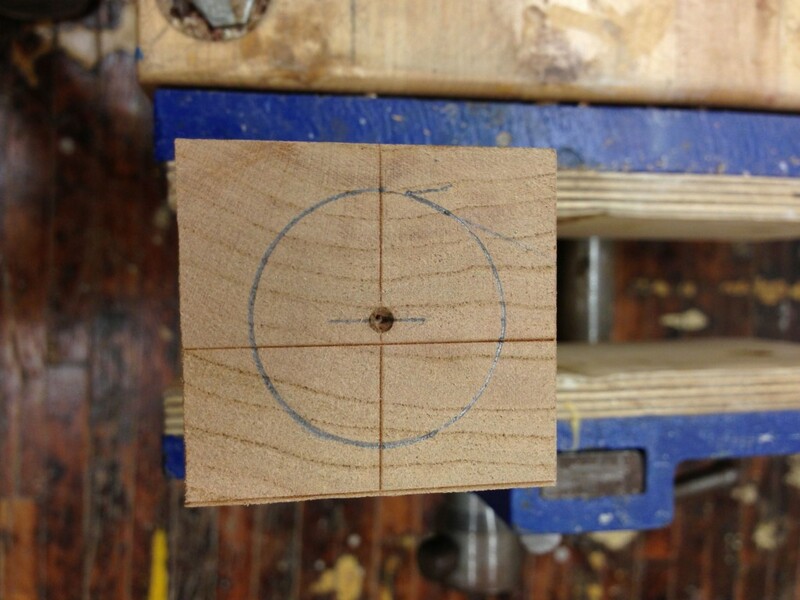 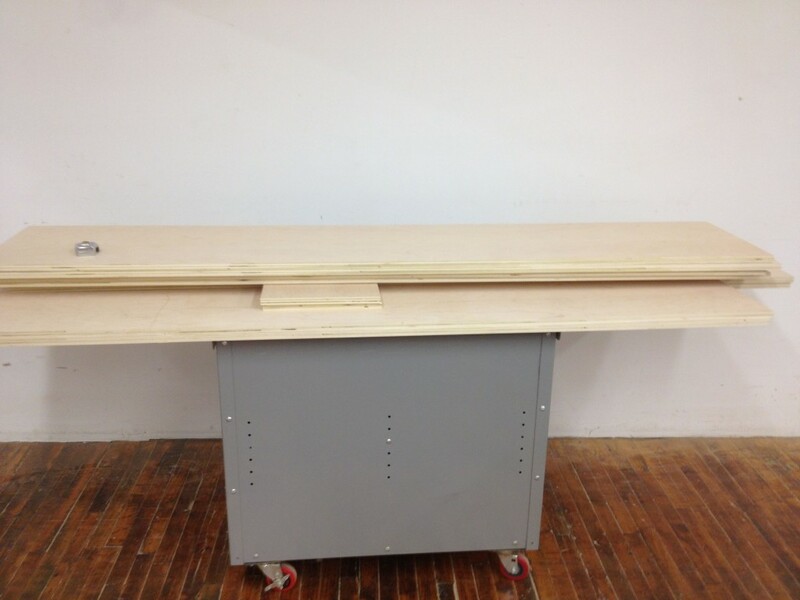 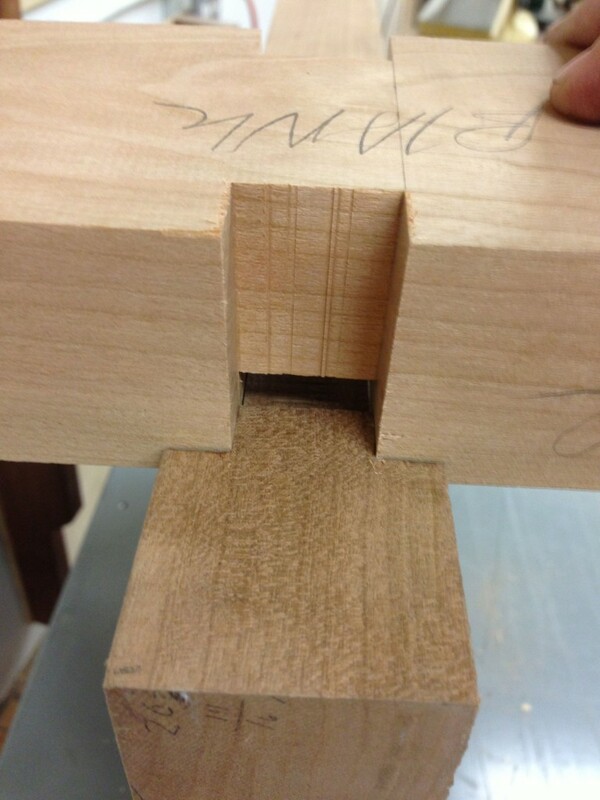 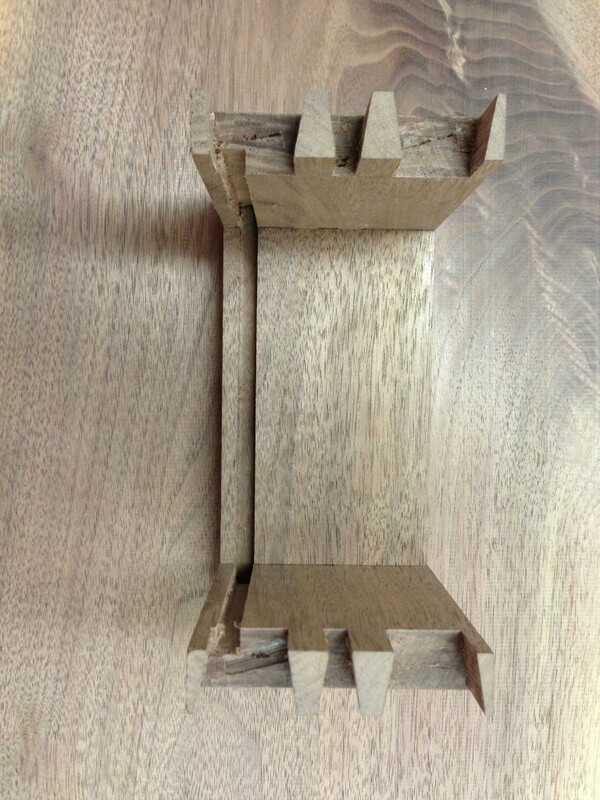 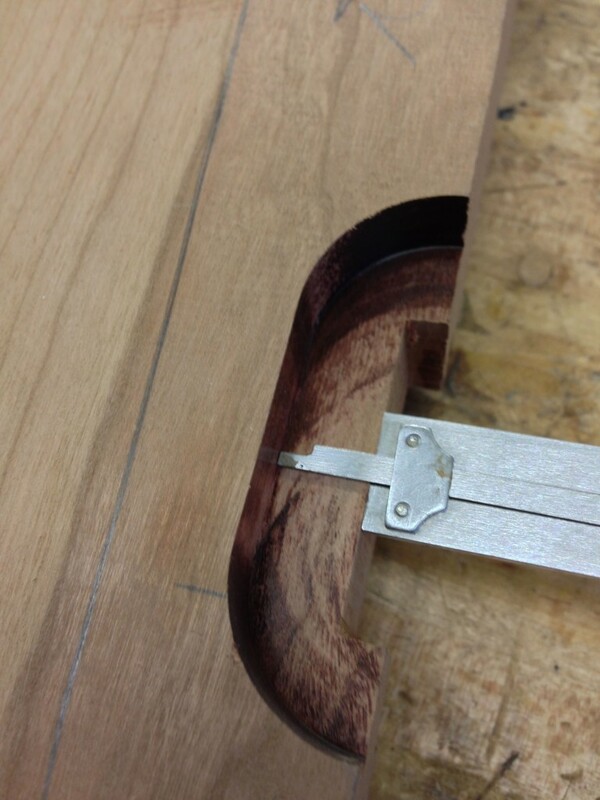 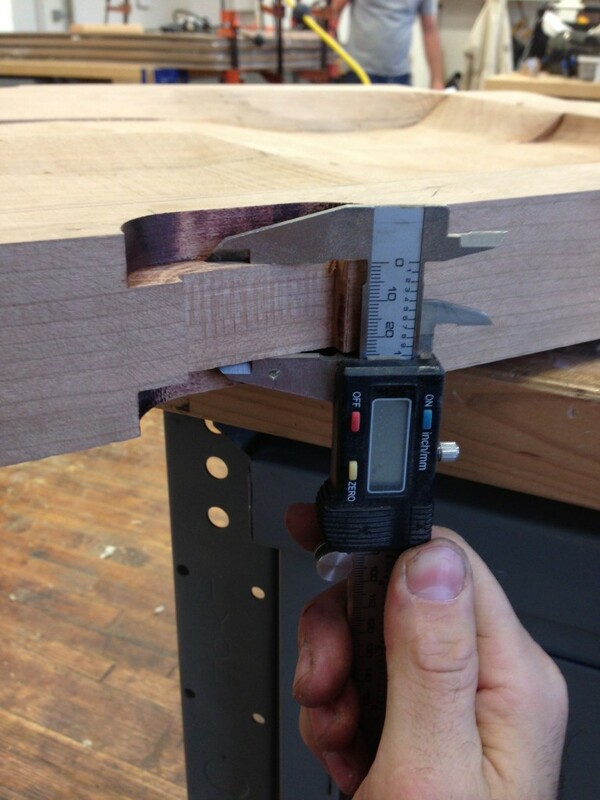 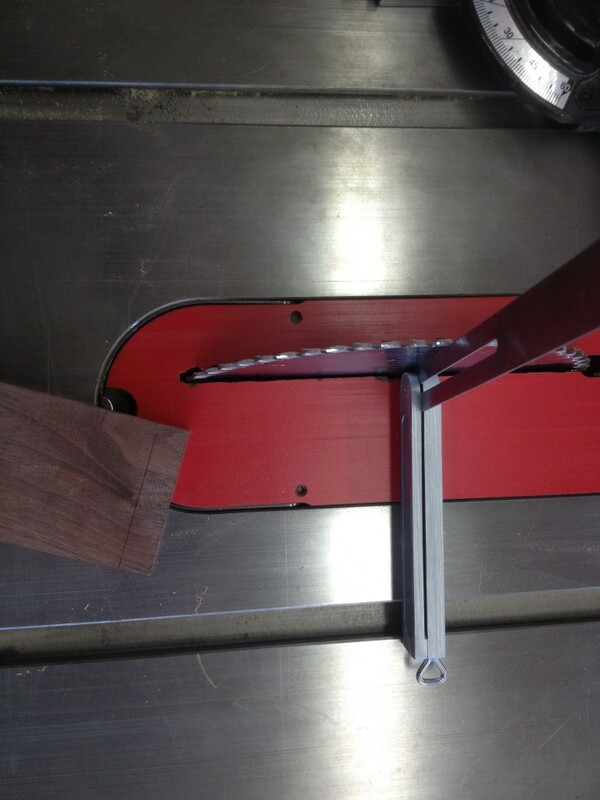 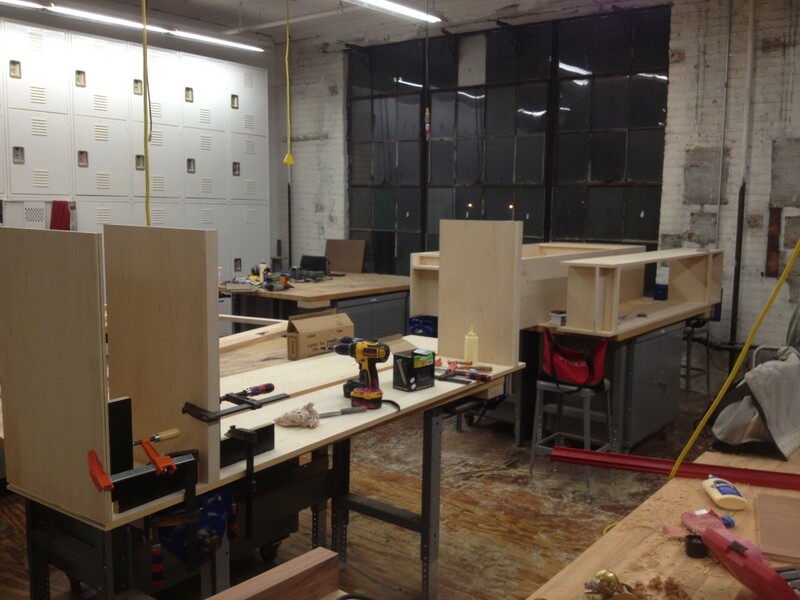 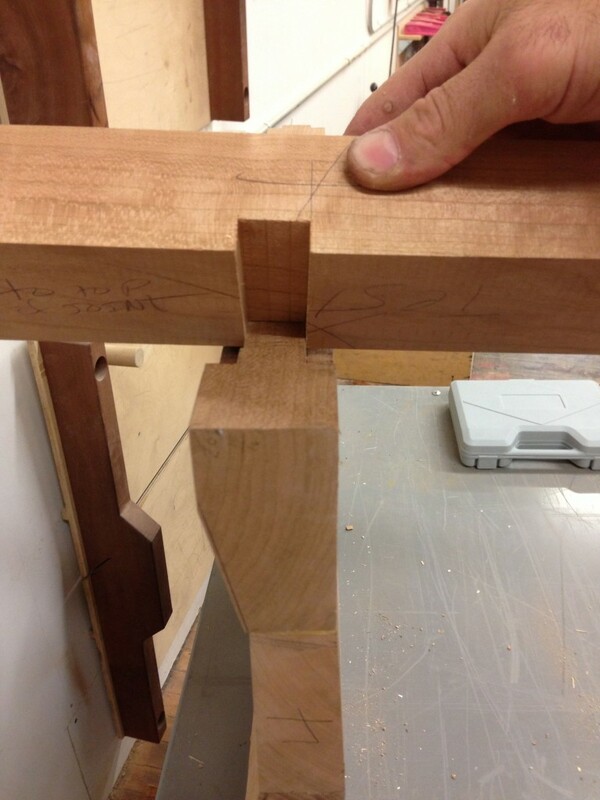 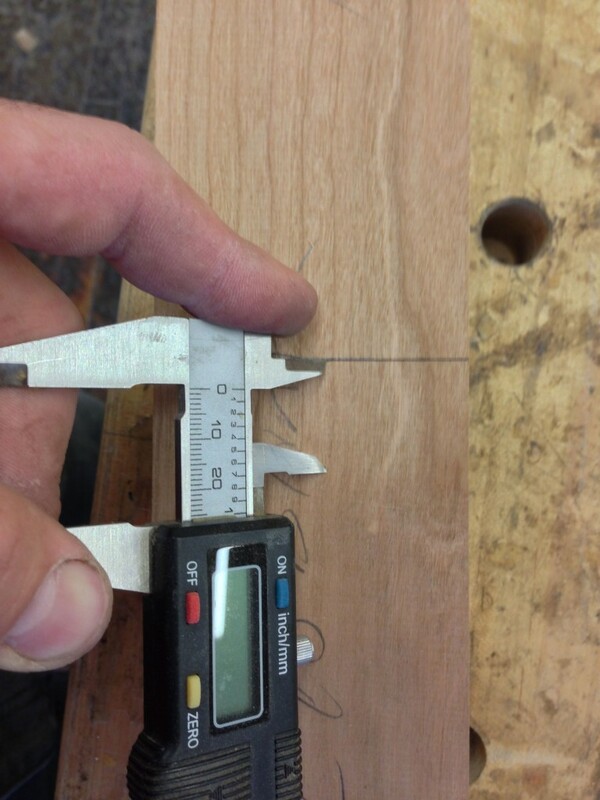 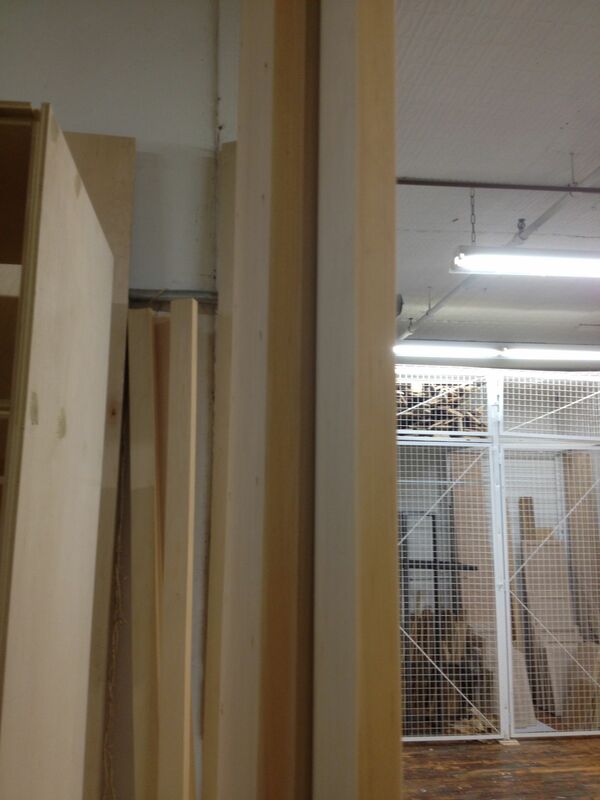 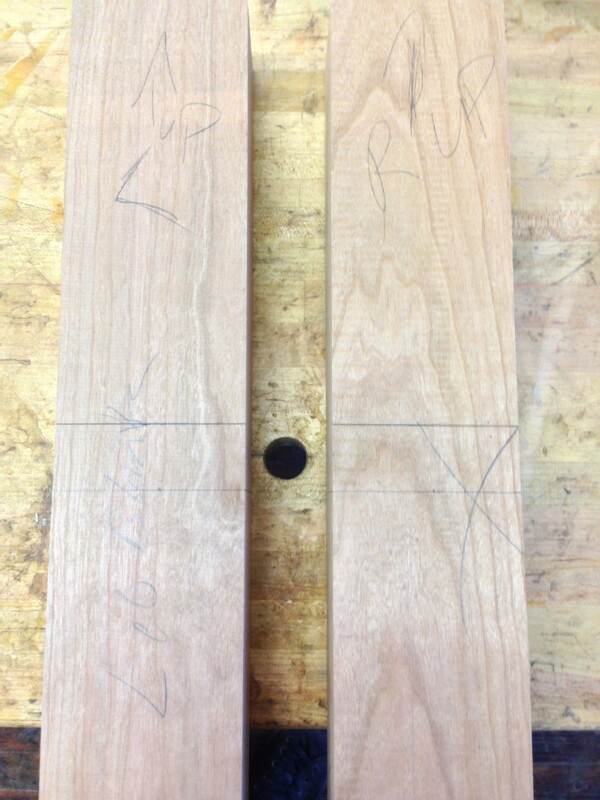 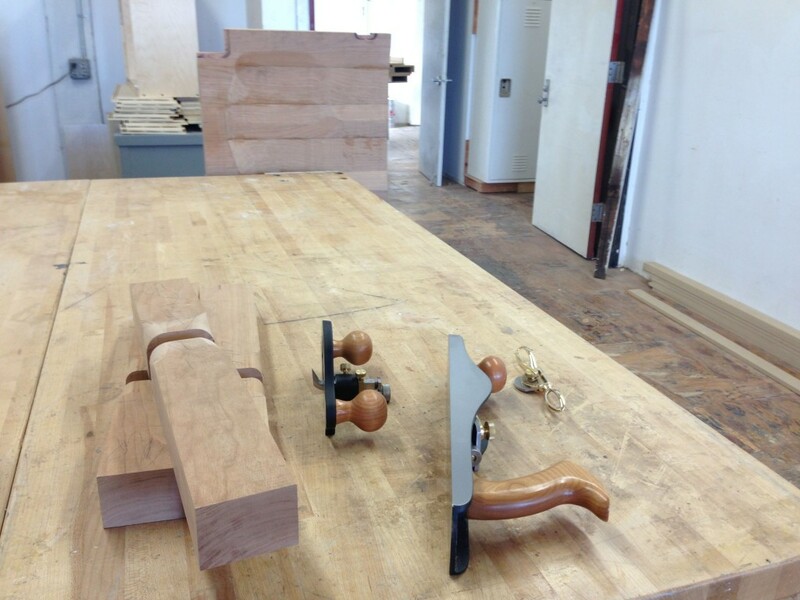 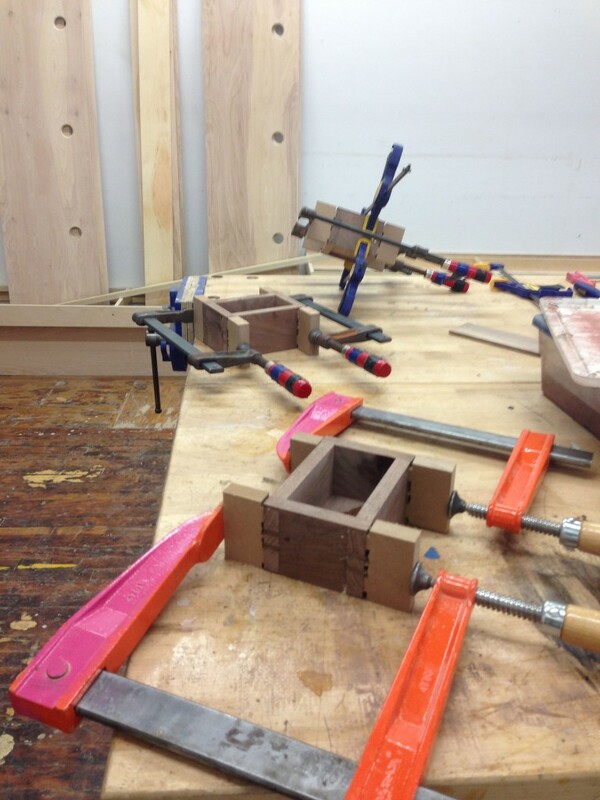 They measure 6″ x 4″ x 3″ and are dovetailed together. 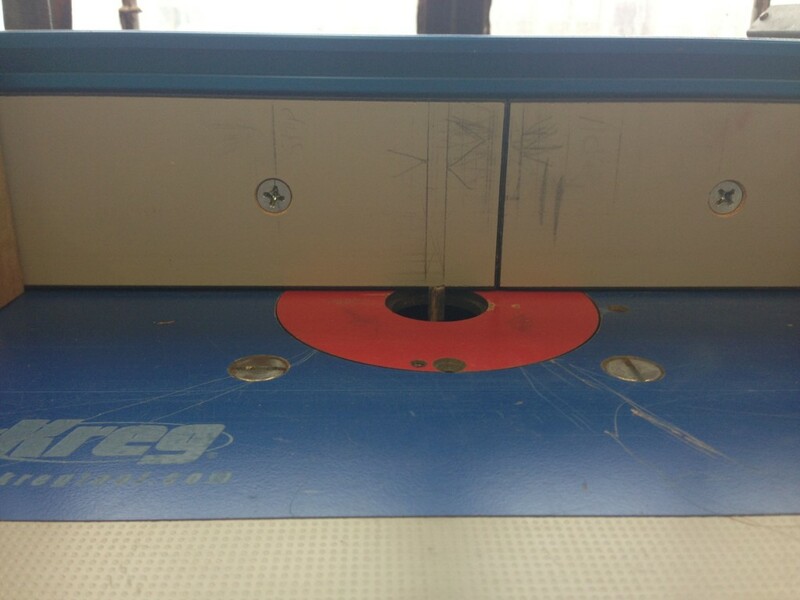 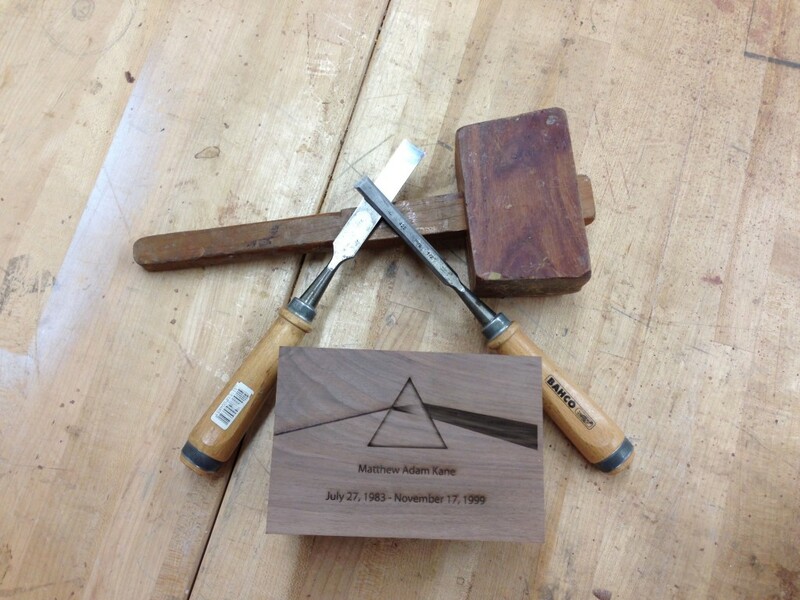 The tops have been laser etched off site with Pink Floyd’s Dark Side of the Moon album cover art work and the name and dates of the deceased. 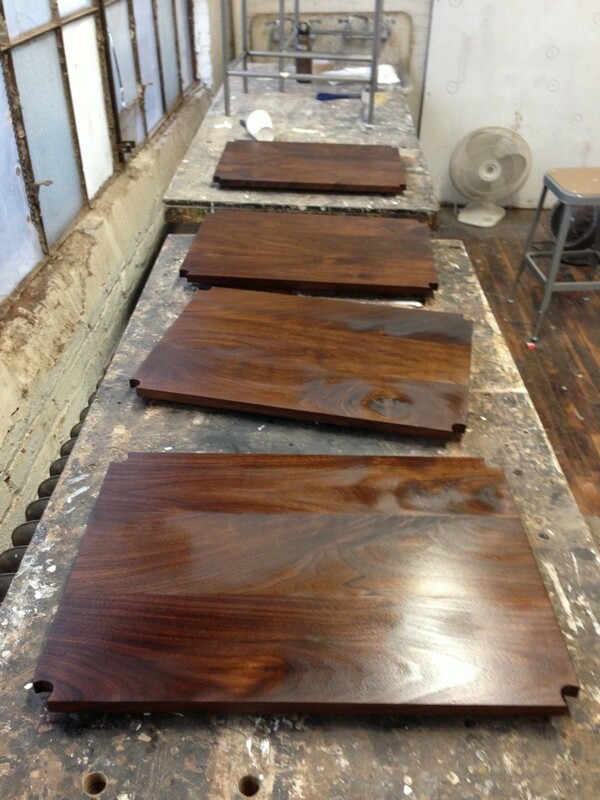 They are finished with a natural danish oil, inside and out. 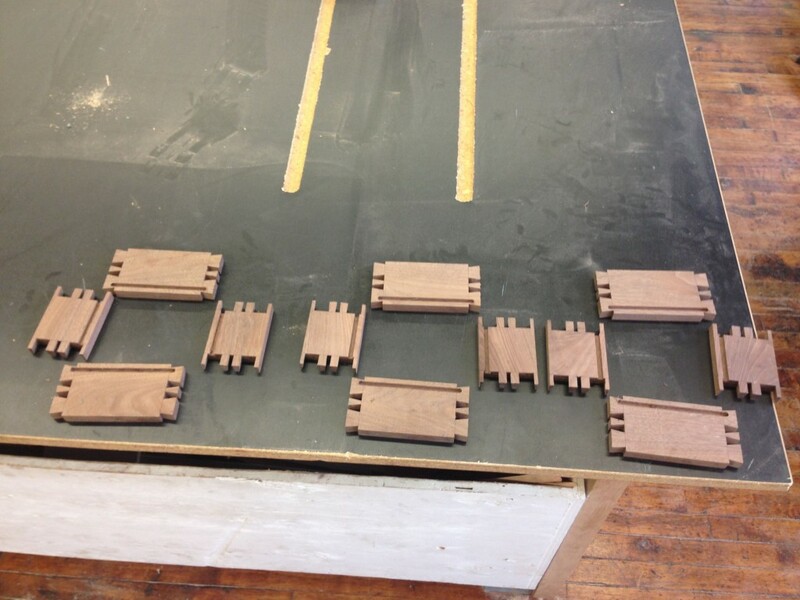 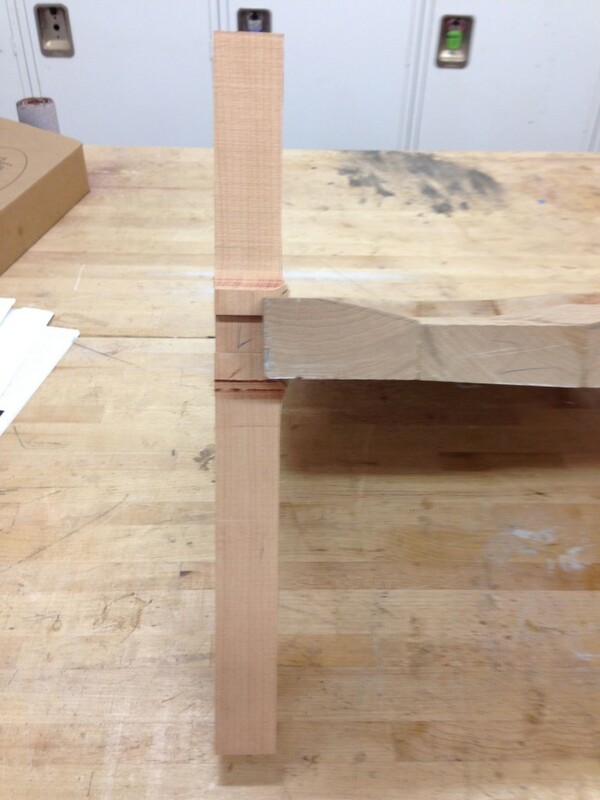 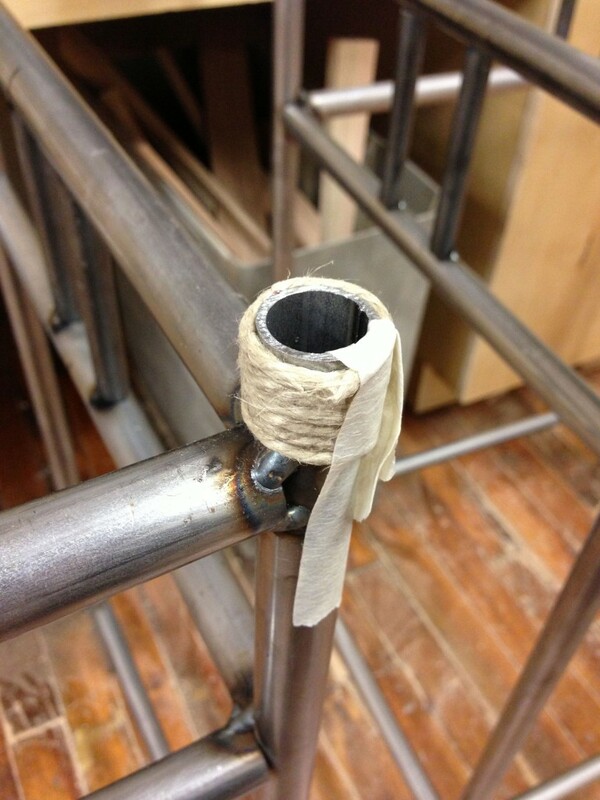 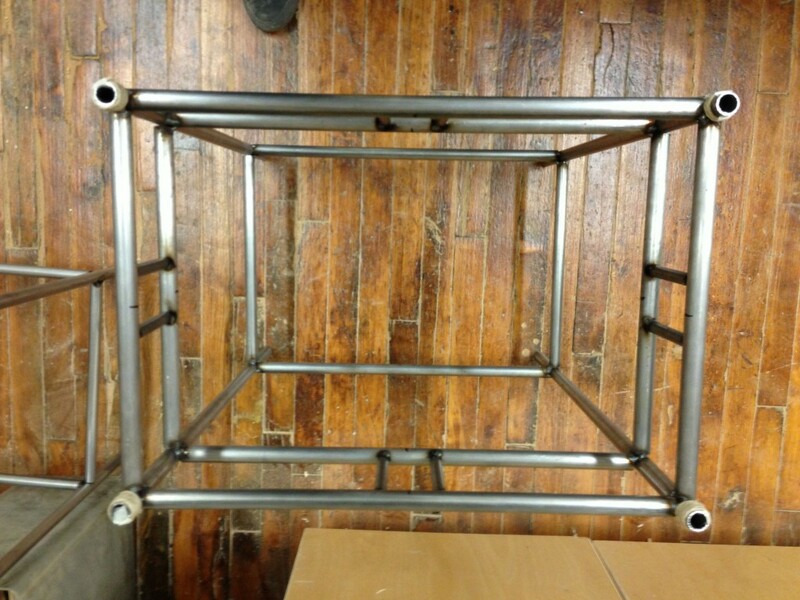 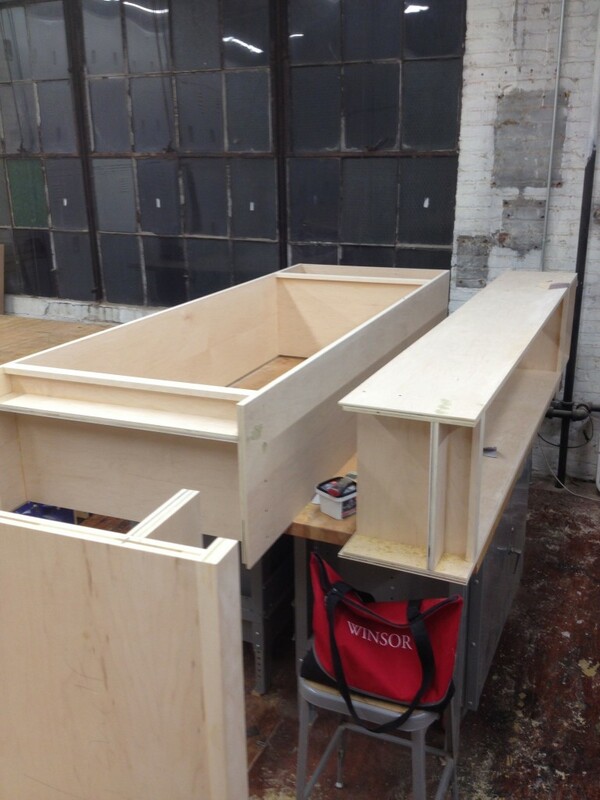 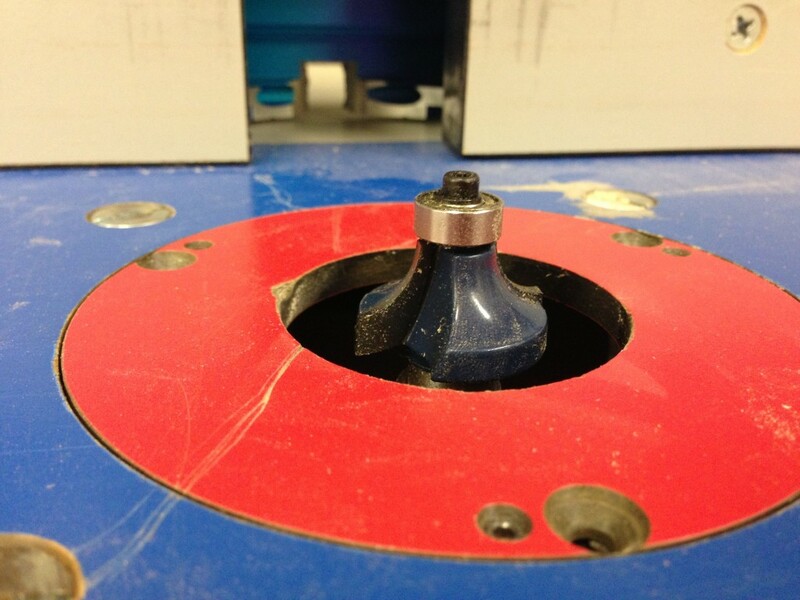 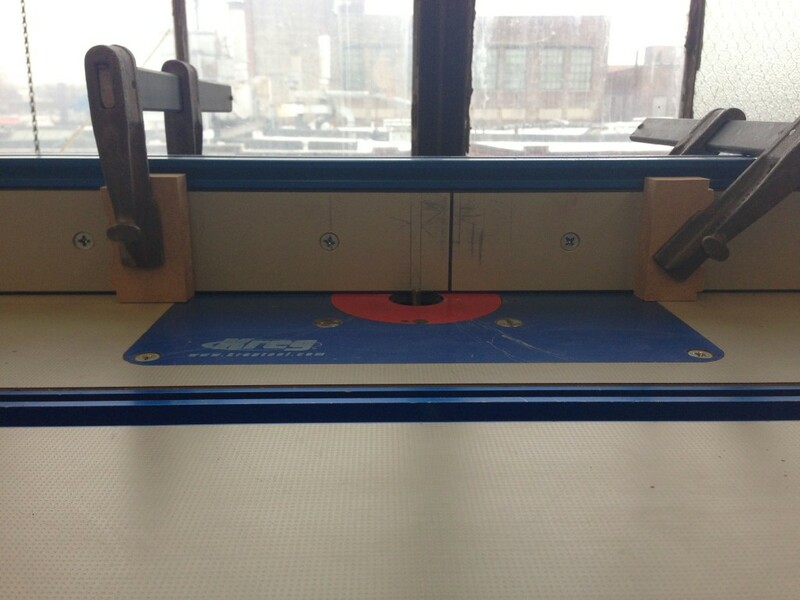 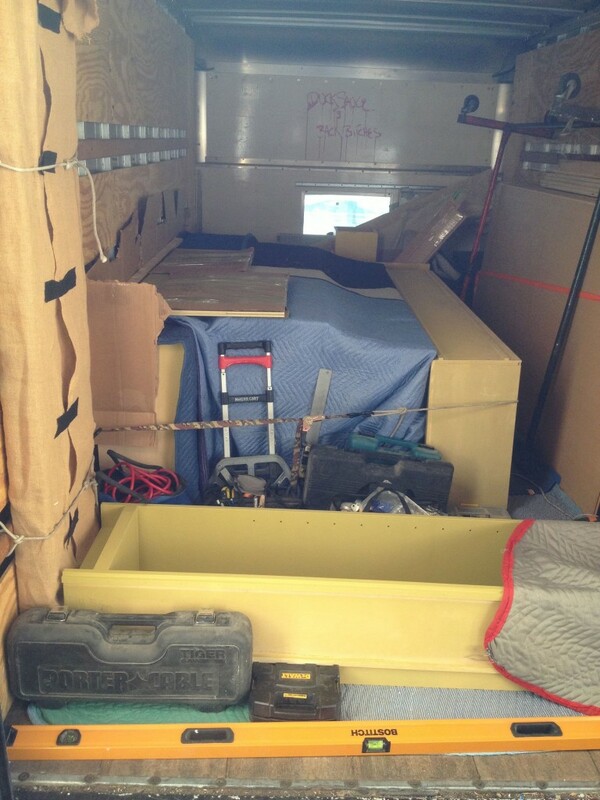 This entry was posted in Production Work, Recent Work on January 14, 2013 by Matthew Mullen. 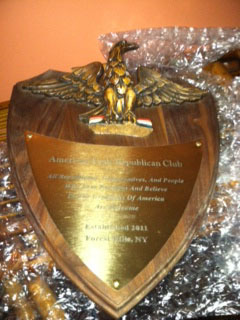 This client had the plaque built for a friend who was running for local government. 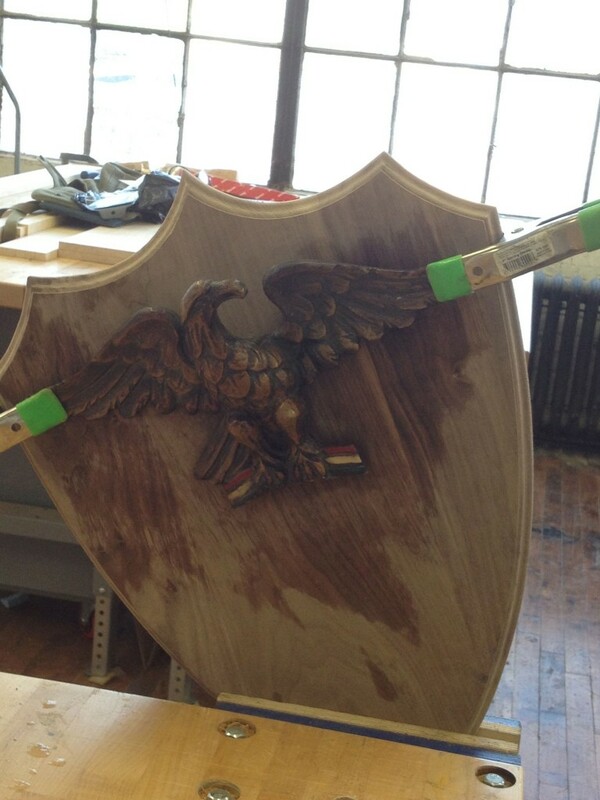 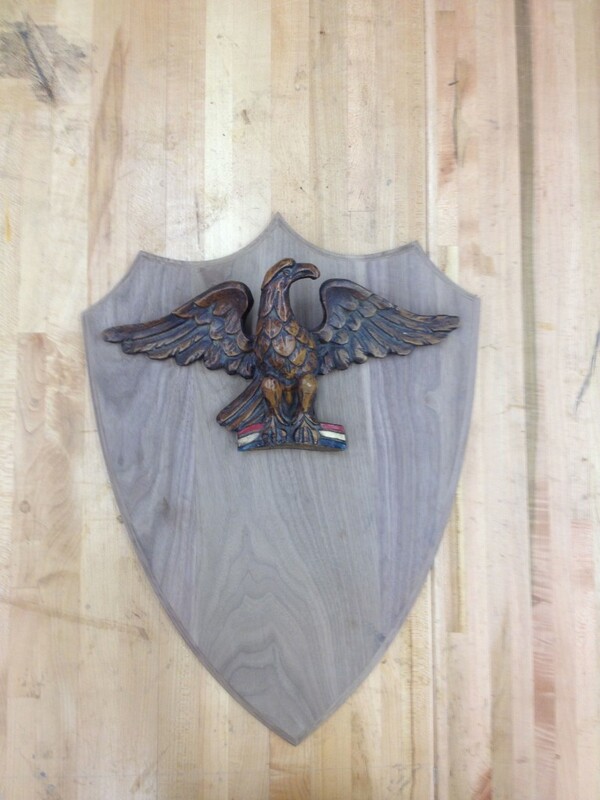 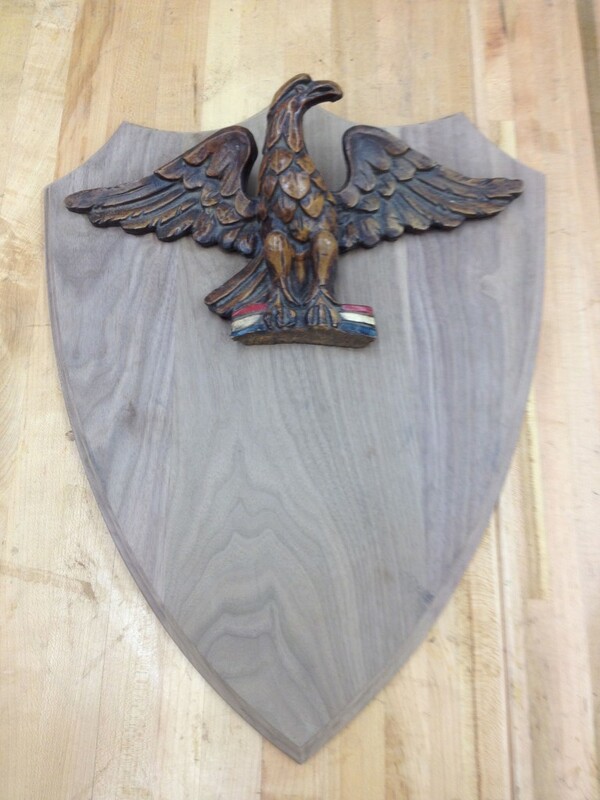 He supplied the carved eagle. 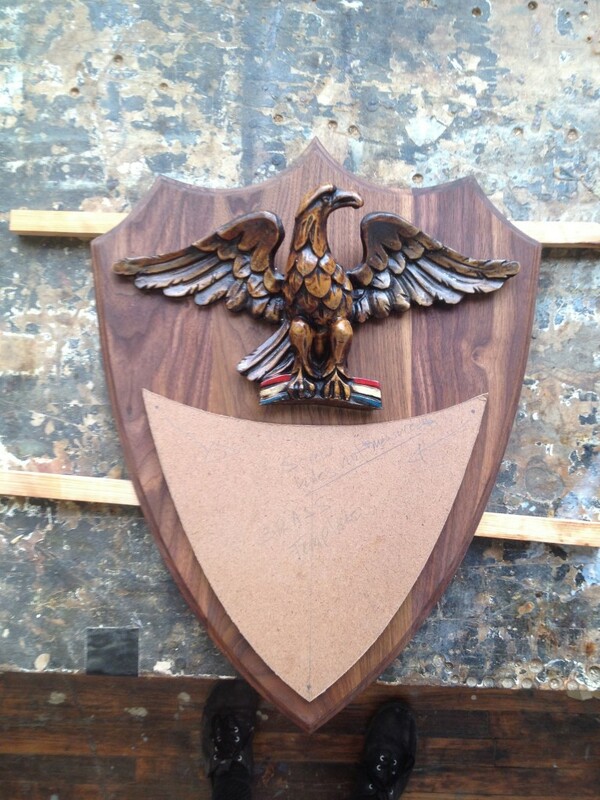 I designed the plaque itself, built and finished it. 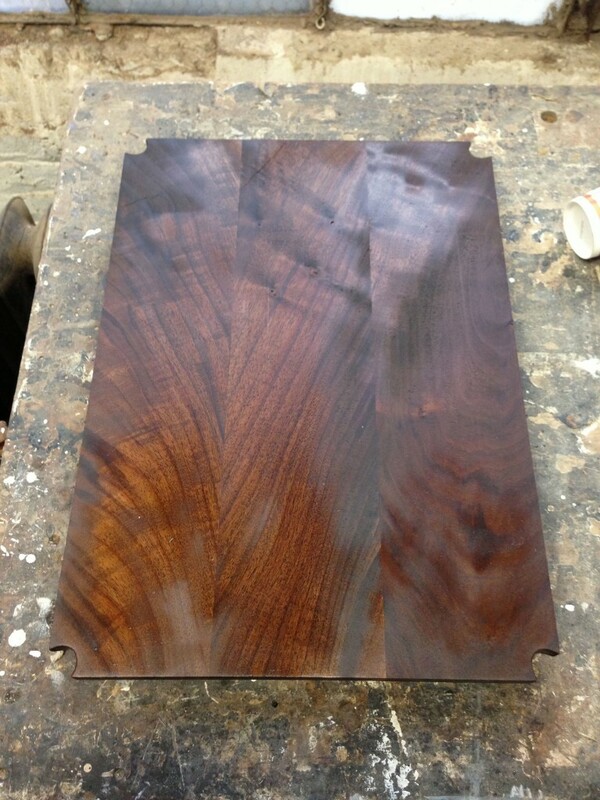 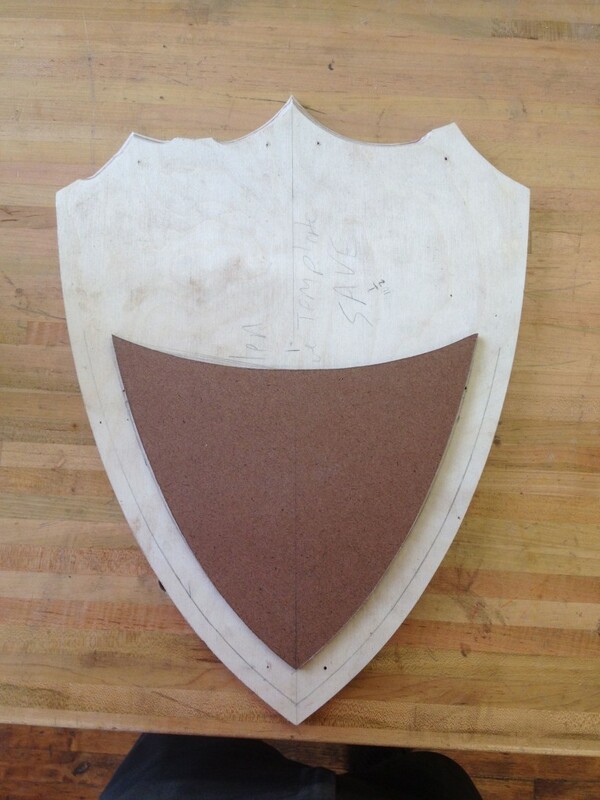 He then added the bronze plate based on my template. 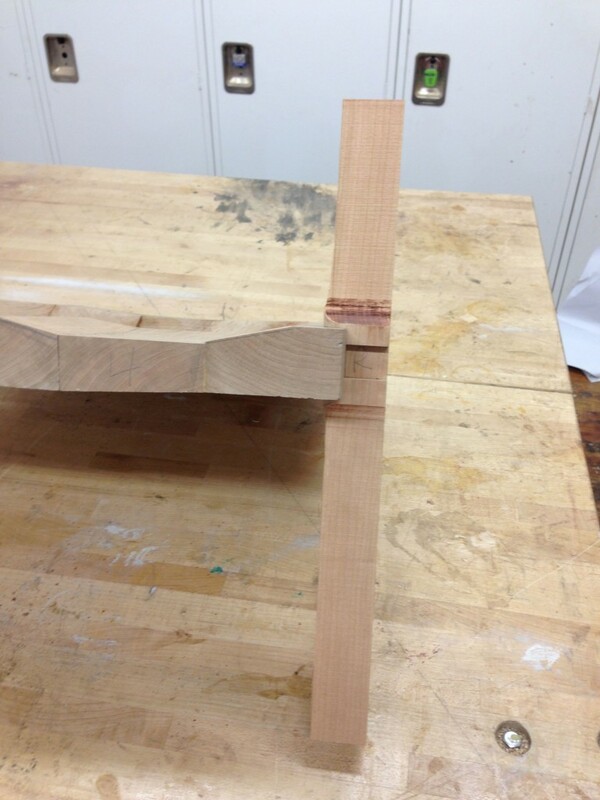 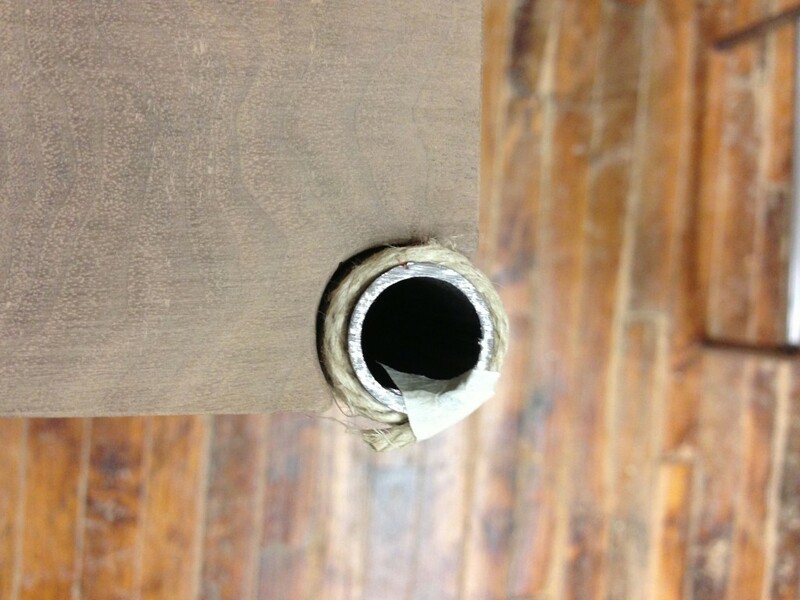 This entry was posted in Recent Work on January 13, 2013 by Matthew Mullen. 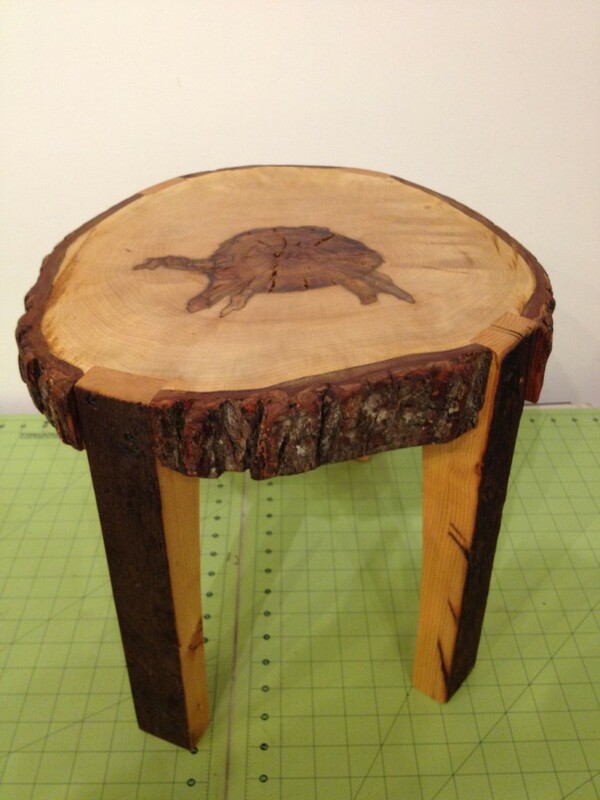 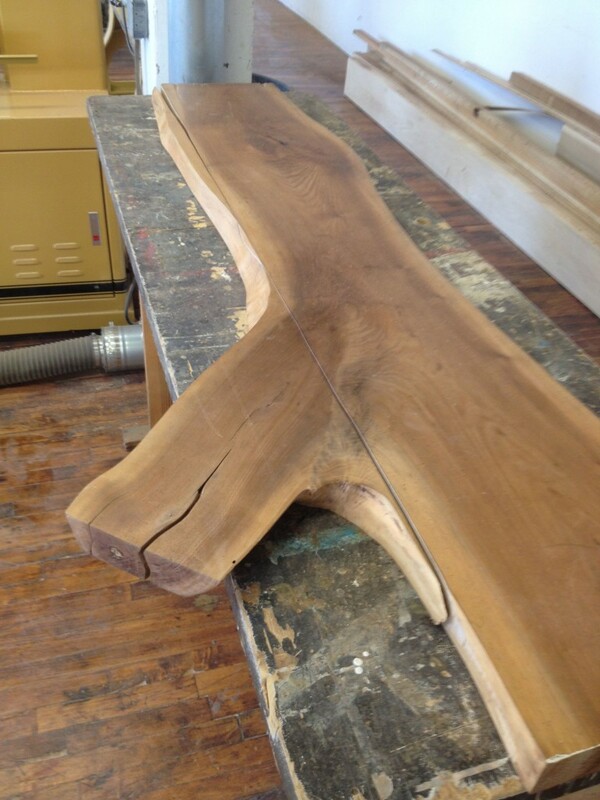 This piece was commissioned by a client who was tearing down some trees in her yard. 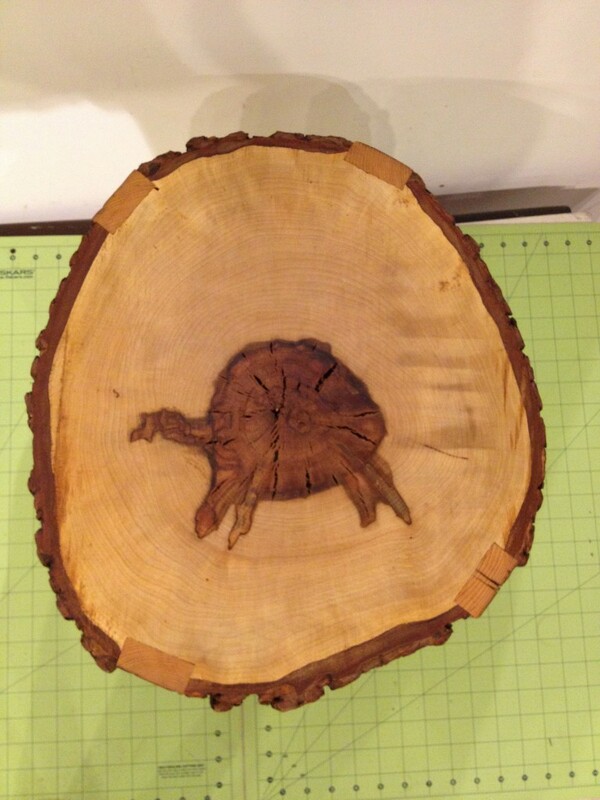 As she watched the tree come down and be cut she noticed interesting images in the rings. 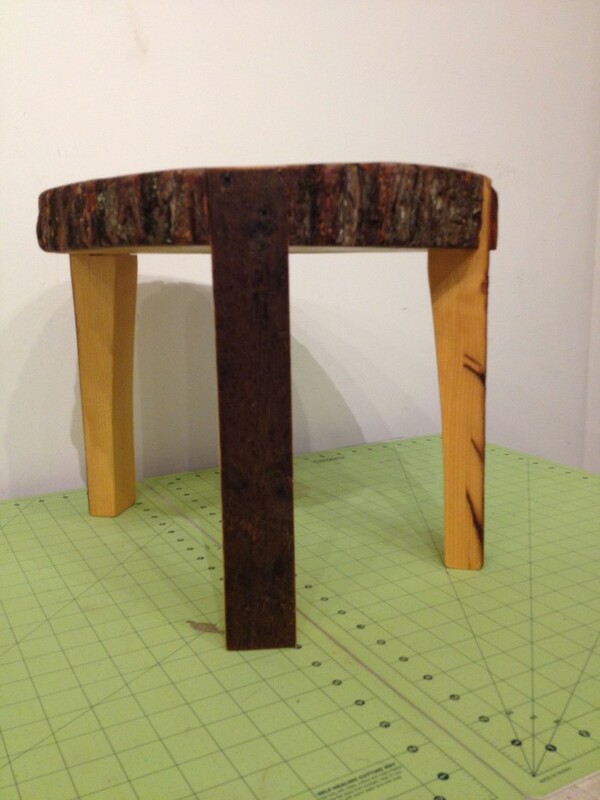 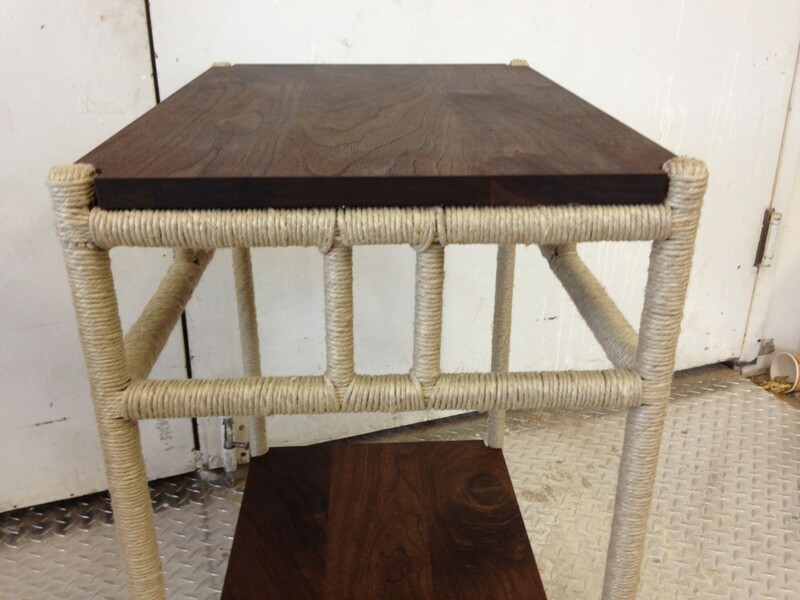 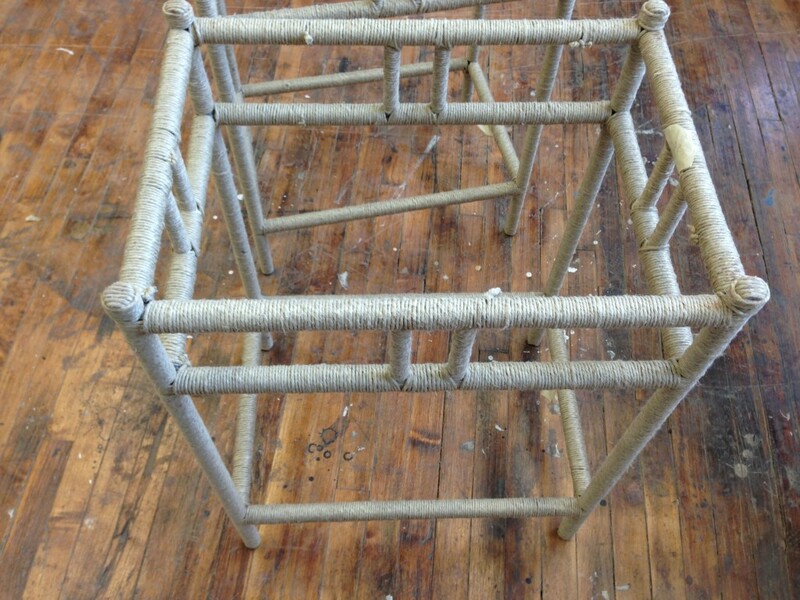 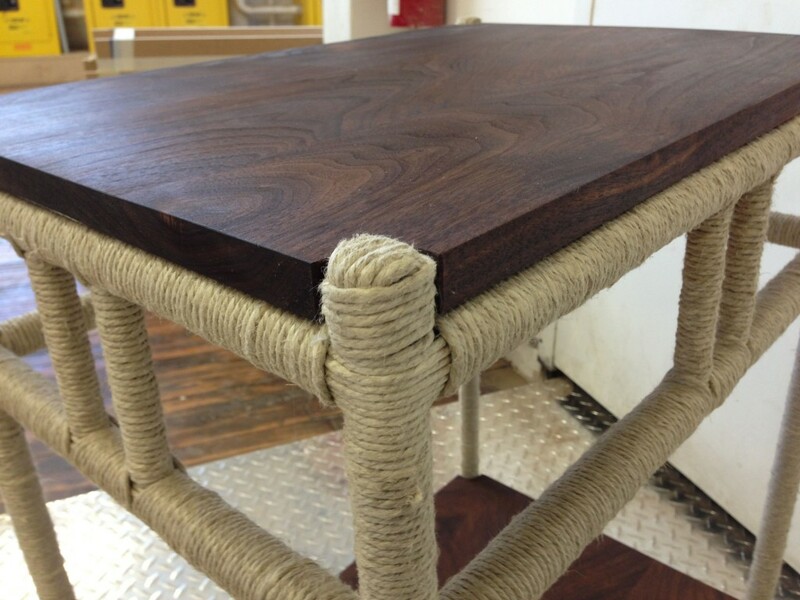 She gave me the seat portion and I made legs for it out of similar reclaimed lumber. 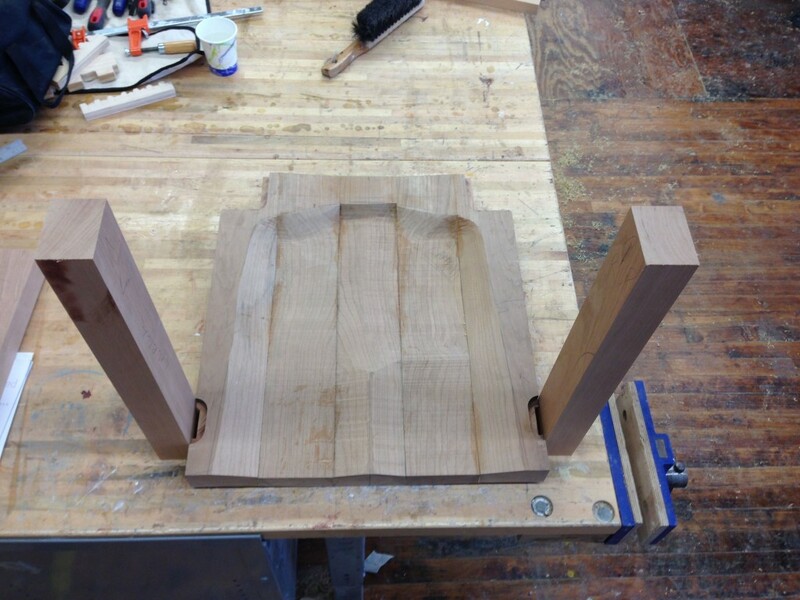 The joints are a simple halflap with a large shoulder on the underside of the seat. 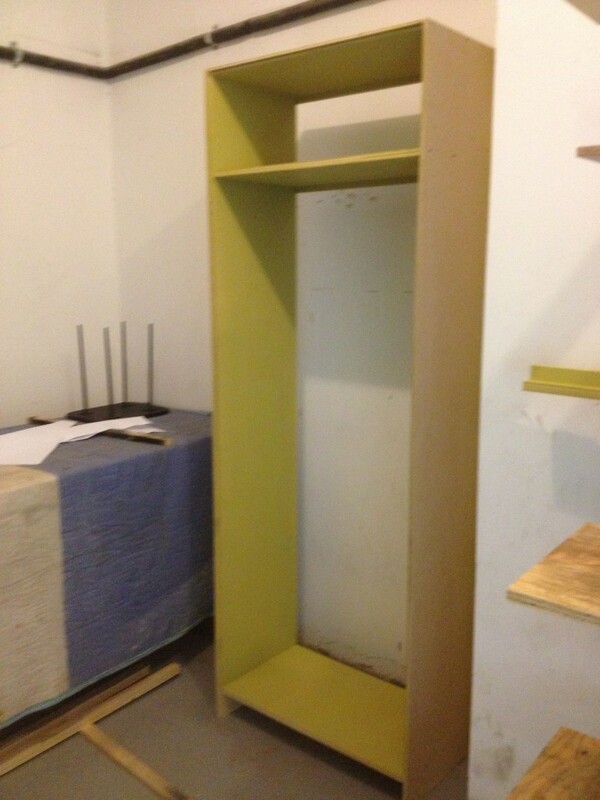 The height is low because, as a new grandmother, she has many little ones who may need to sit in time out.